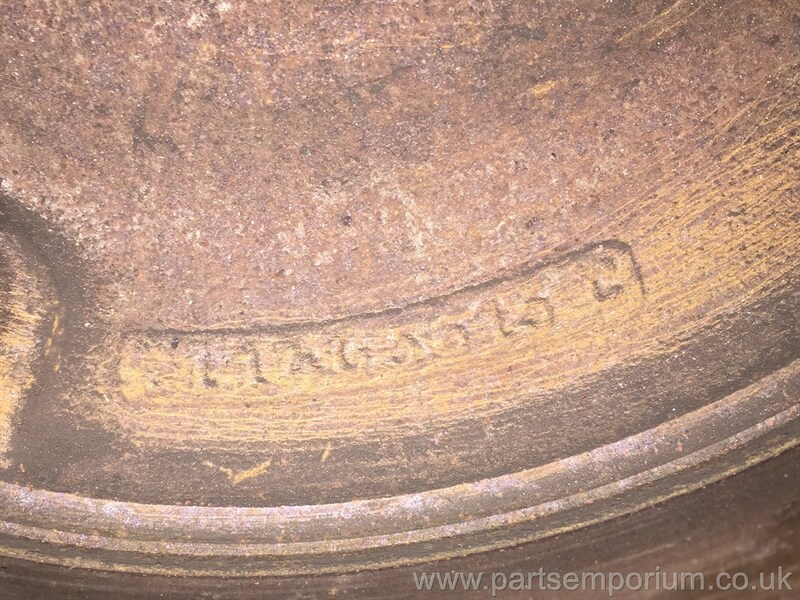 PLEASE NOTE THAT THIS WEBSITE IS UPDATED EVERY DAY - IF THE ITEM YOU WANT IS NOT SHOWN HERE THEN WE DON'T HAVE ONE AT THE MOMENT, IF IT IS HERE, THEN WE DO! 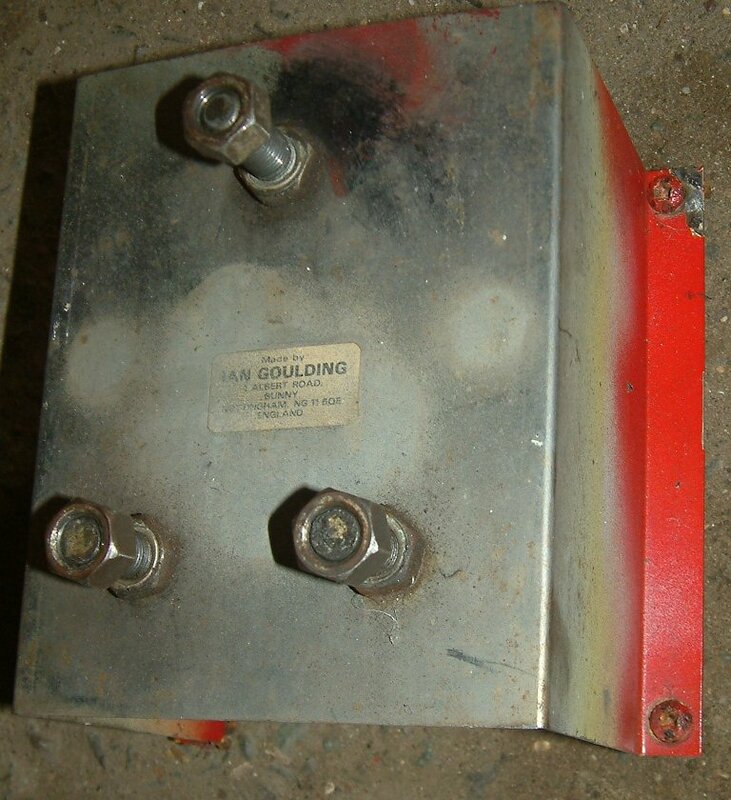 Please note that we advertise parts for third parties so not all that you see here is in our own stock, please enquire. 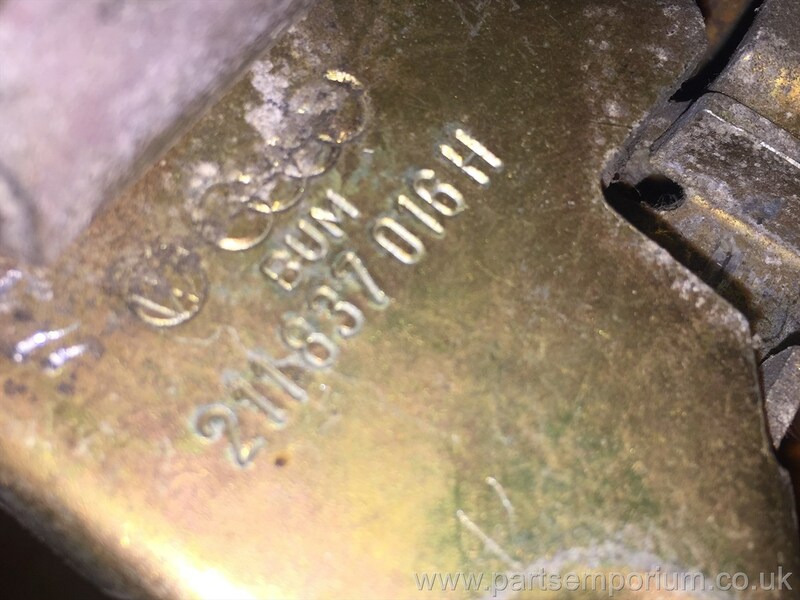 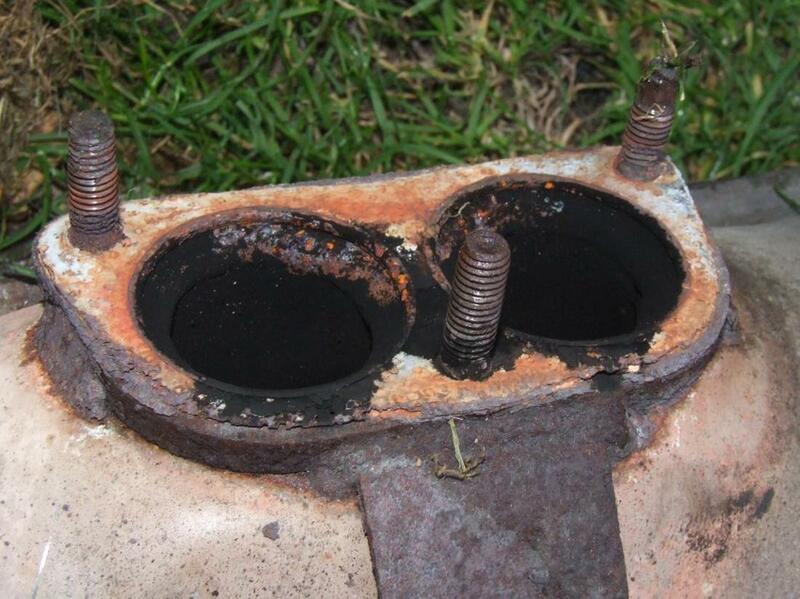 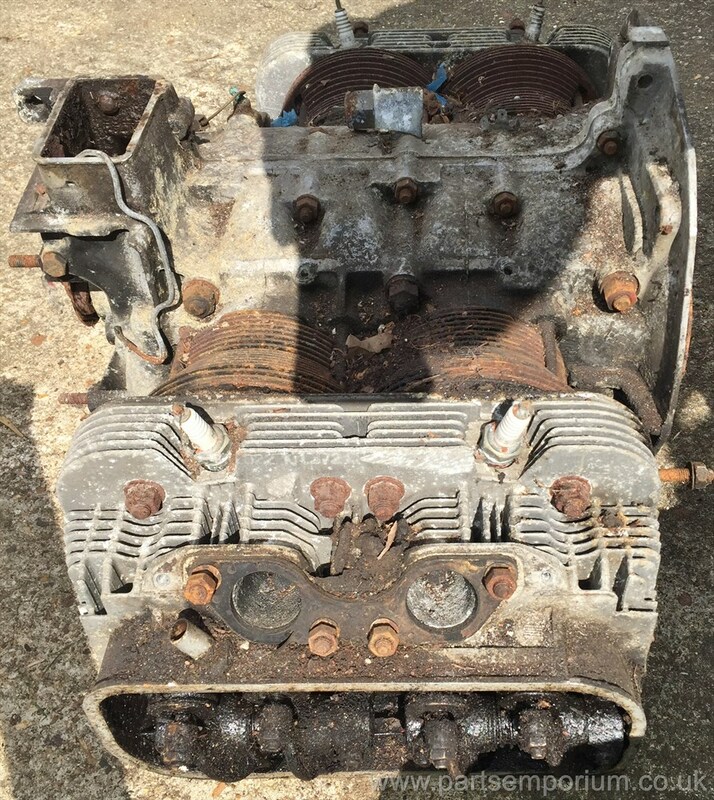 Pair Cylinder heads - 94mm - Private sale - Have been standing many years - This is what was written when Purchased many years ago - "Brand new repaired performance heads - West coast Core, Lancaster CA USA. 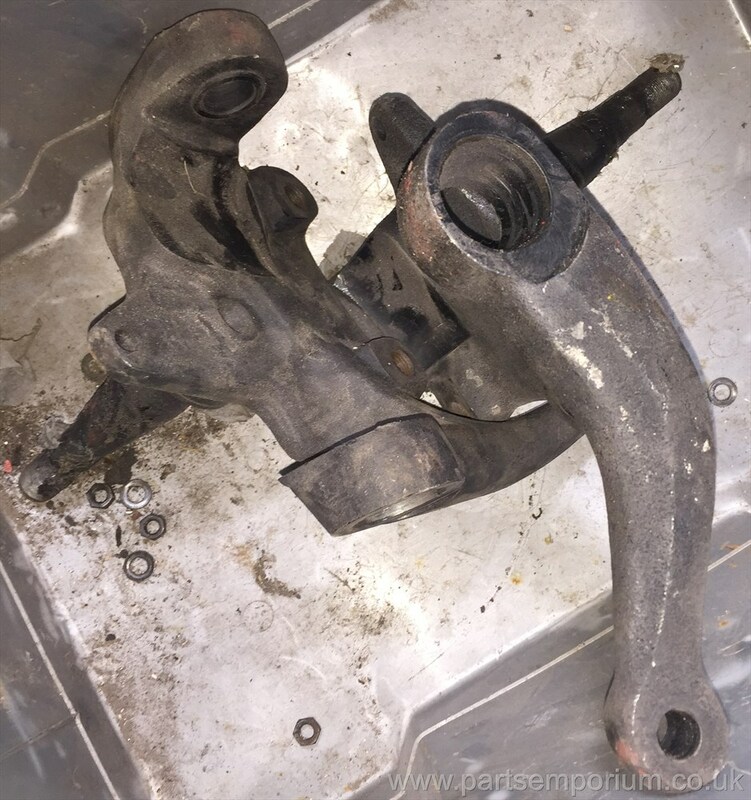 Dropped and Welded. 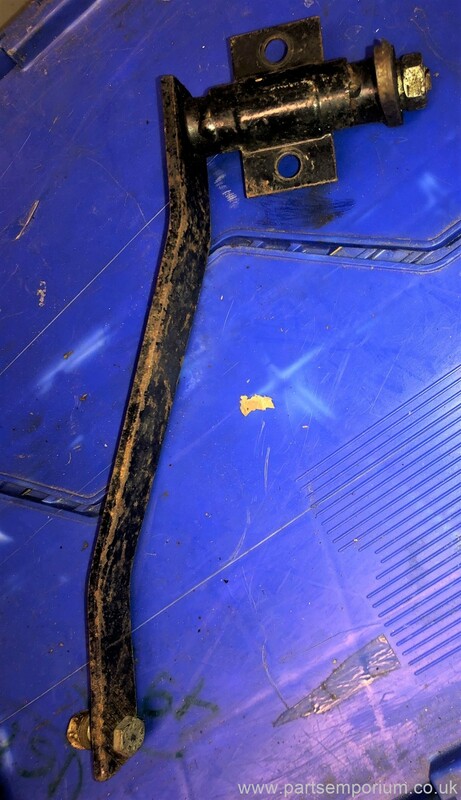 Been sat a while. 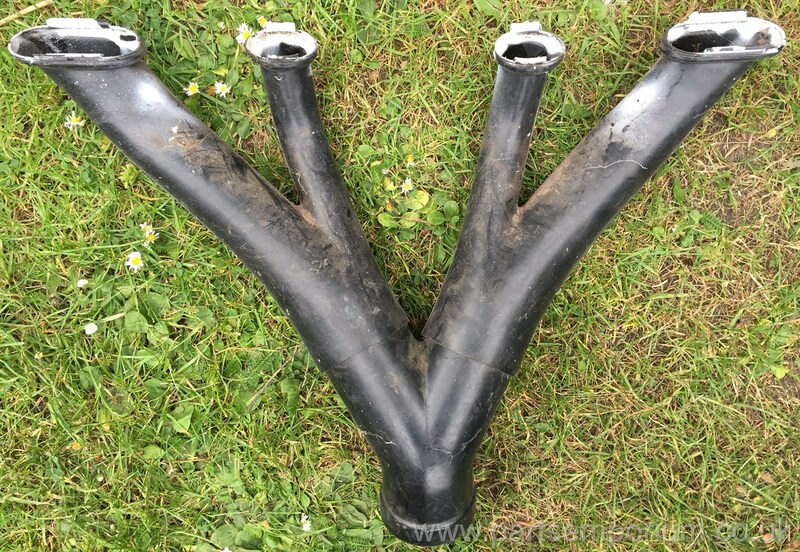 Spec - 41 x 37.5 new stainless steel swirl polished one piece intake and exhaust valves, new 1/2" reach casting, new seats with 3 angle valve job, new silicone bronze valve guides, heavy duty single springs, bored to 94mm. 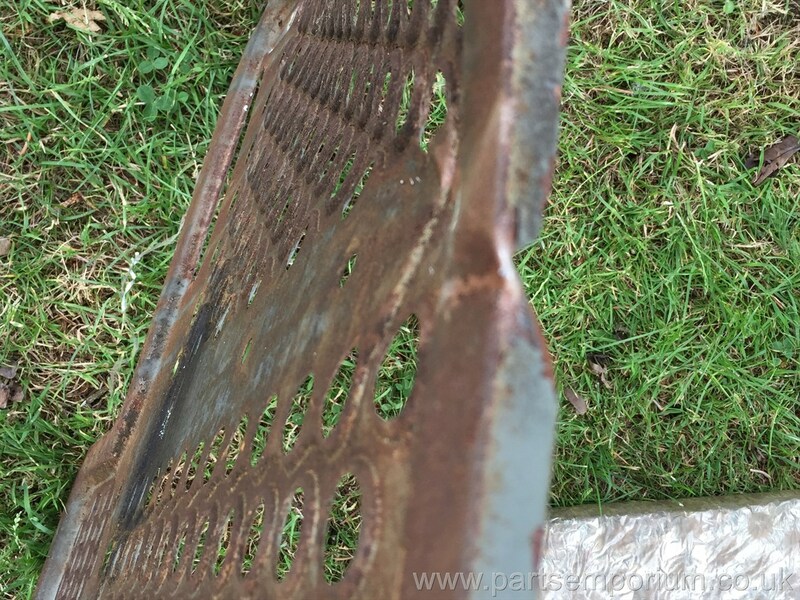 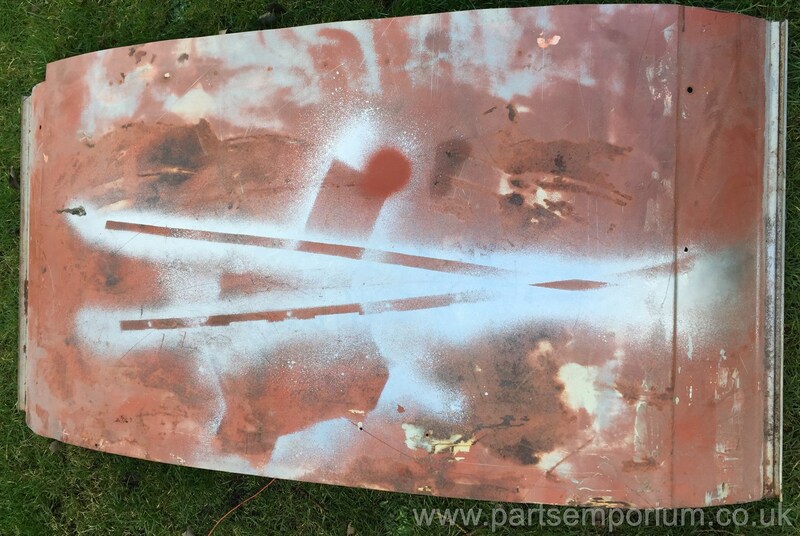 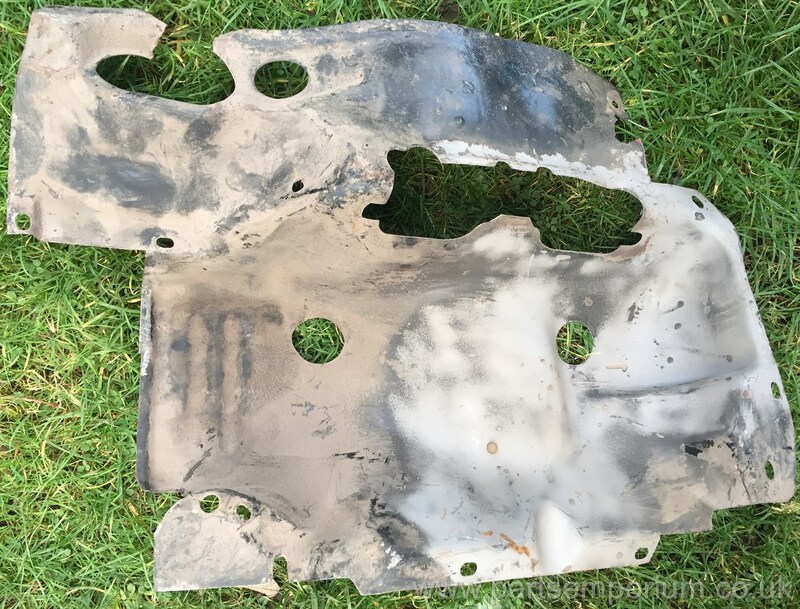 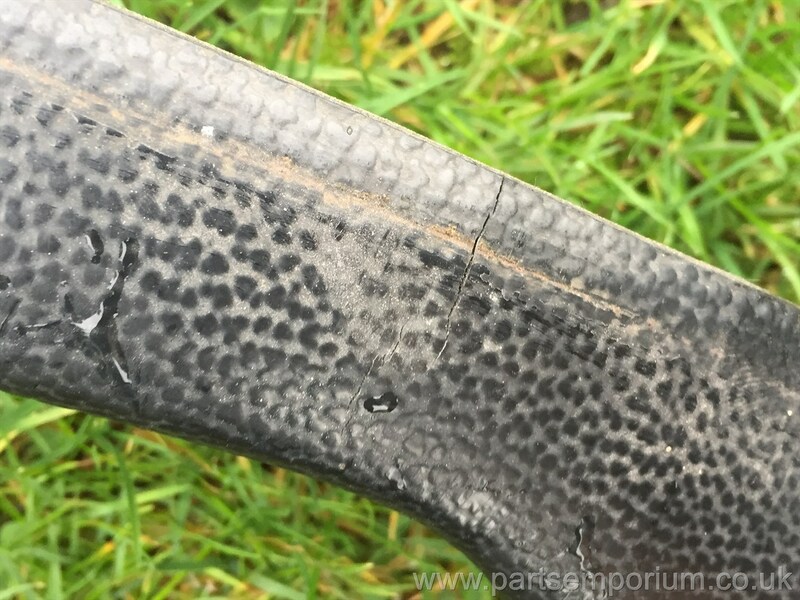 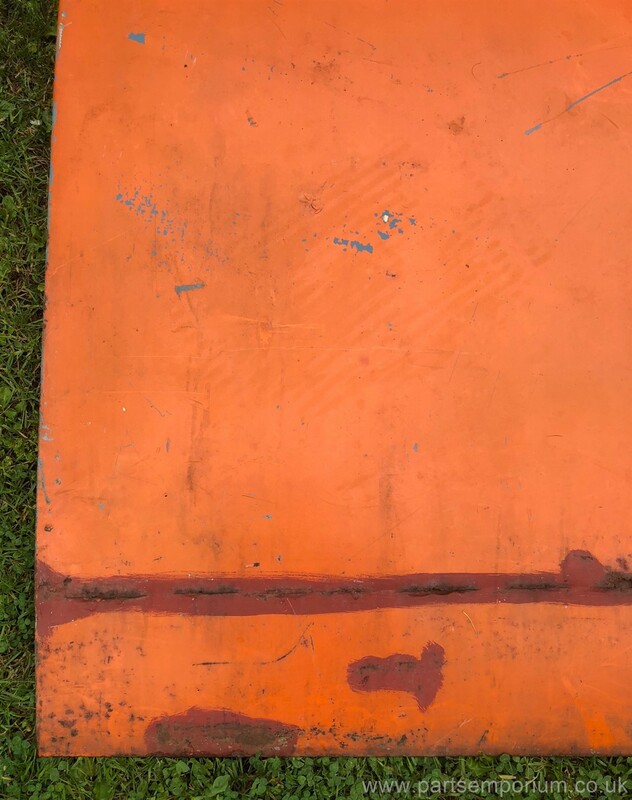 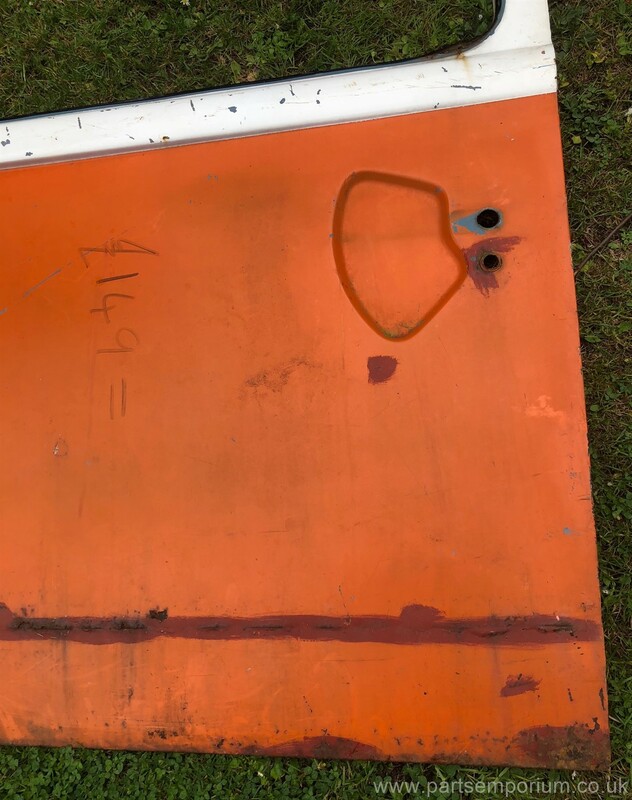 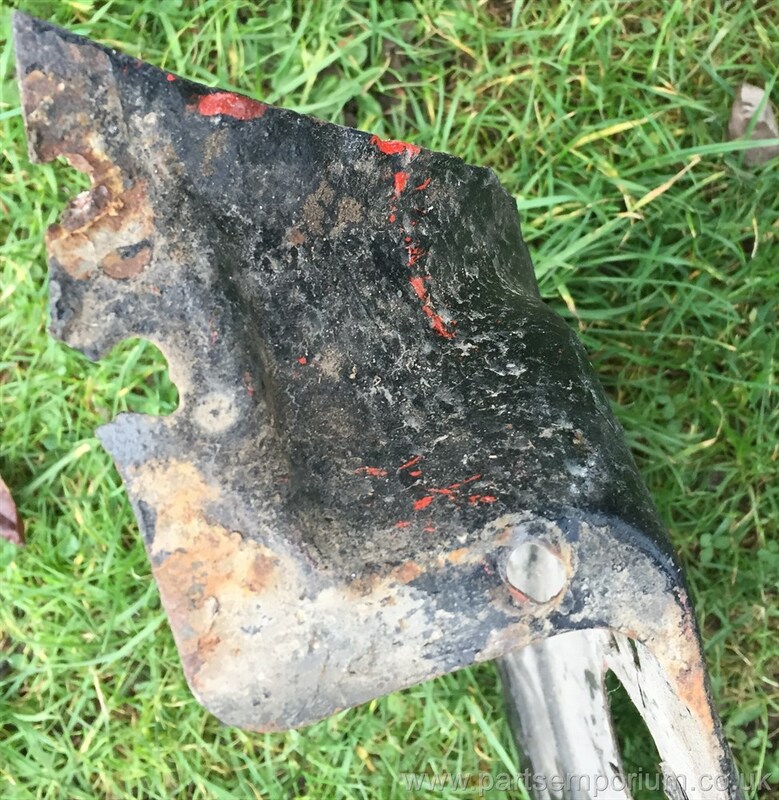 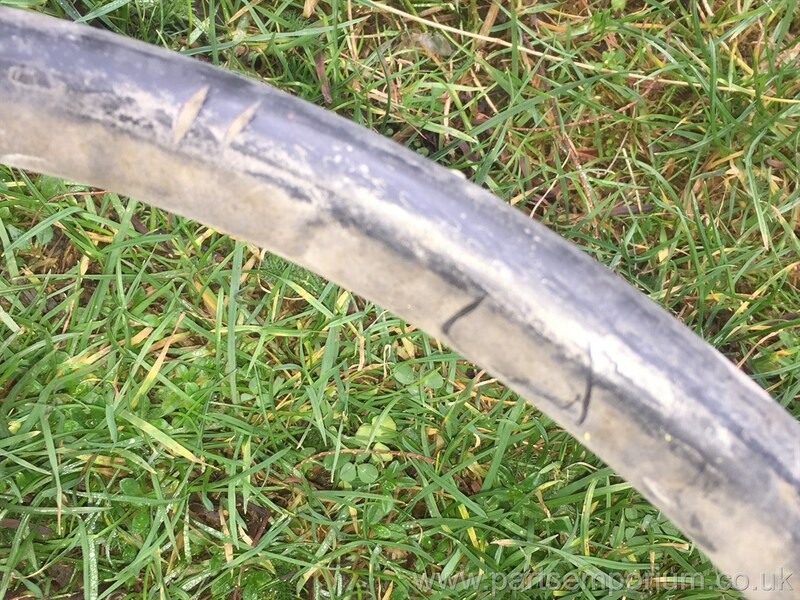 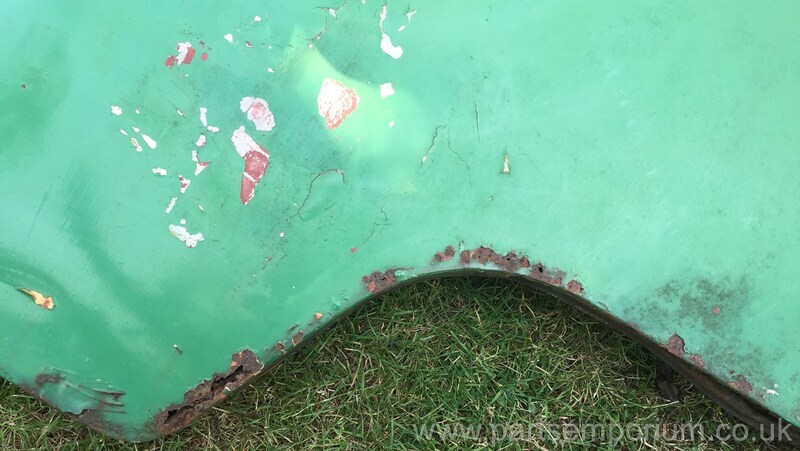 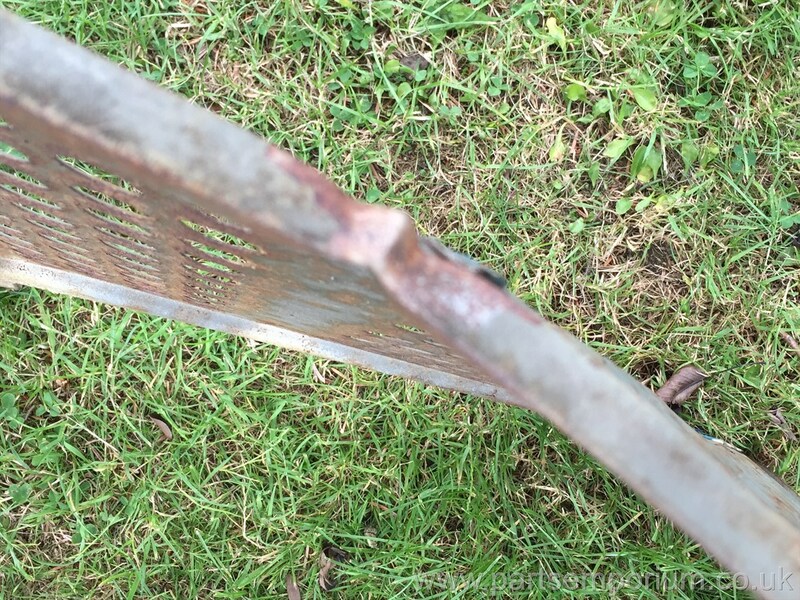 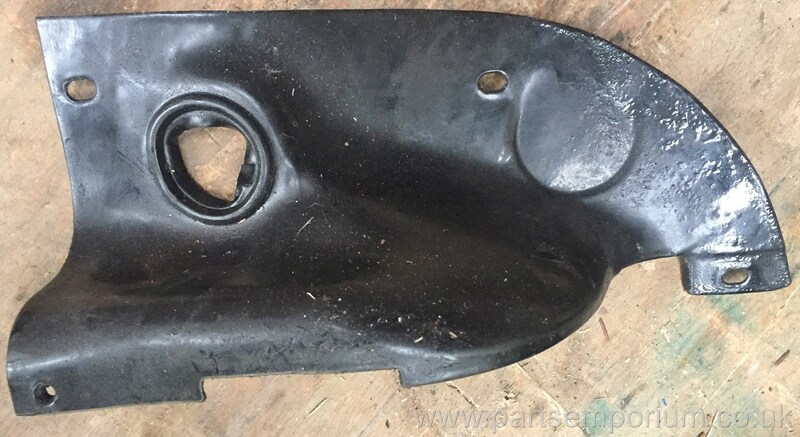 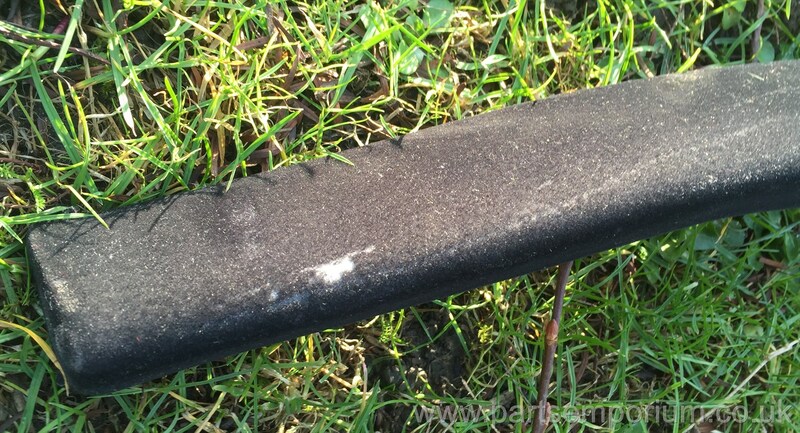 Damage is to fin and is welded so fine to use." 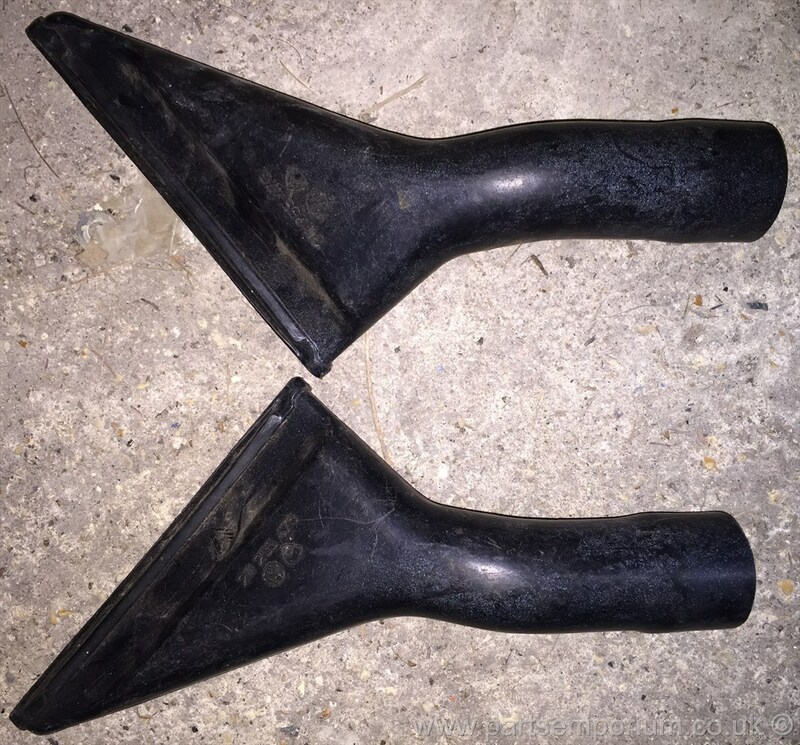 - I've not checked them to make sure this is all correct but no reason to not believe it - £300 pair Collection only. 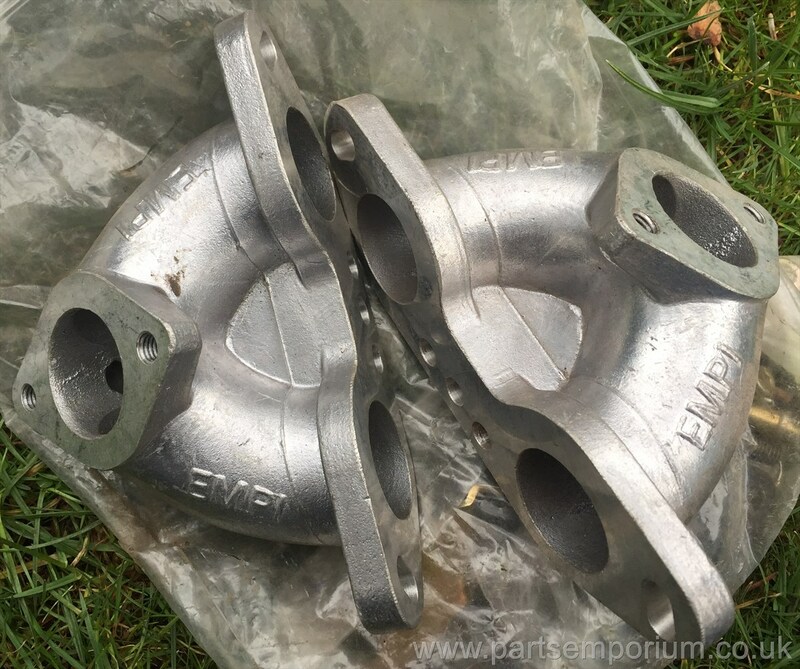 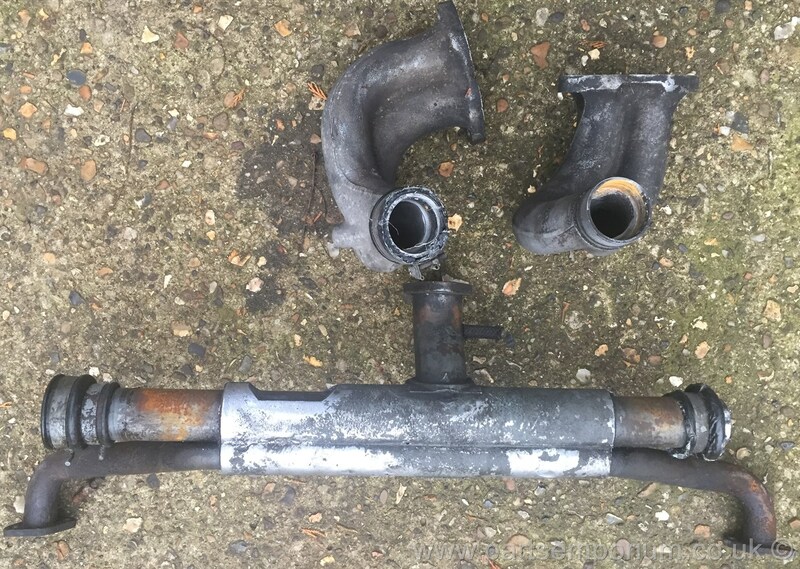 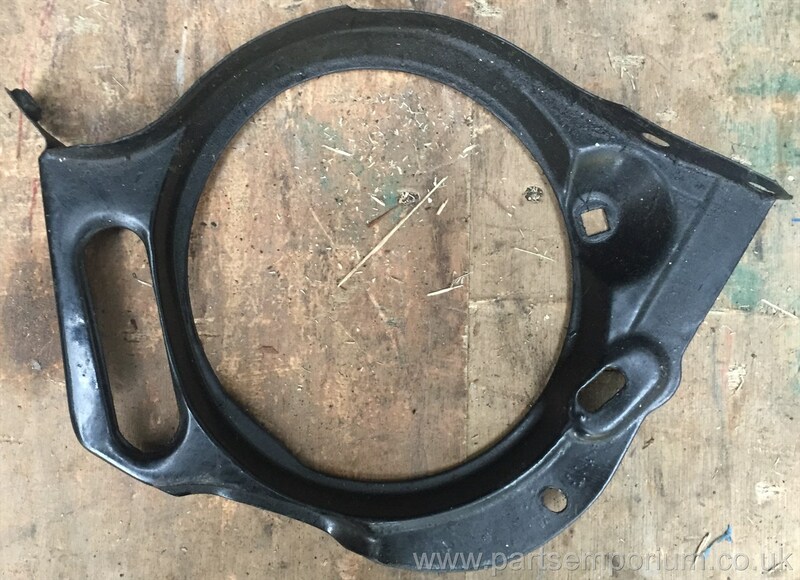 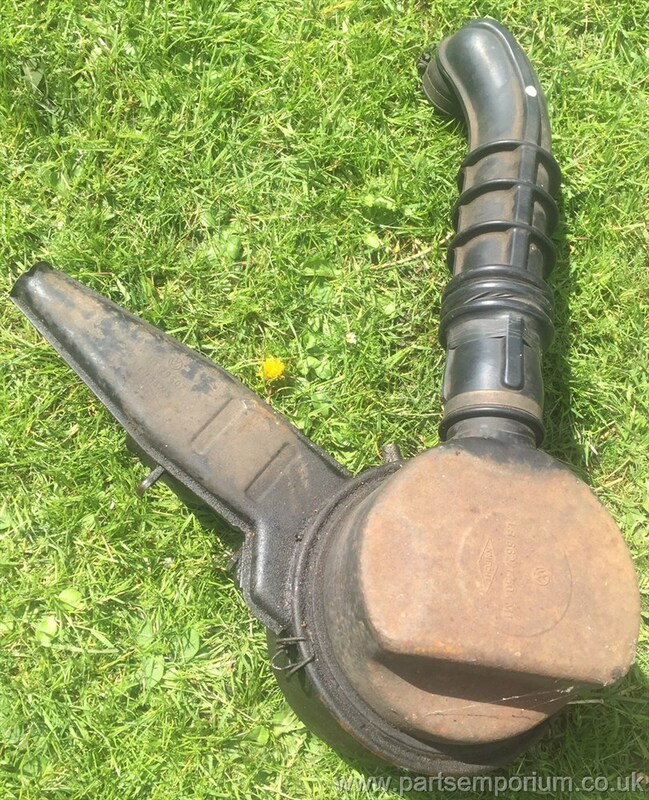 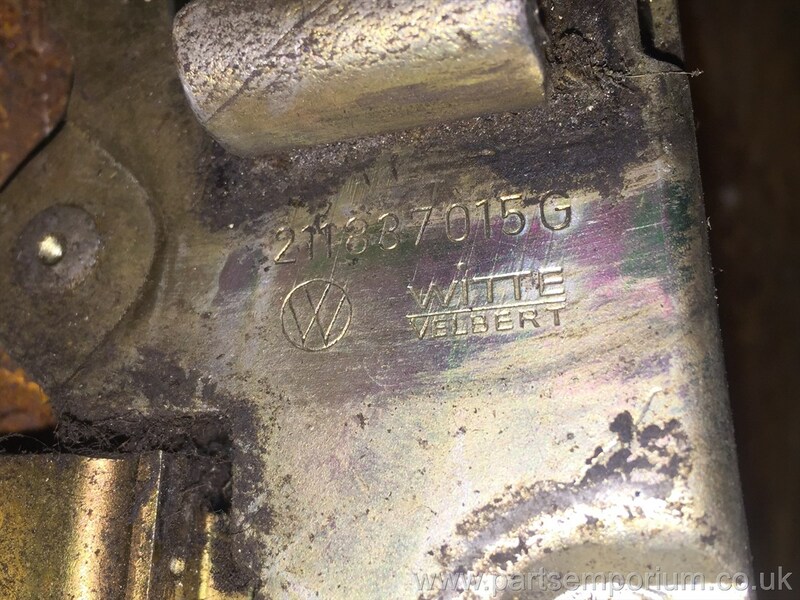 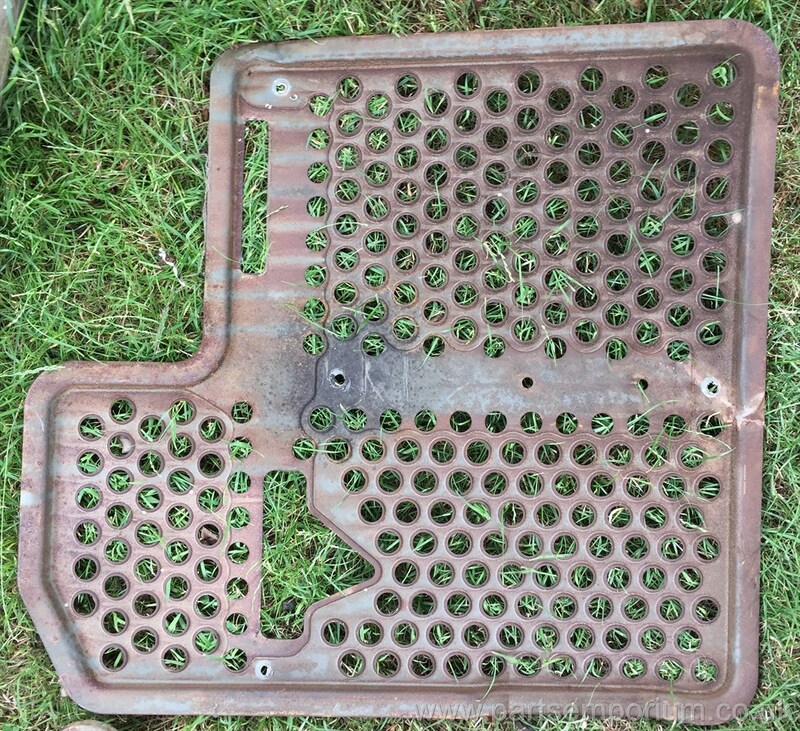 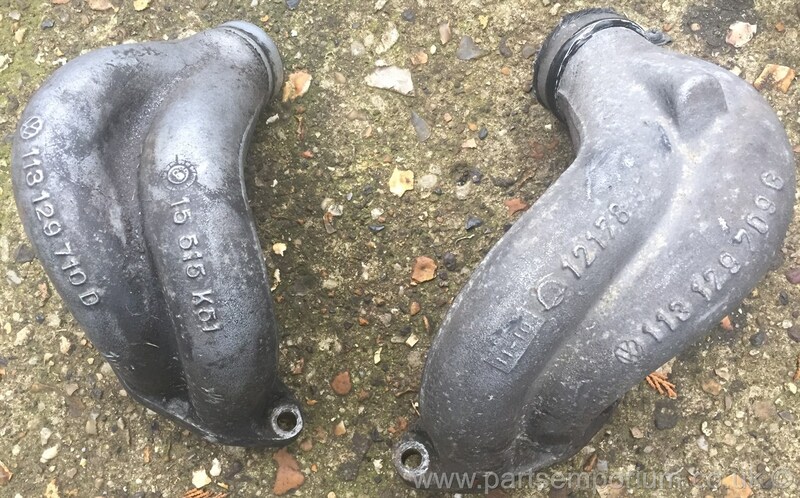 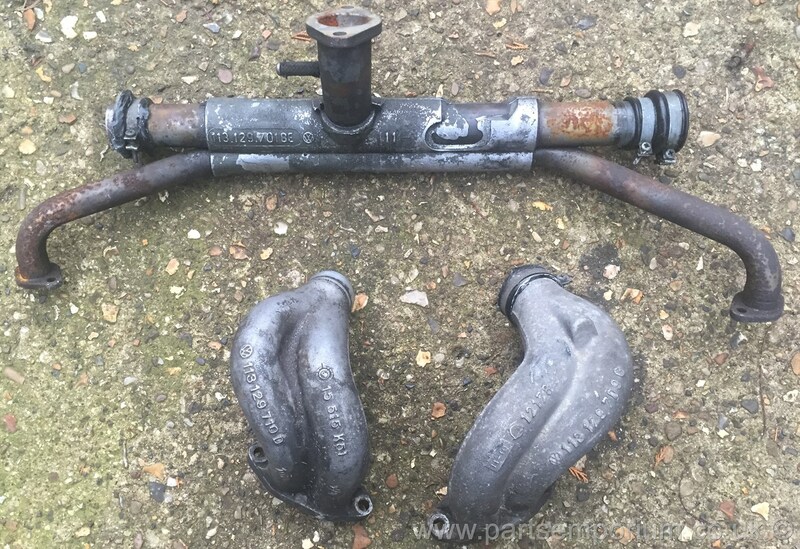 Advertised for a friend - Weber 34 ICT carbs manifolds, have been stored for many years so Full strip and rebuild required - £249 - Collection only. 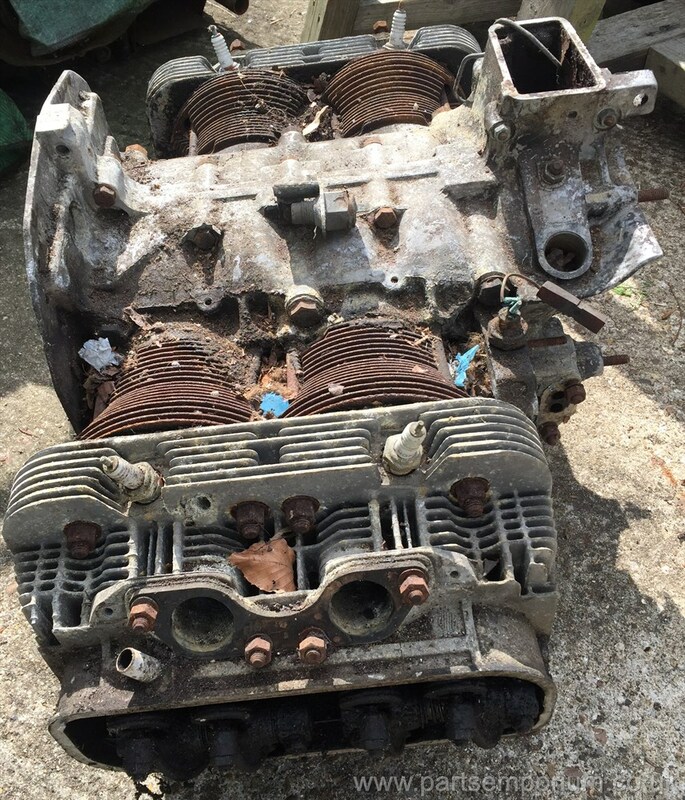 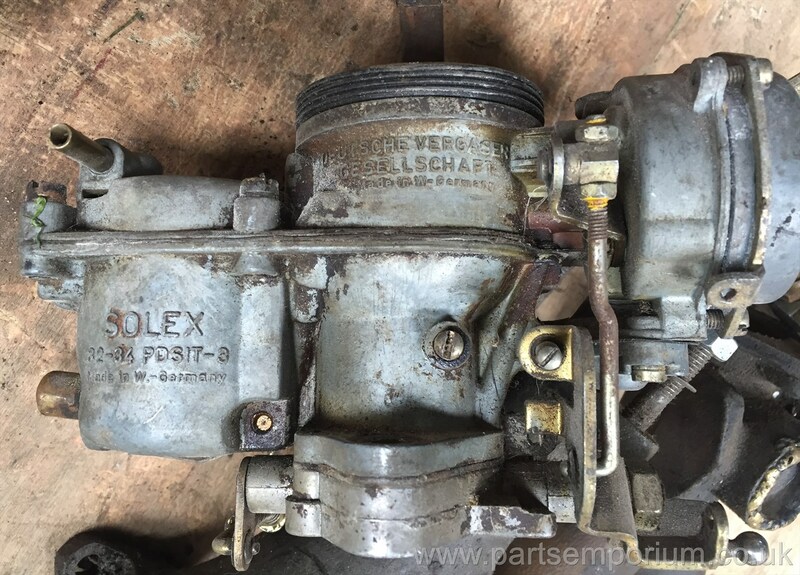 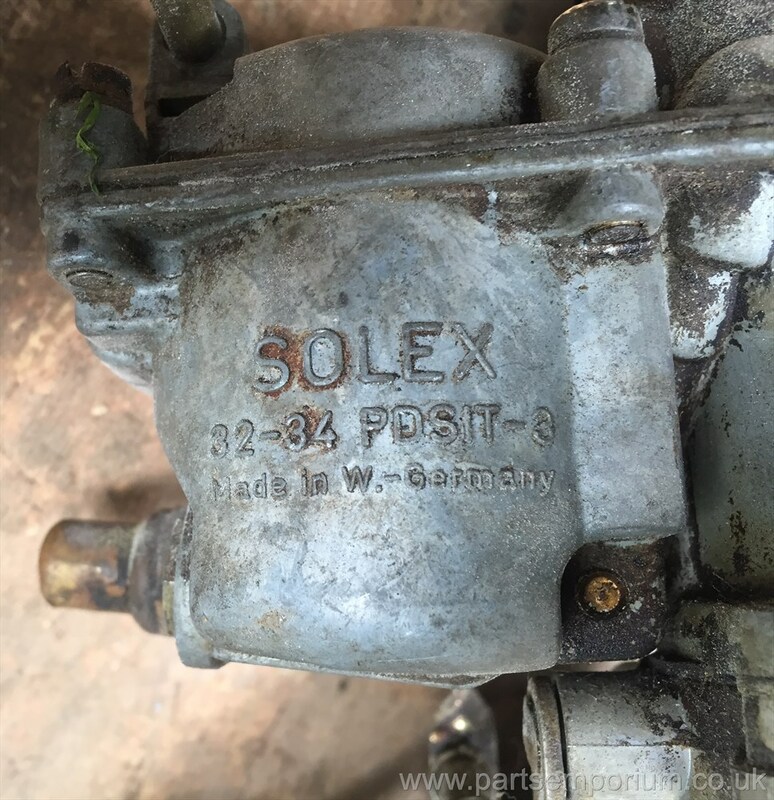 Advertised for a friend - Dellorto DRLA 40 carbs made in Italy, with manifolds and filters, have been stored for many years so Full strip and rebuild required - £449 lot - Collection only. 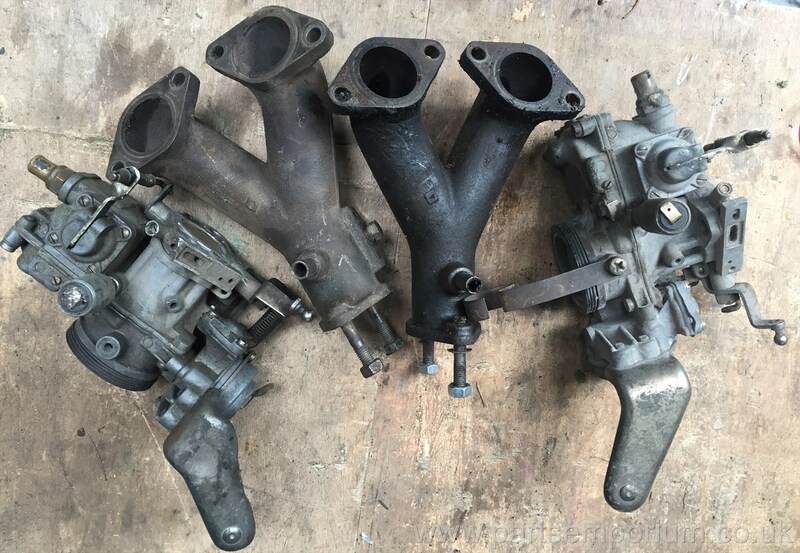 Advertised for a friend - Dellorto FRD34B with manifolds and filters, have been stored for many years so Full strip and rebuild required - £249 lot - Collection only. 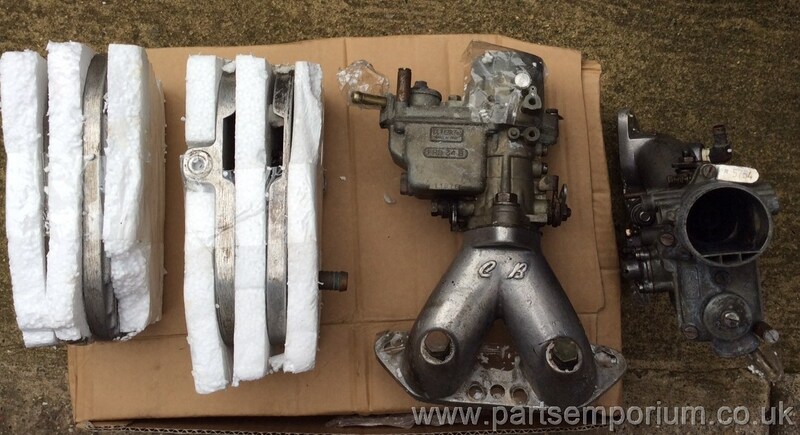 Advertised for a friend - EMPI HPMX Carbs, Linkage, Filters etc - have been stored for a few years so Full strip and rebuild required - £449 lot - Collection only. 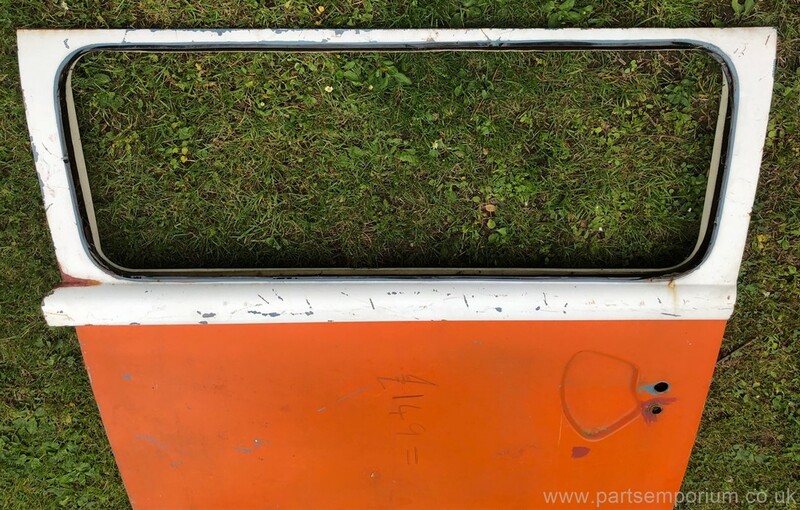 Brand new - T2 Bay window curtains. 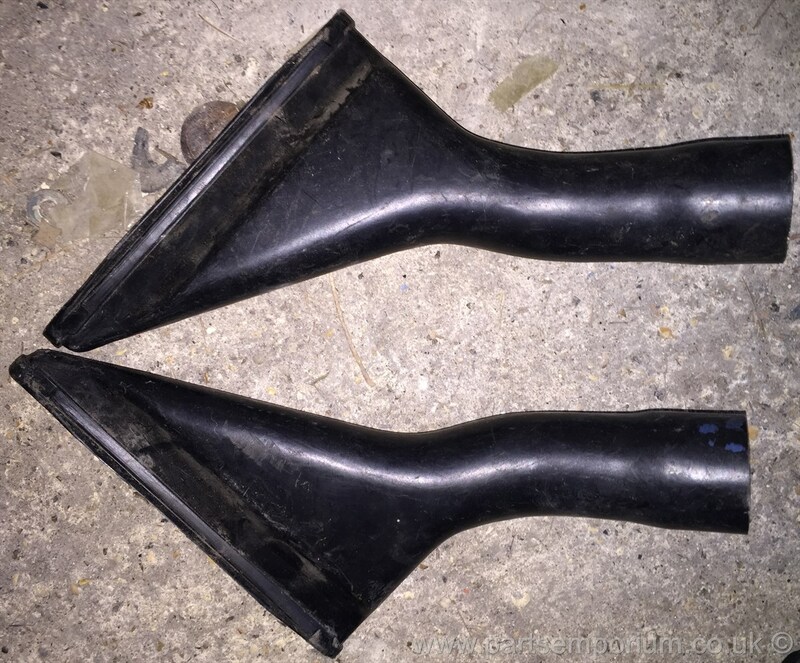 Sizes in photos, Purple floral with Tie backs - £99 set - Advertised for a friend. 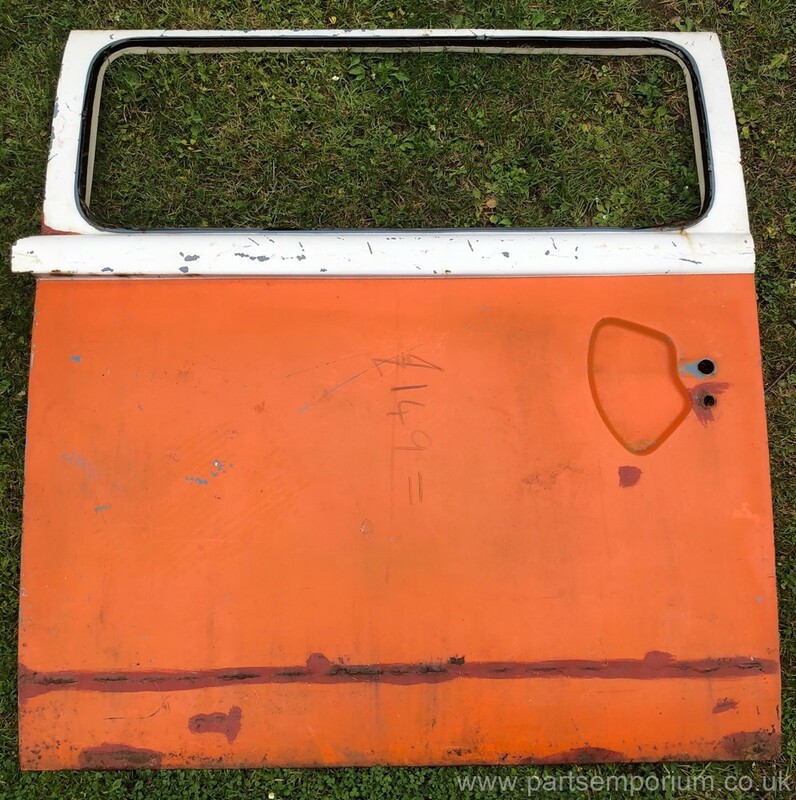 Brand new - Bay Window T2 Curtains, Sizes in photos, Purple and Orange Multi Stripe - £99 Set advertised for a Friend. 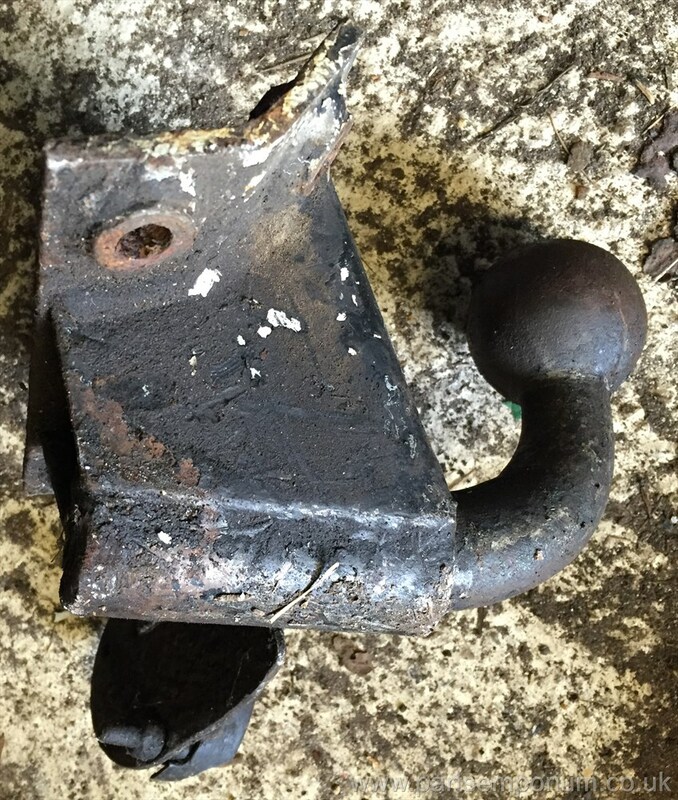 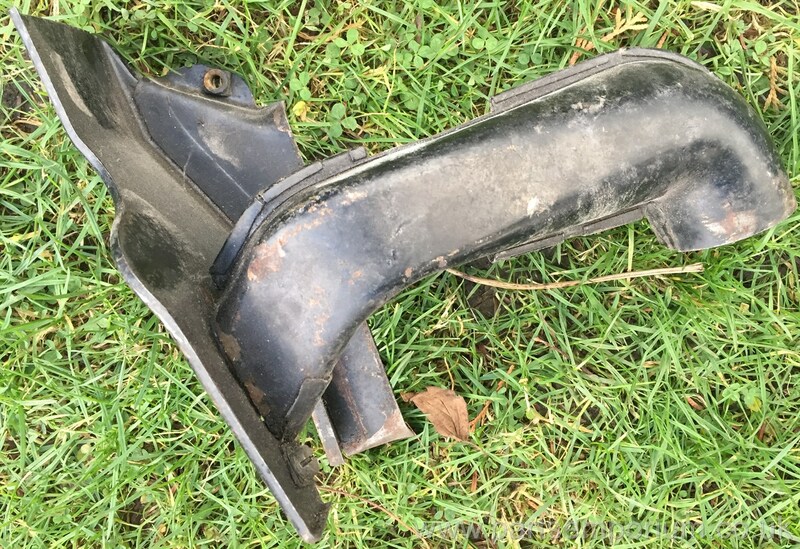 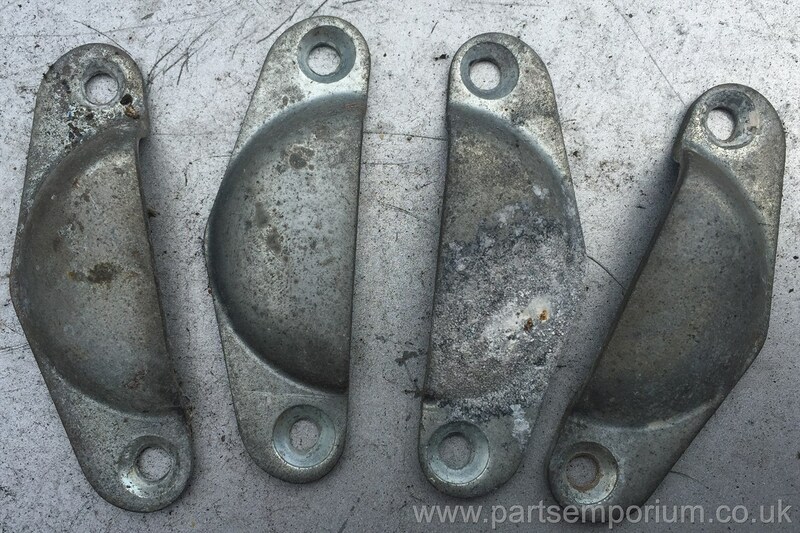 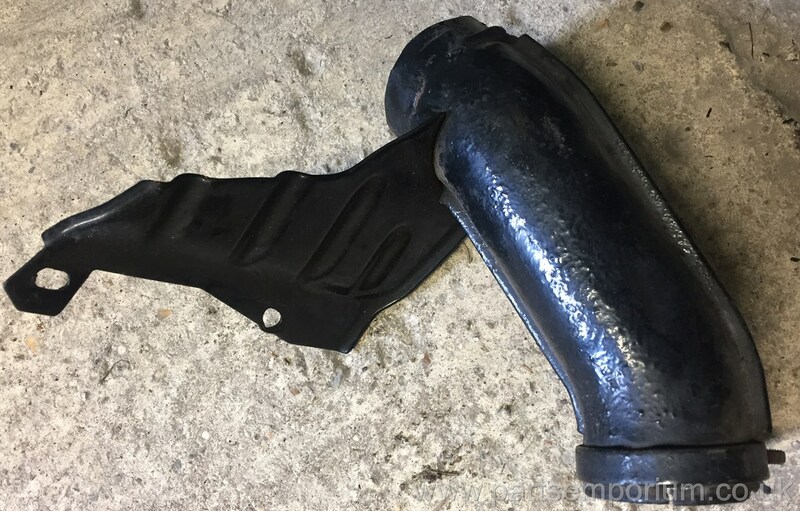 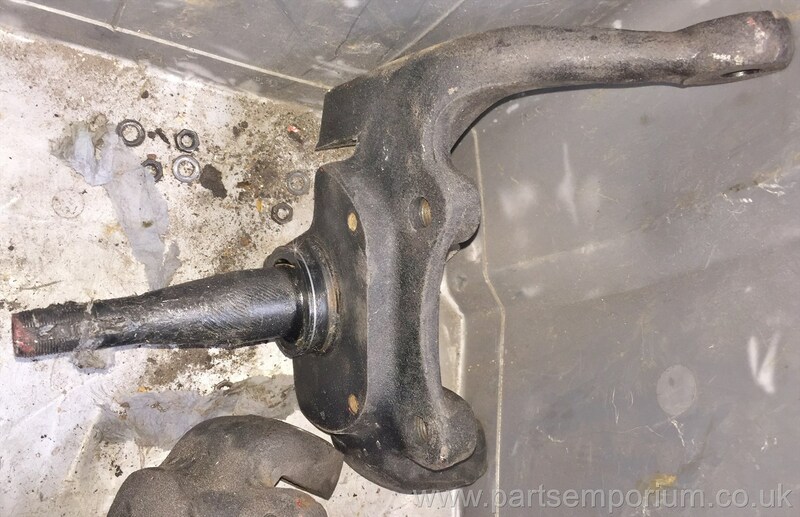 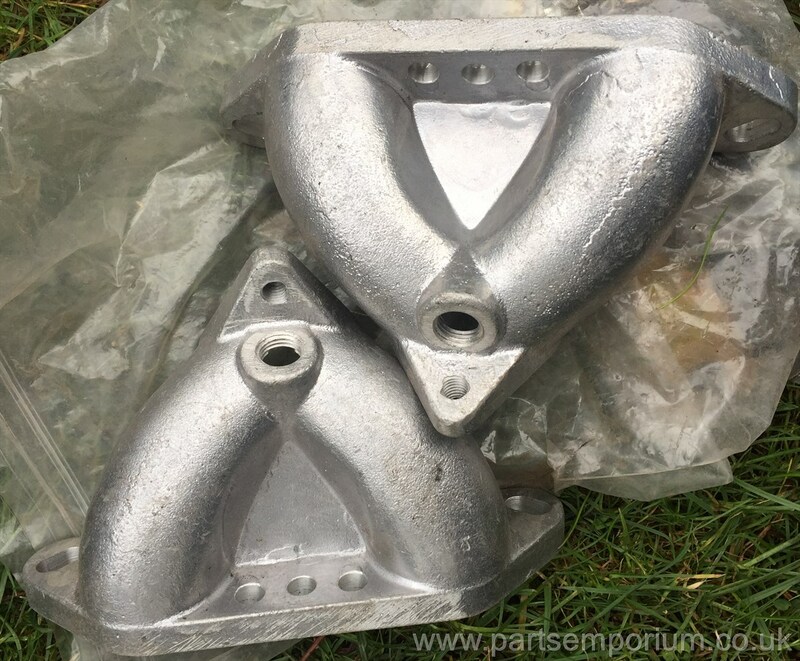 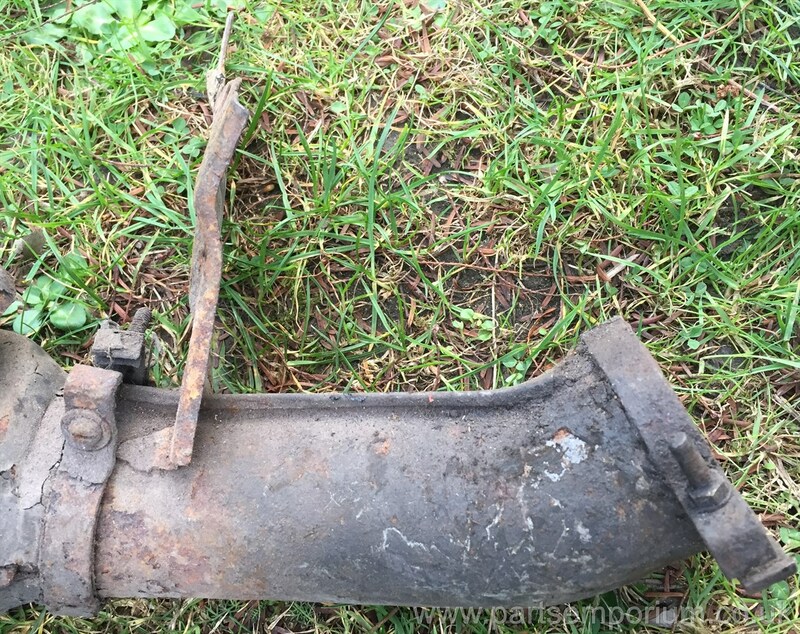 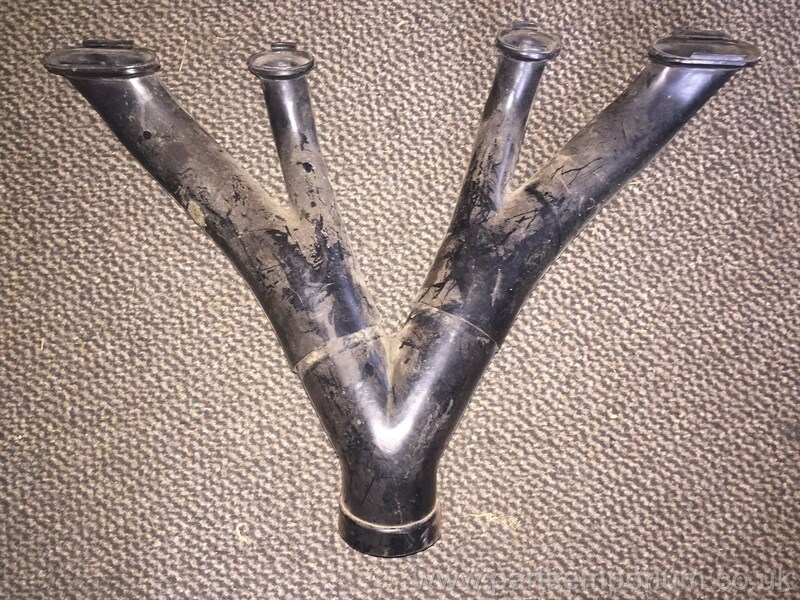 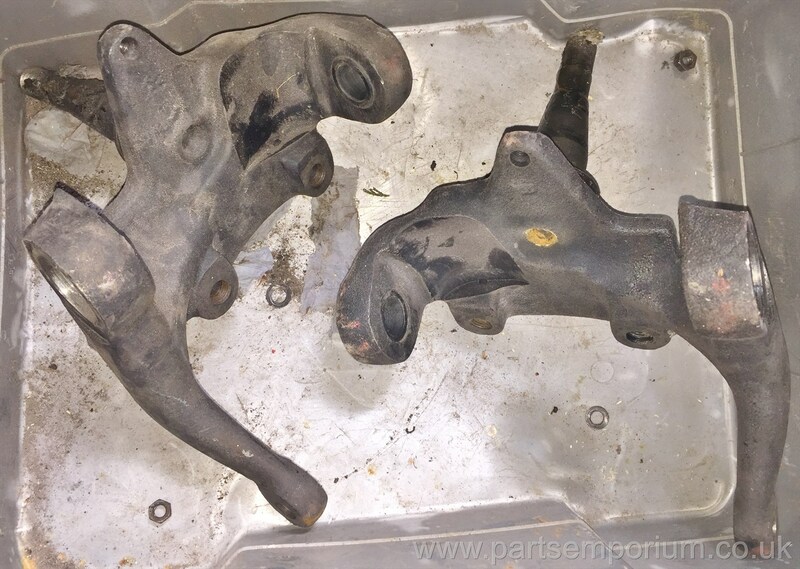 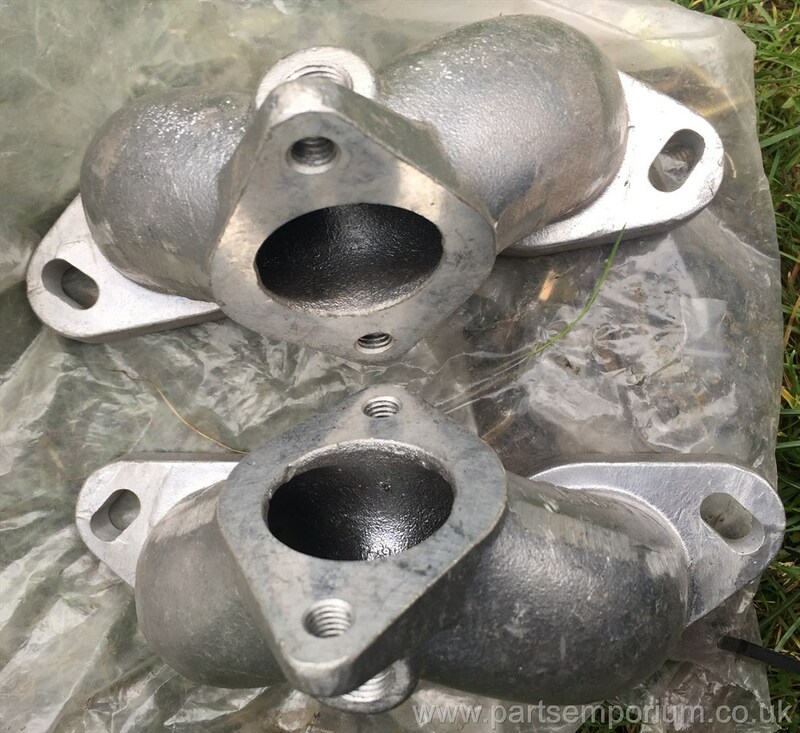 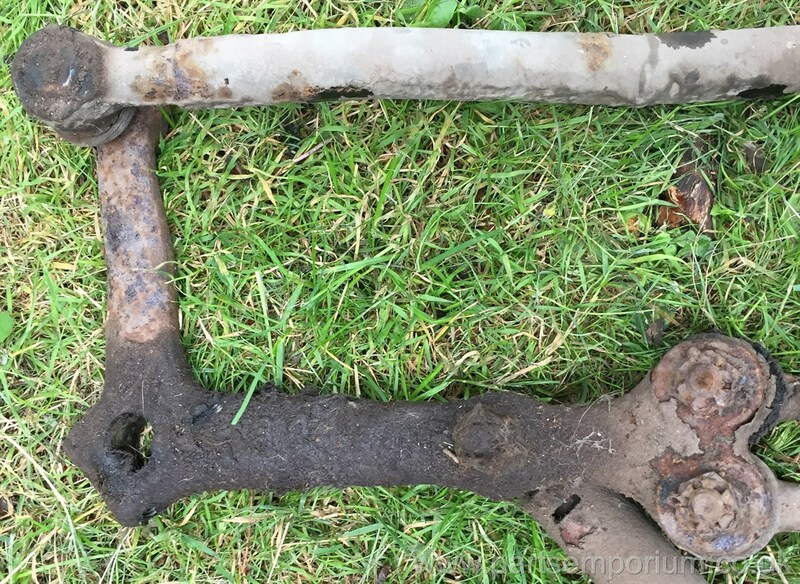 Bay window front suspension trailing arms for refurb - all need new joints - For professional rebuild - £20 each - These will need strip clean and new ball joints professionally fitting - £20 each - Great for handing in as a "core" for your reconditioned units.. 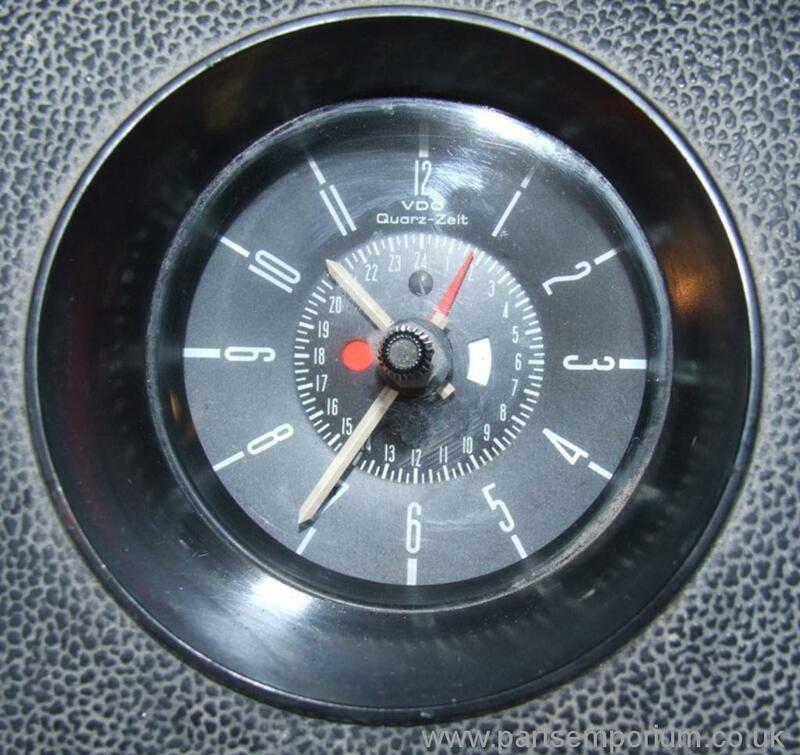 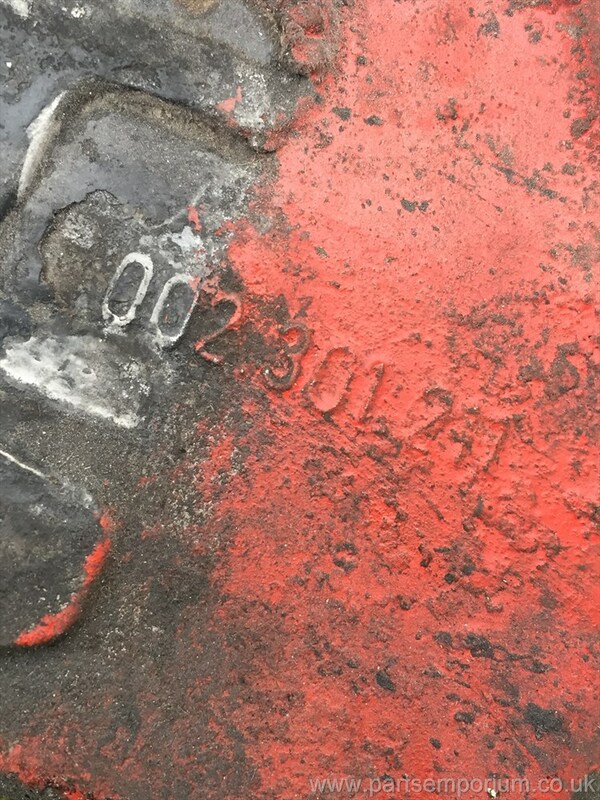 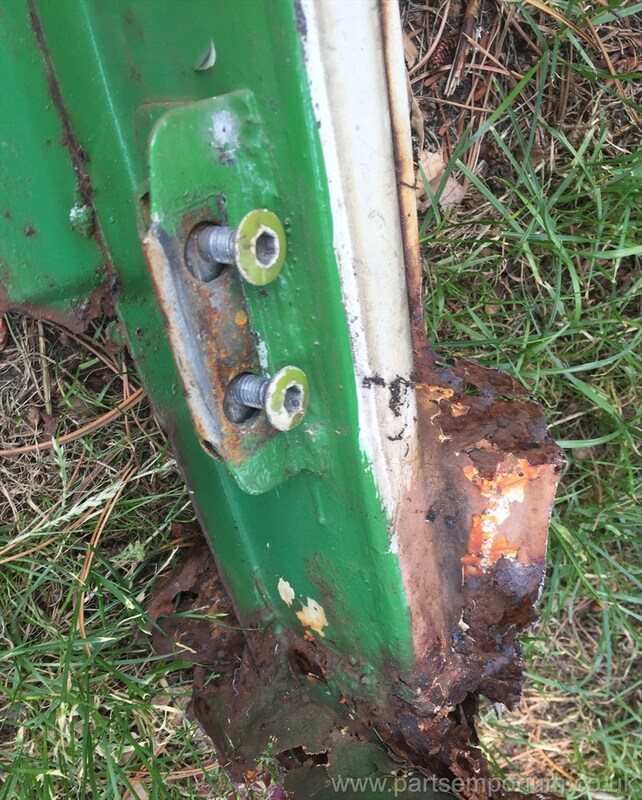 They are moving parts over 40 years old.. they are not new and show signs of wear.. 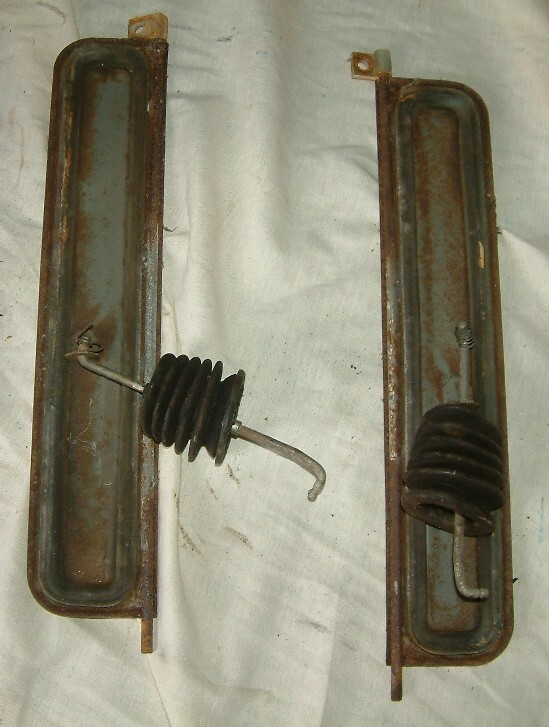 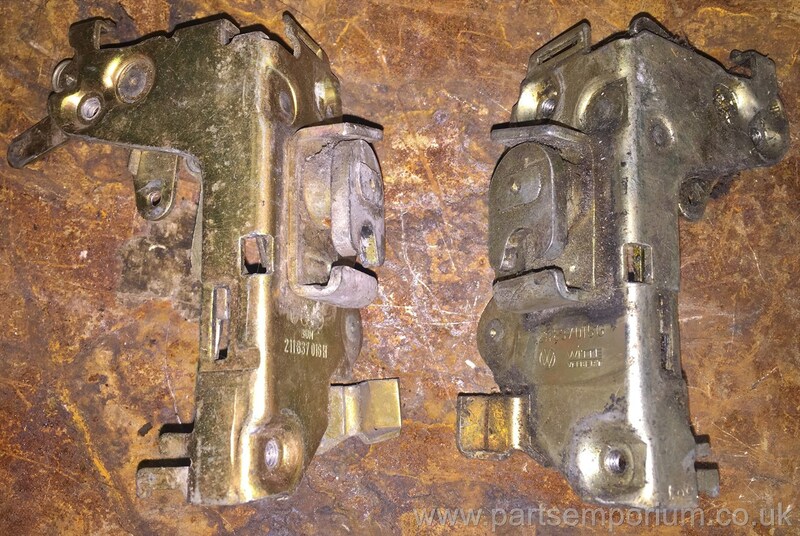 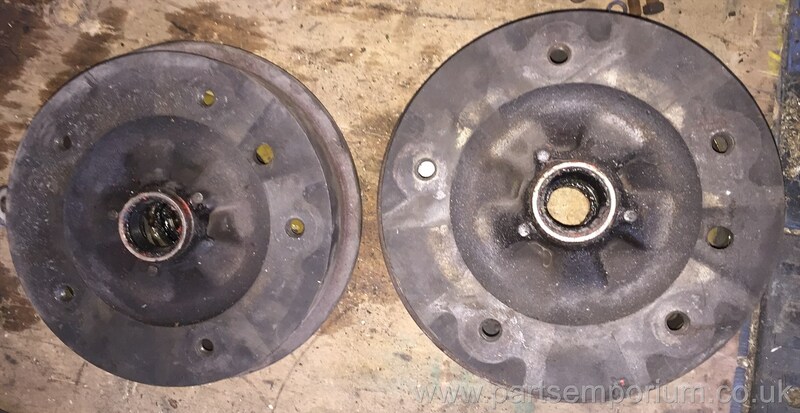 Pair Transporterhaus bay window dropped spindles - Disc Brake dropped spindles - Used for under 10 miles - £225 the pair. 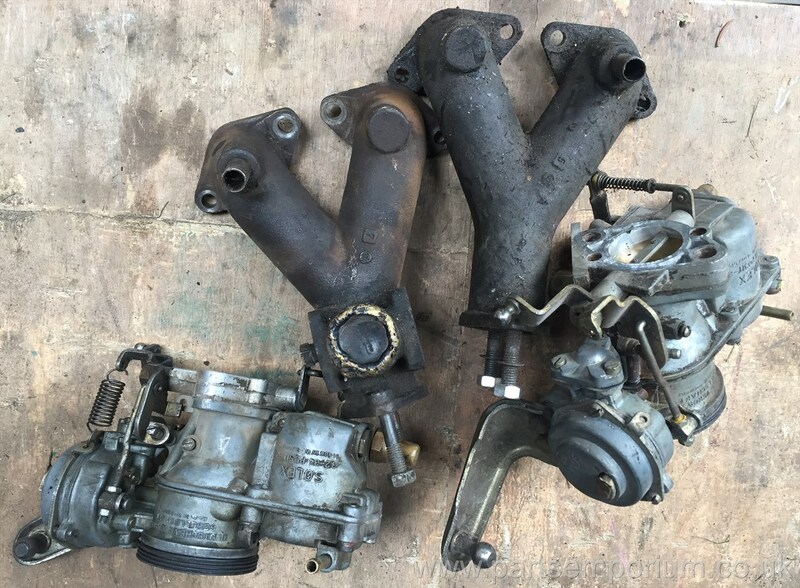 Pair Dellorto DRLA Carburettors, with manifolds - Tatty, in need of full rebuild, have been stored over 10 years, Throttles move freely - Come take a look - £299 the pair. 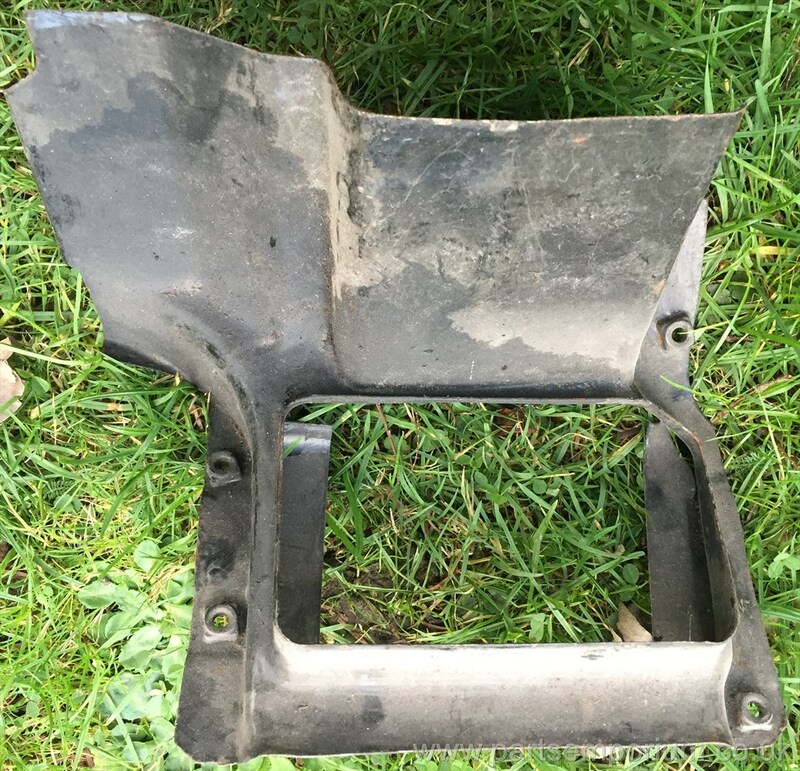 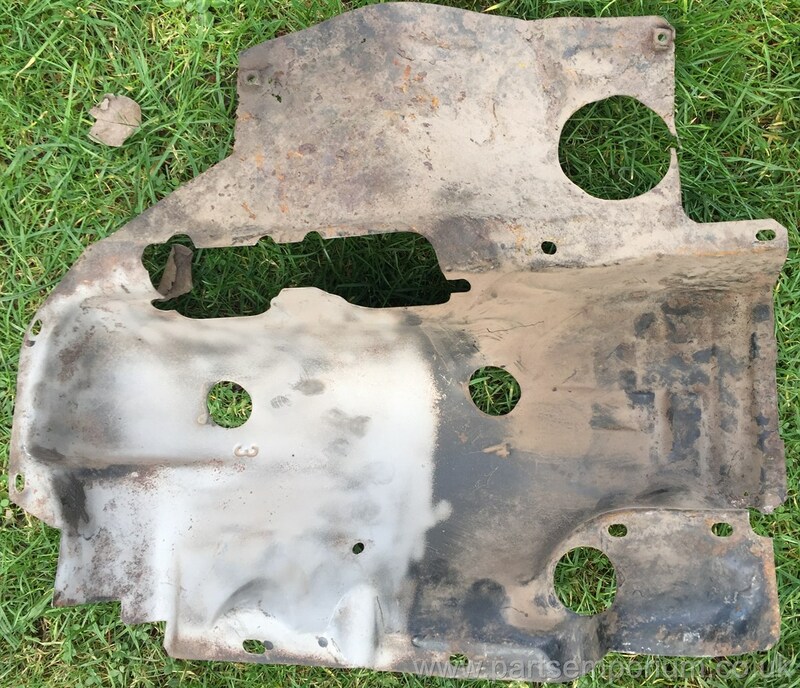 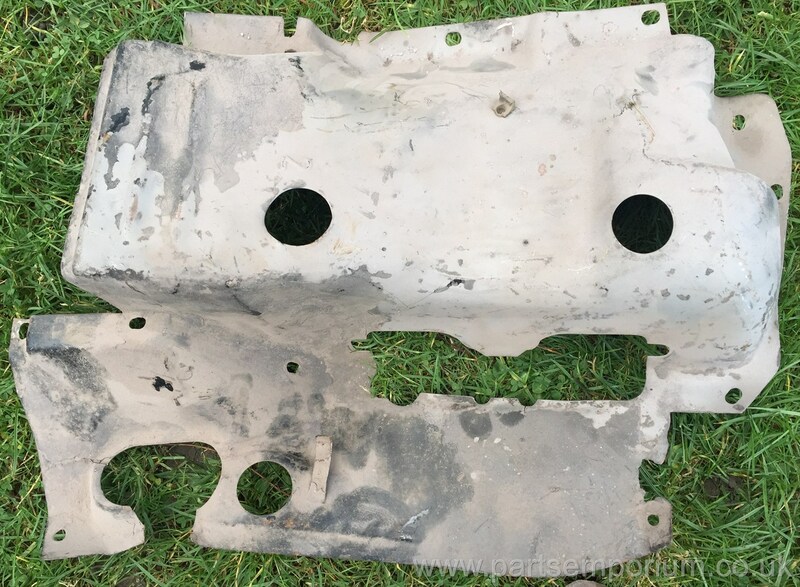 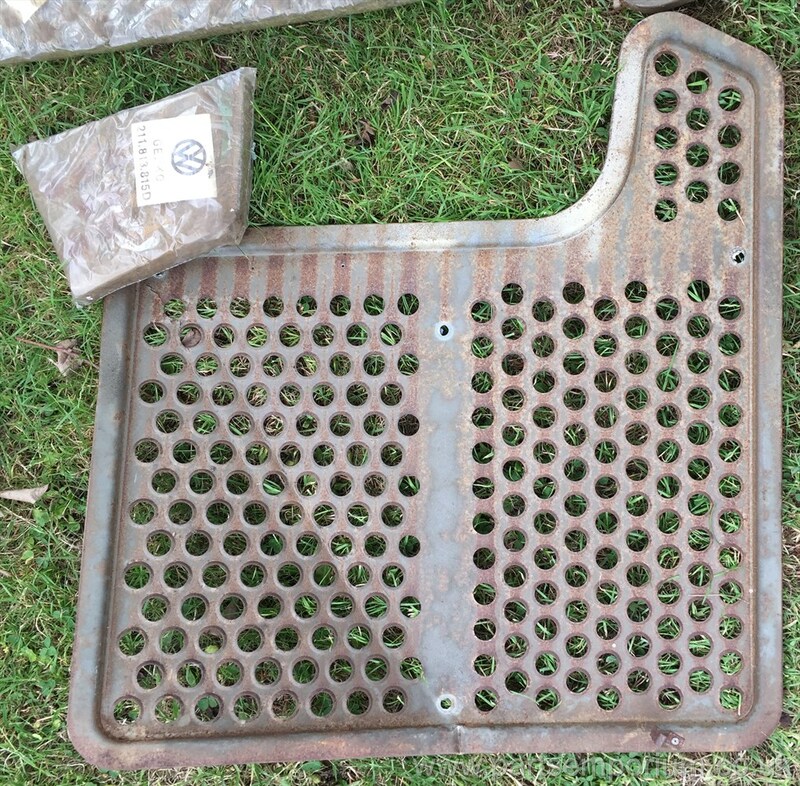 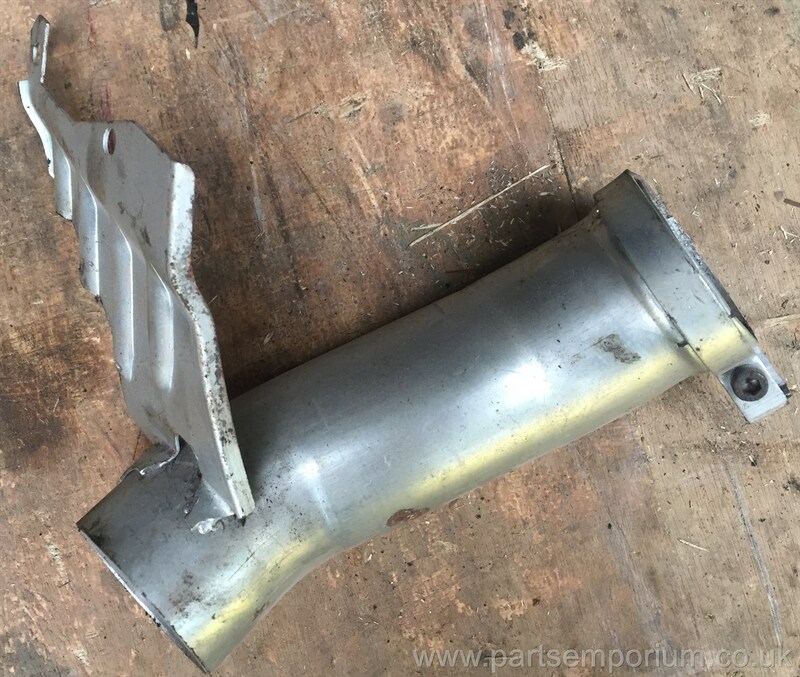 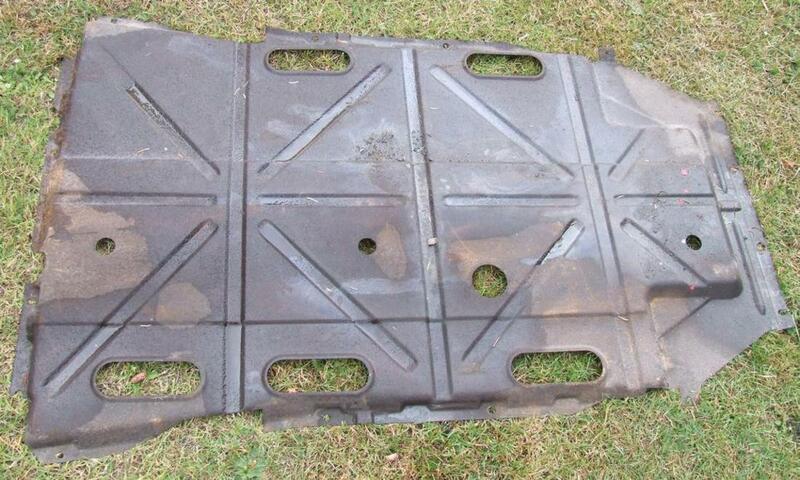 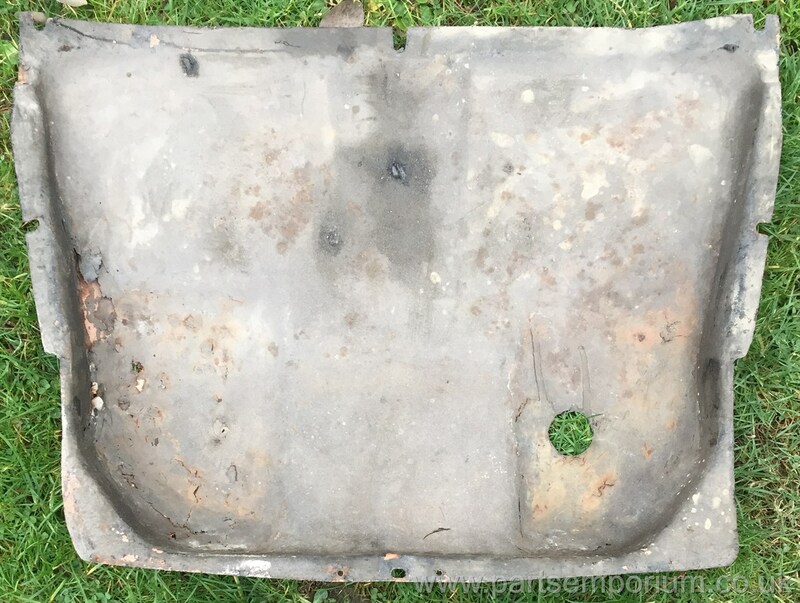 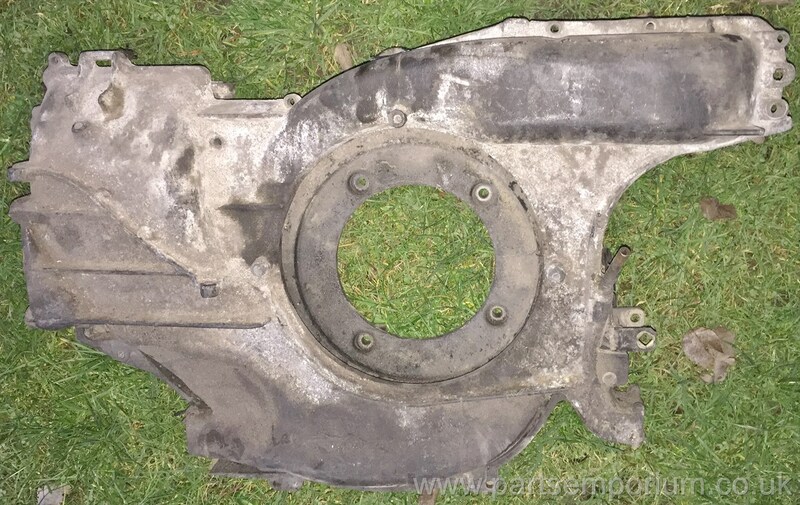 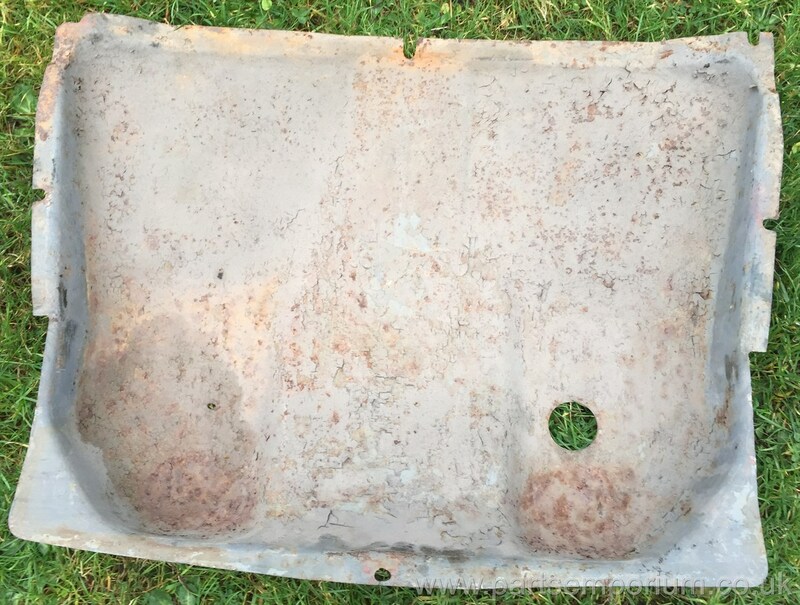 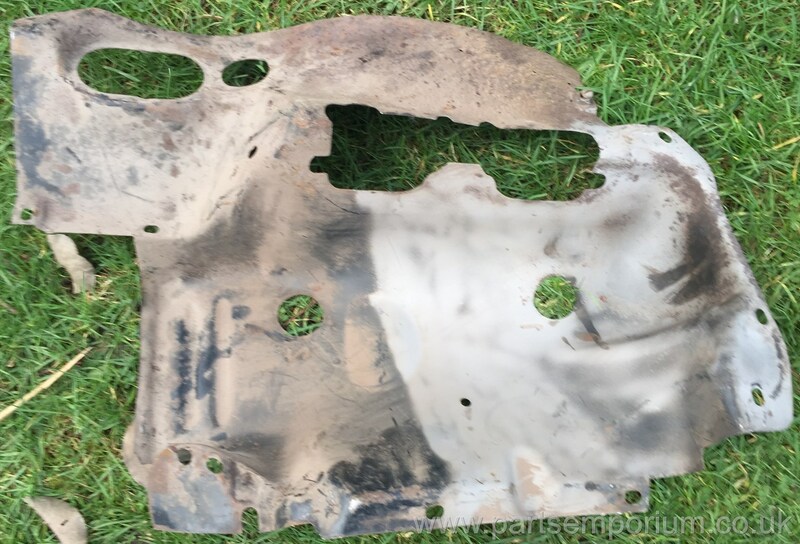 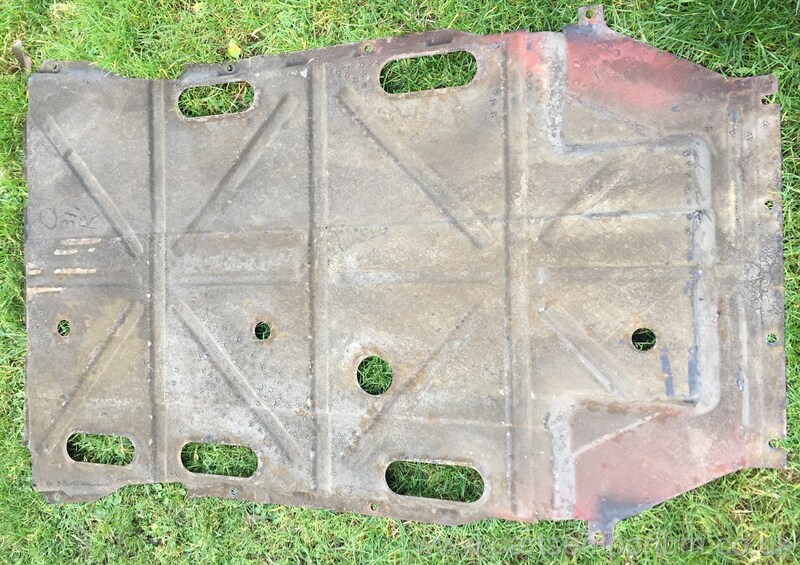 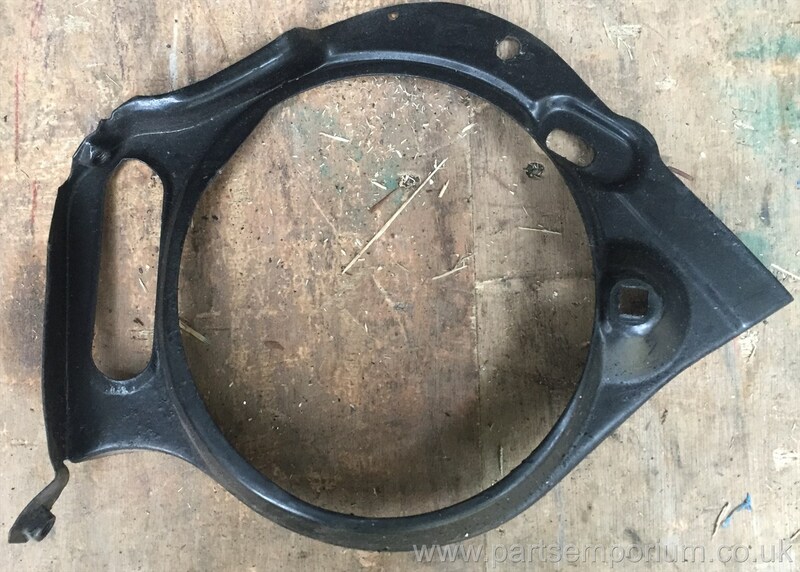 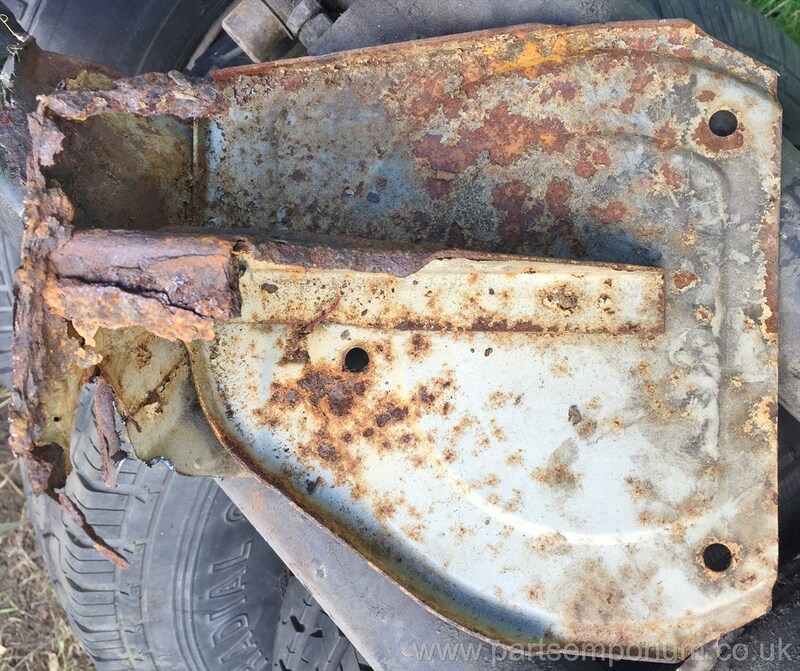 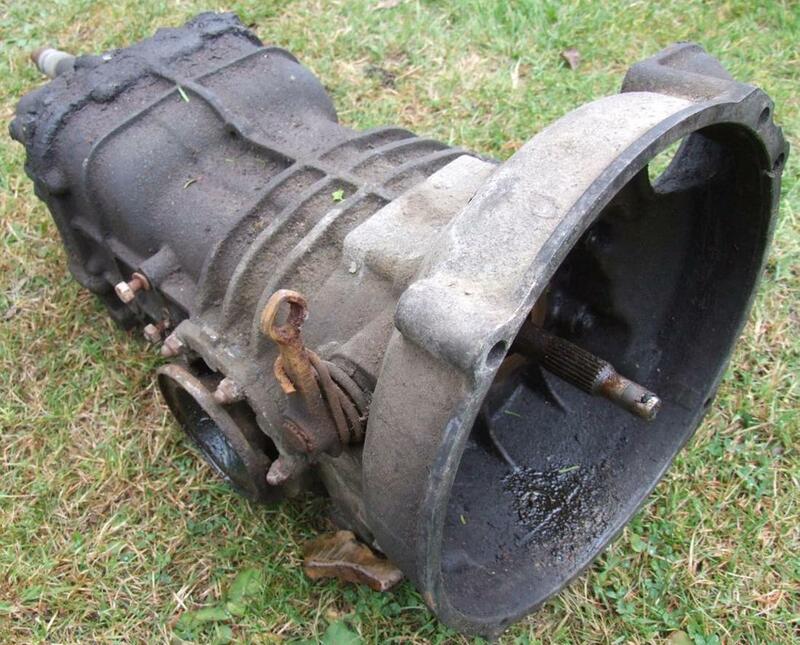 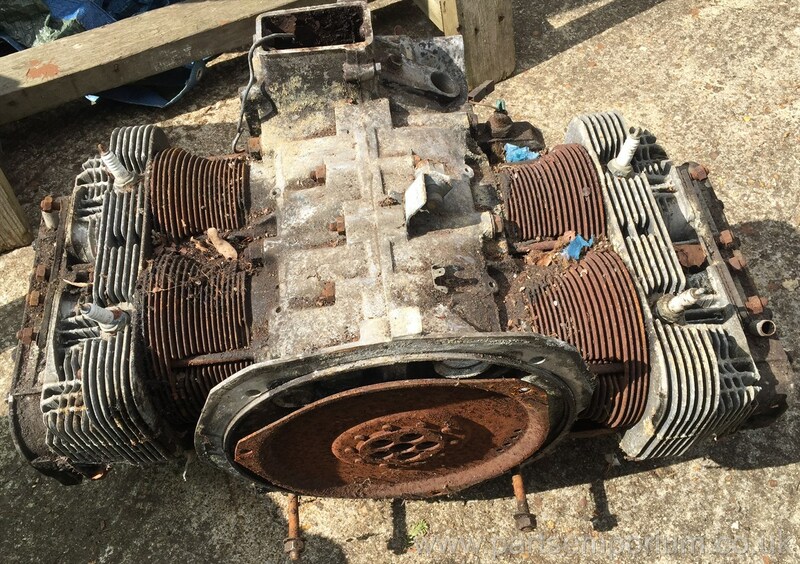 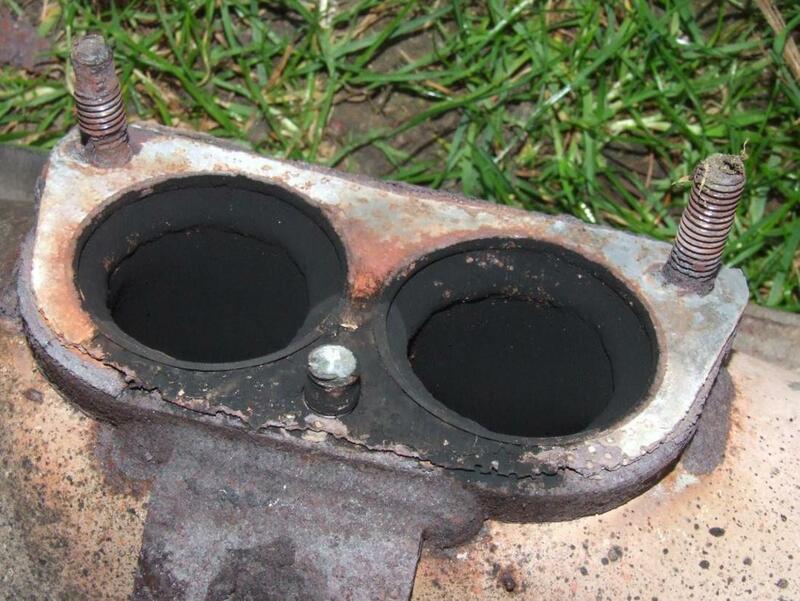 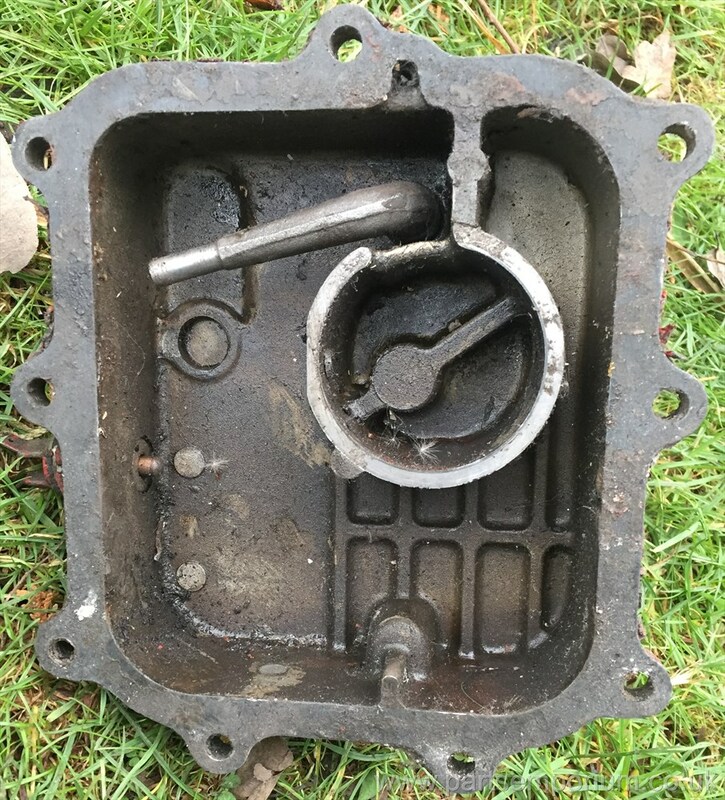 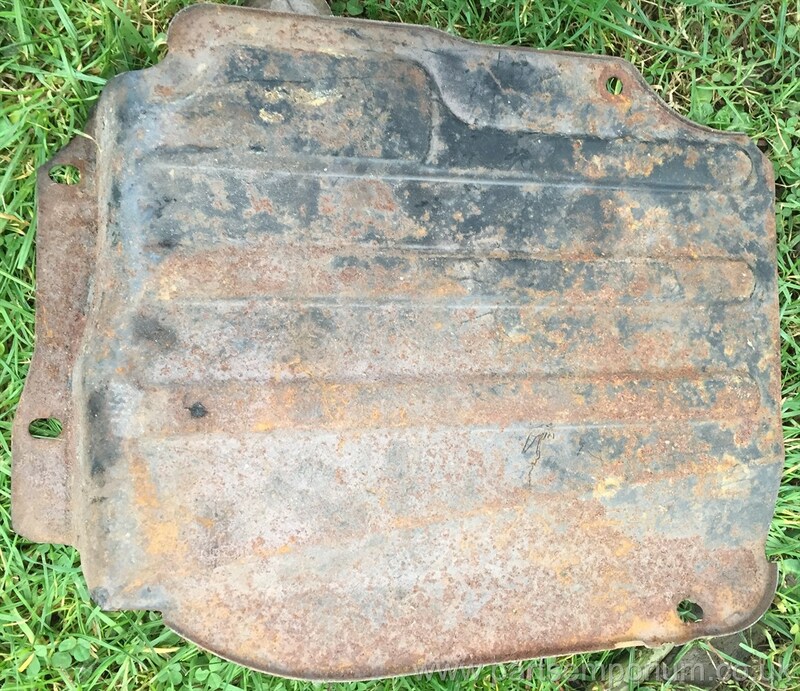 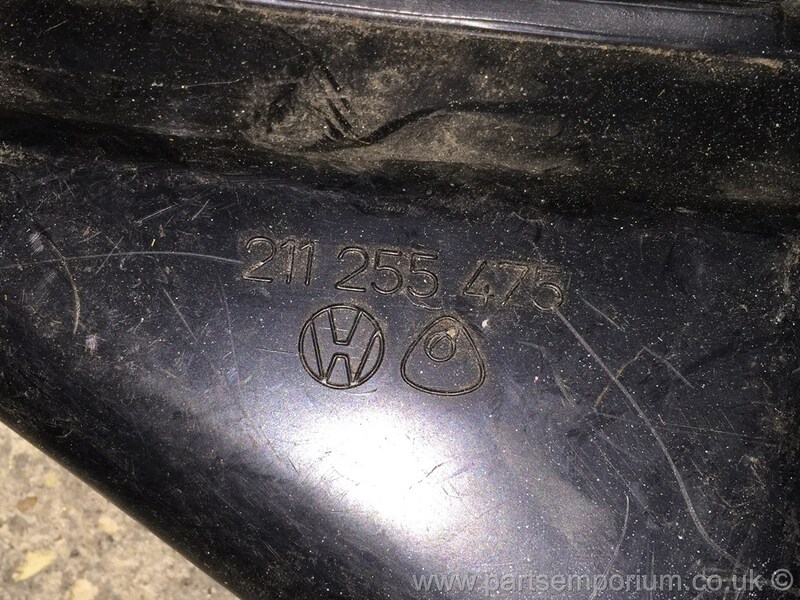 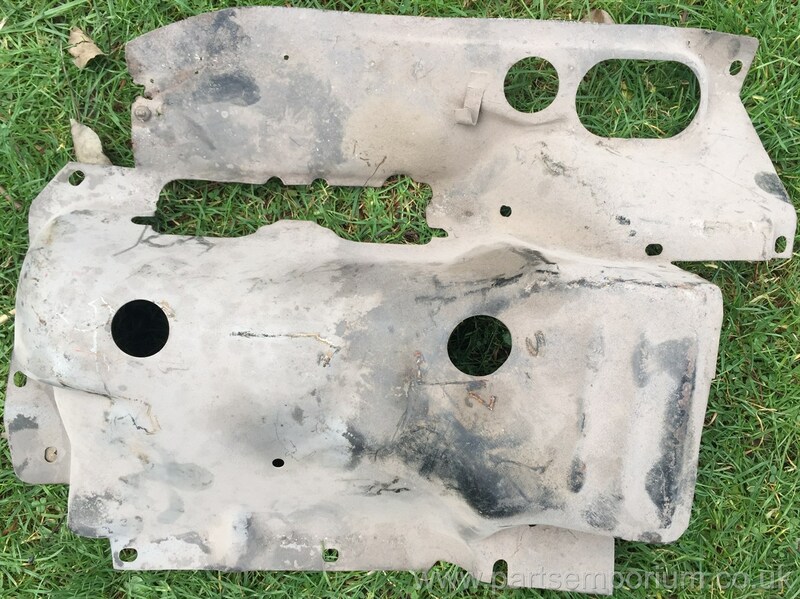 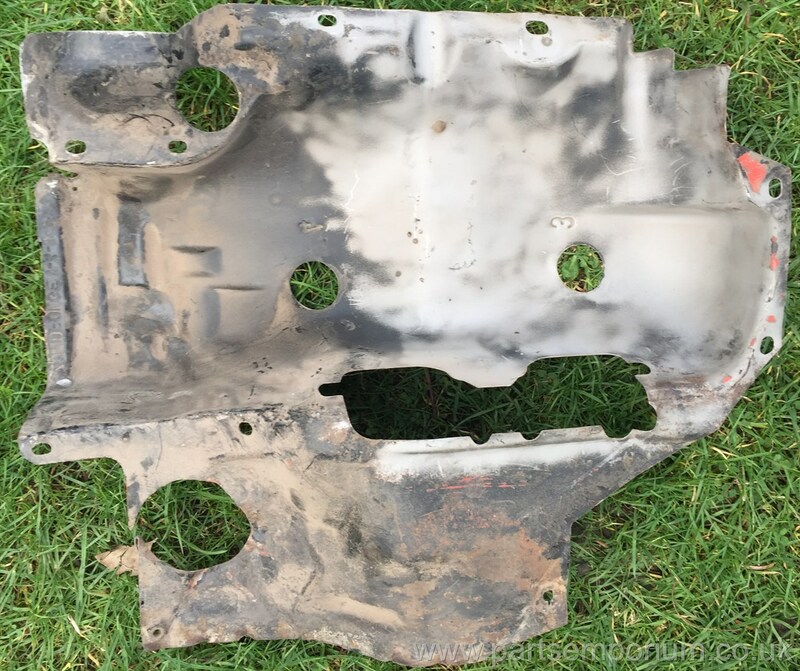 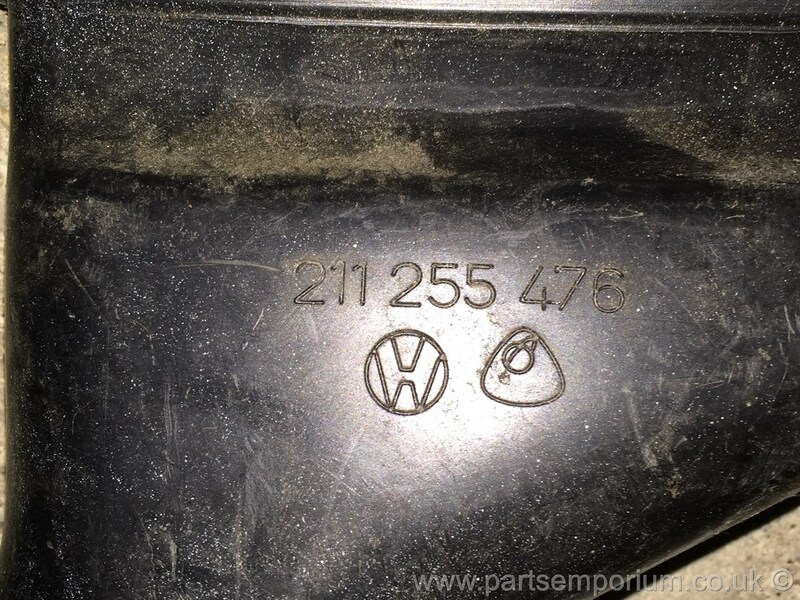 Volkswagen Bay window Type 4 Engine Tin - 1700cc 1800cc 2000cc - Tin number 34 - £20 . 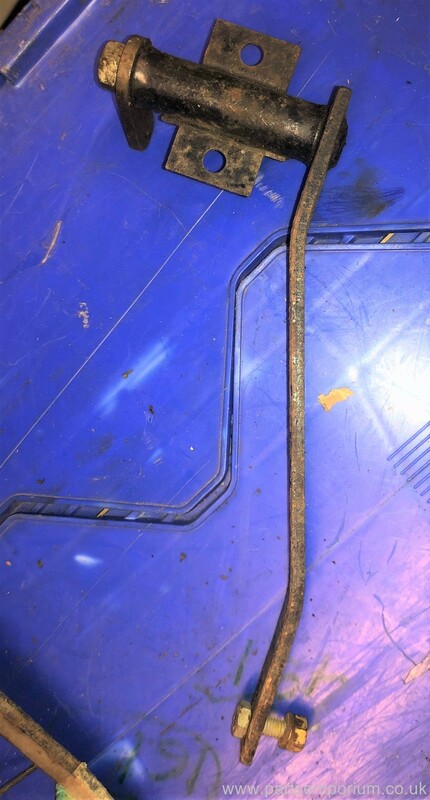 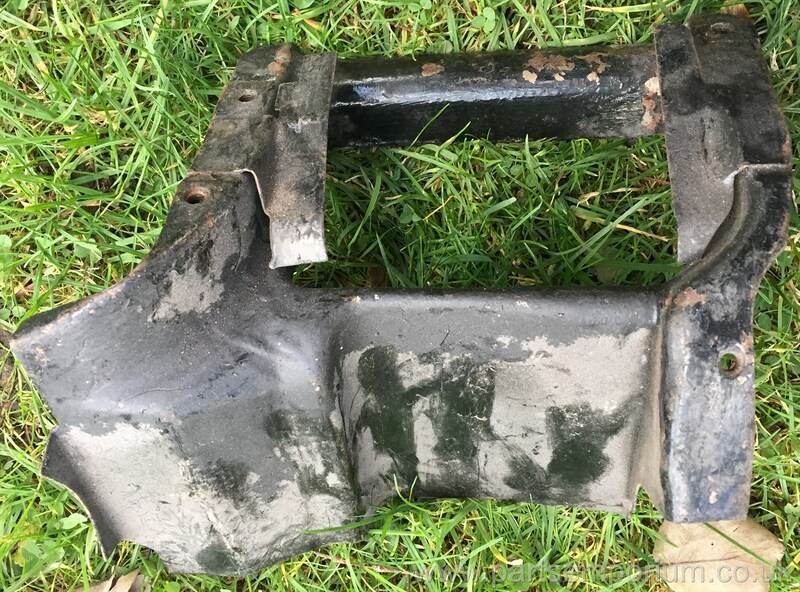 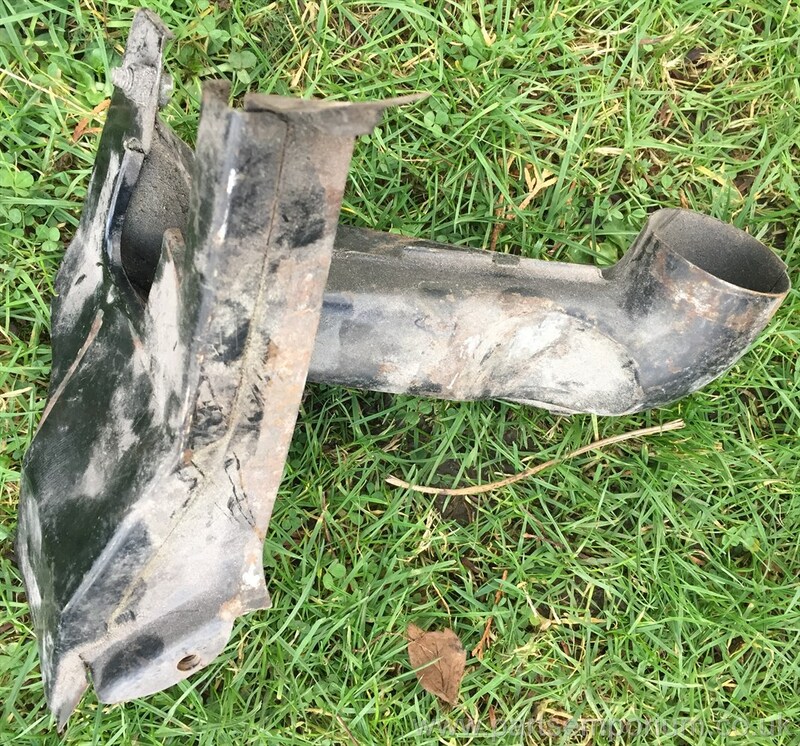 Bay window Stub Axle - Rear - £50 - 231mm long - Some damage. 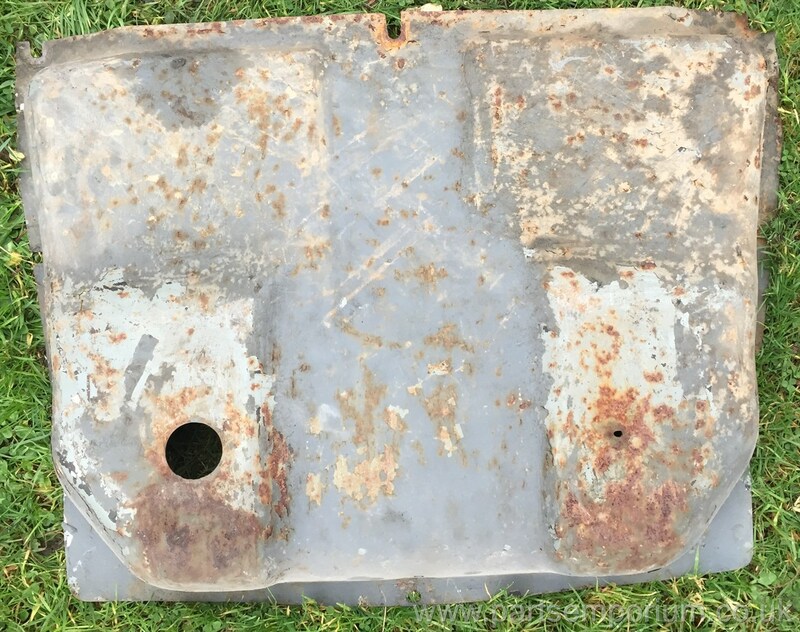 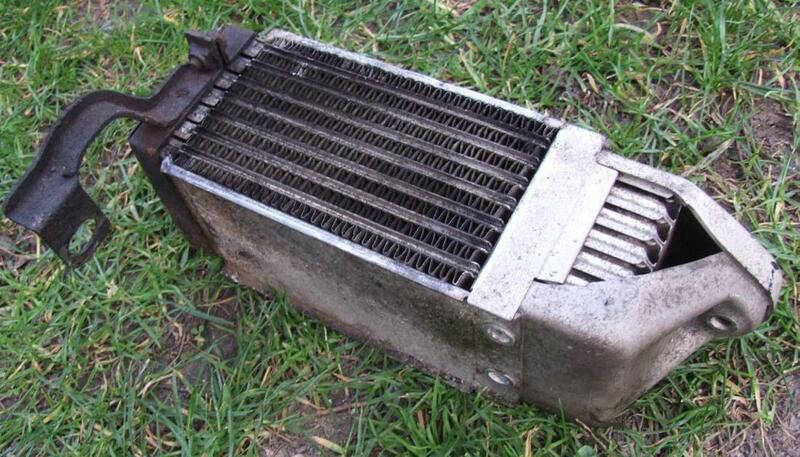 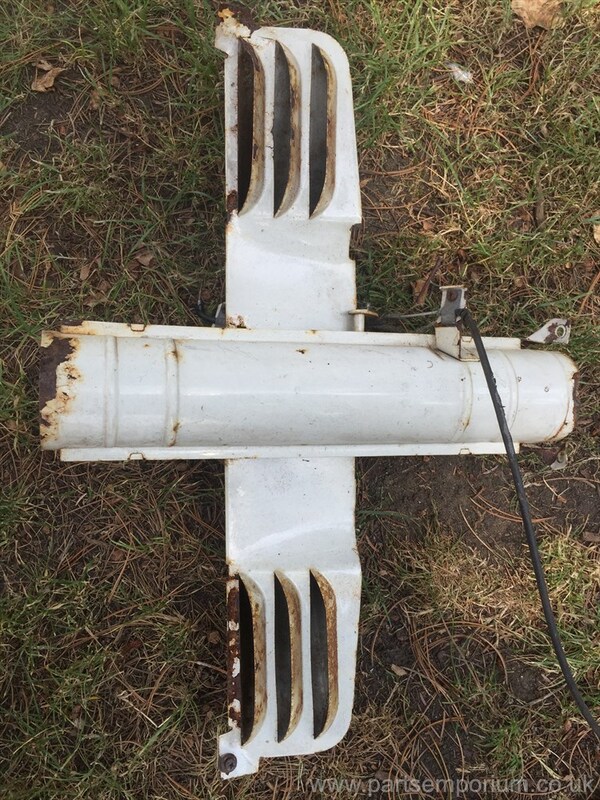 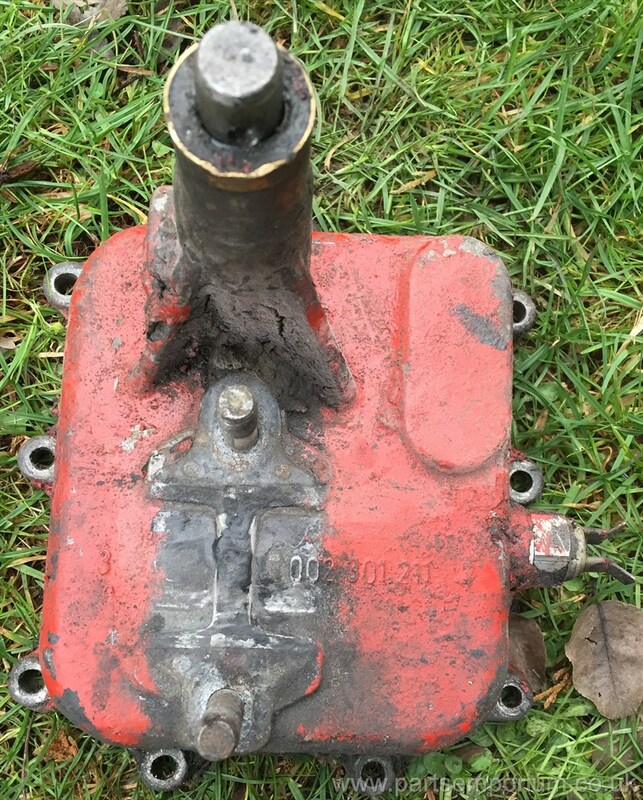 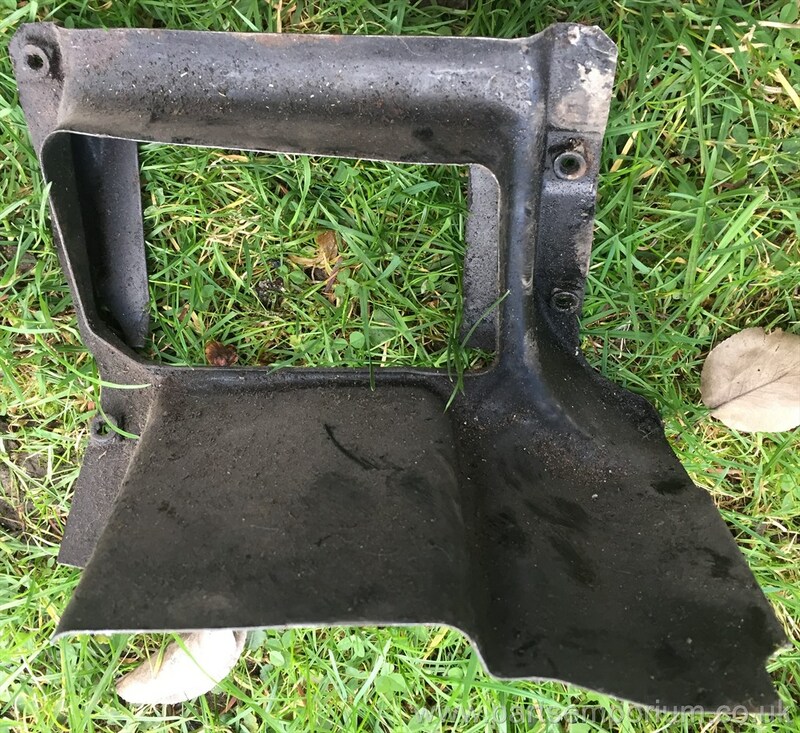 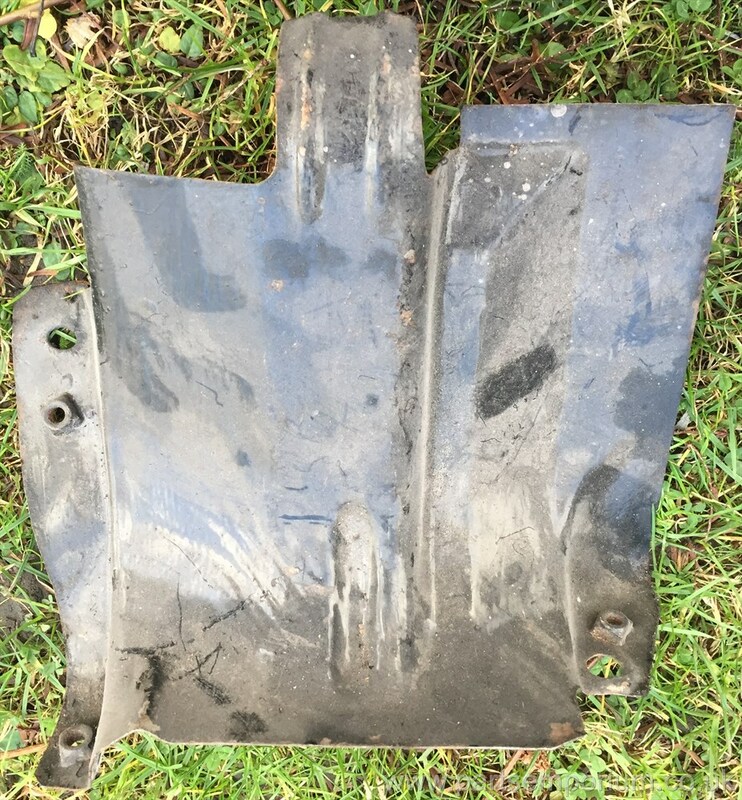 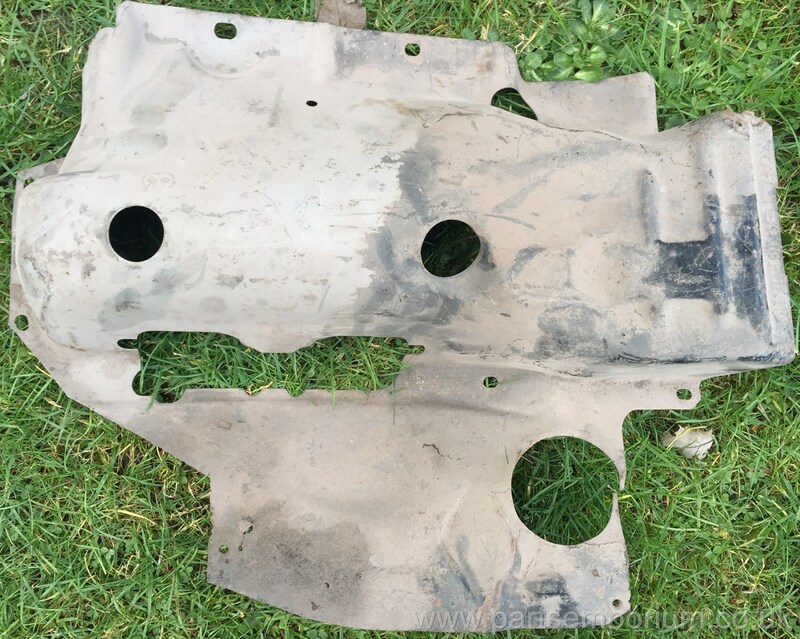 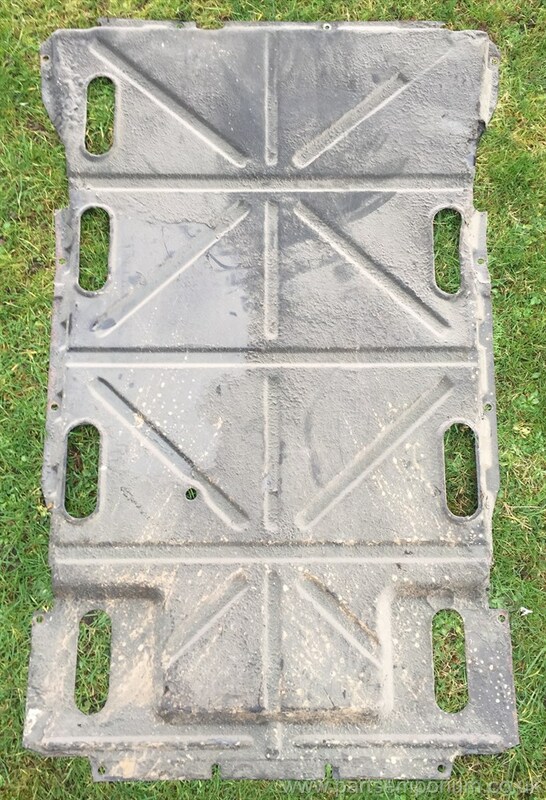 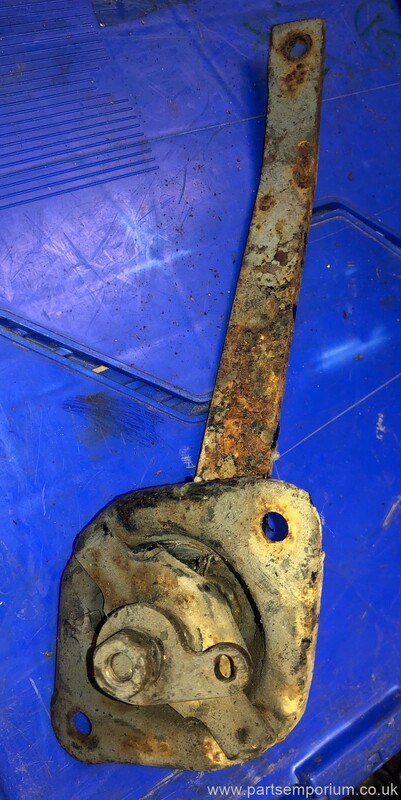 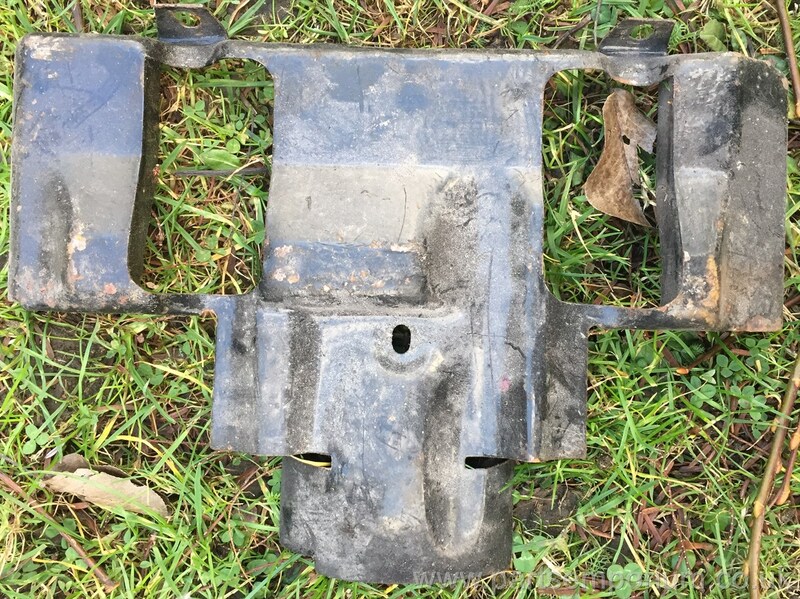 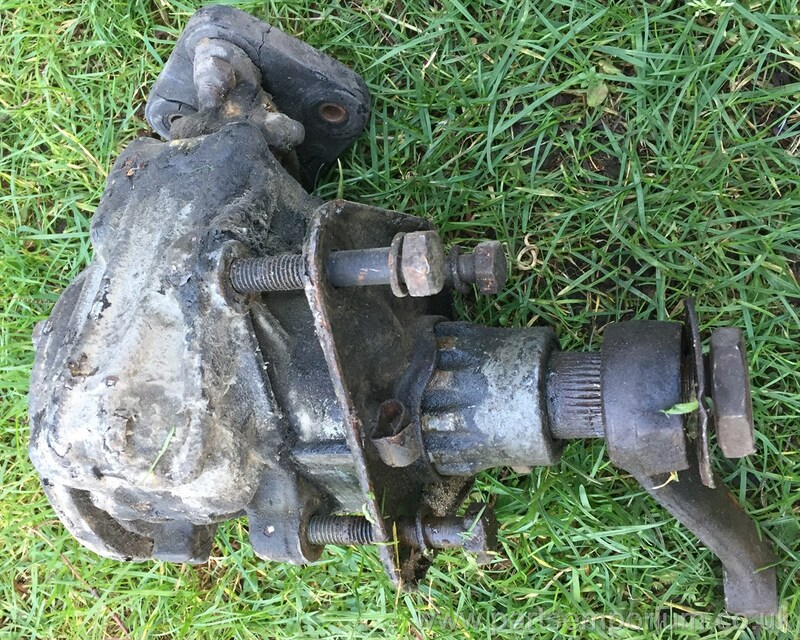 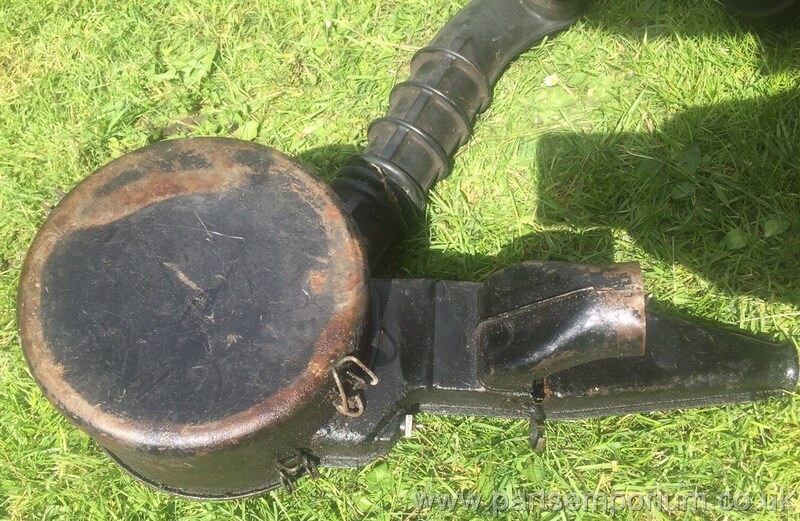 Australian Bay Wiper motor mechanism - Different to anything I've seen - Advertised for a friend - £50 - Collection near luton. 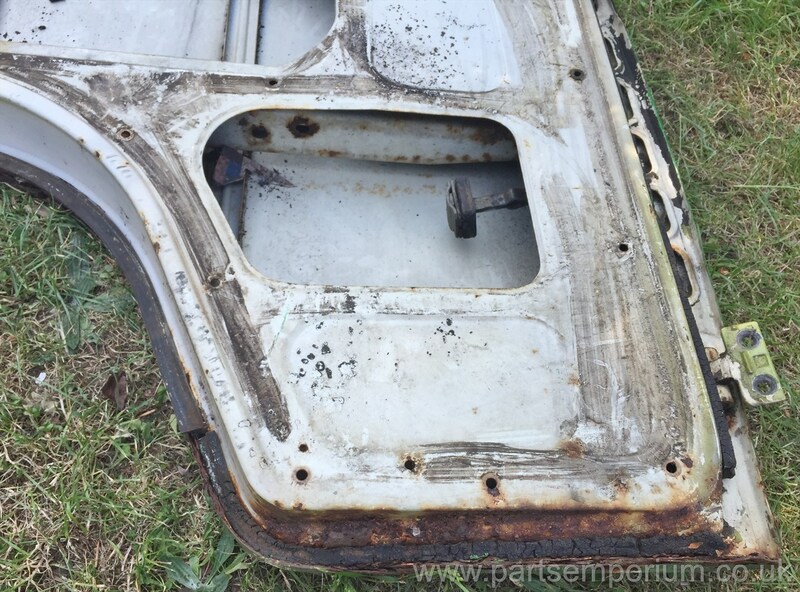 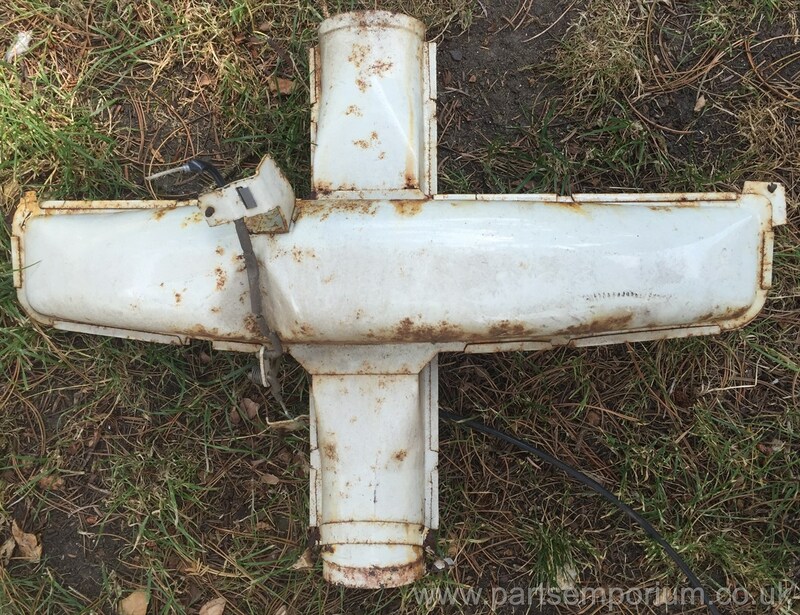 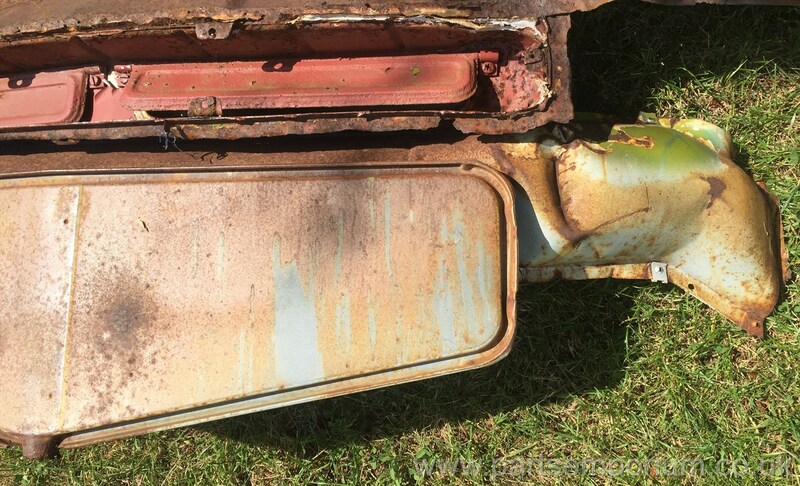 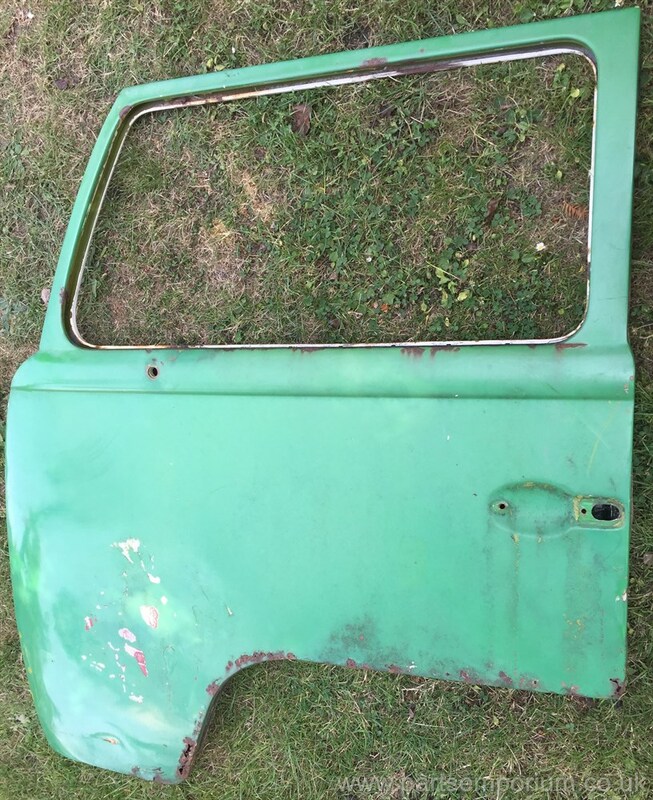 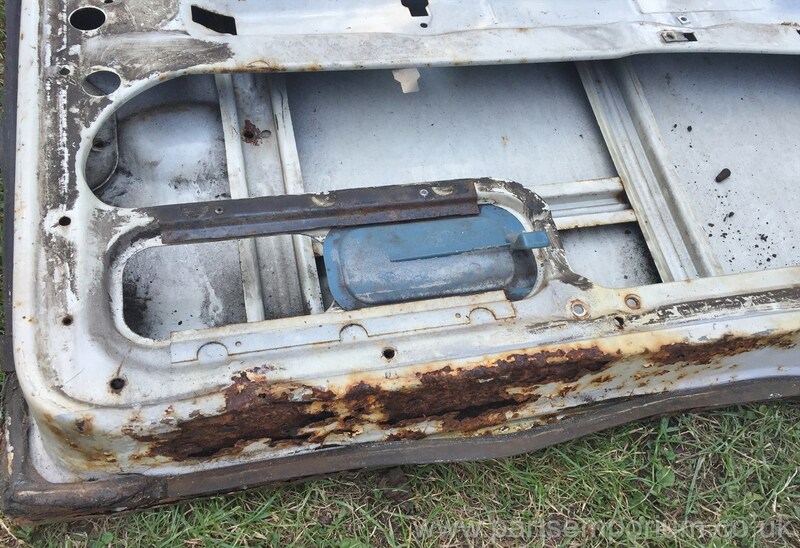 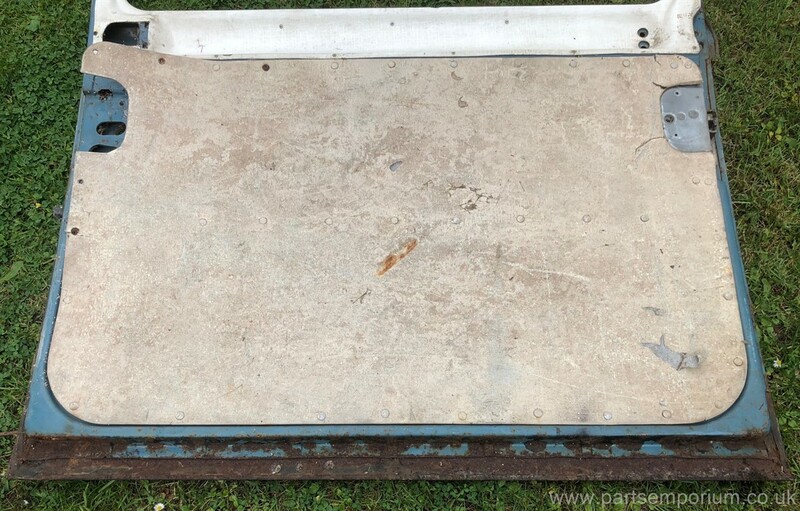 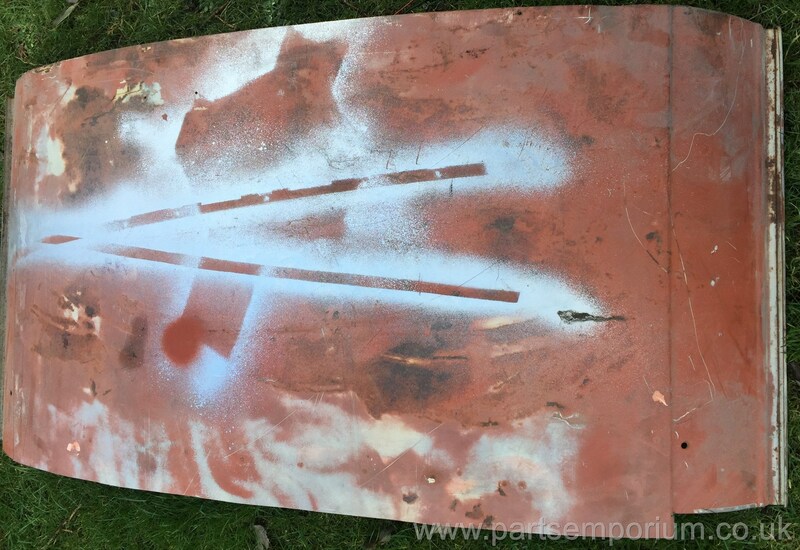 Bay window Beam - RHD - Solid - £250 advertised for a customer - Collection from near Luton. 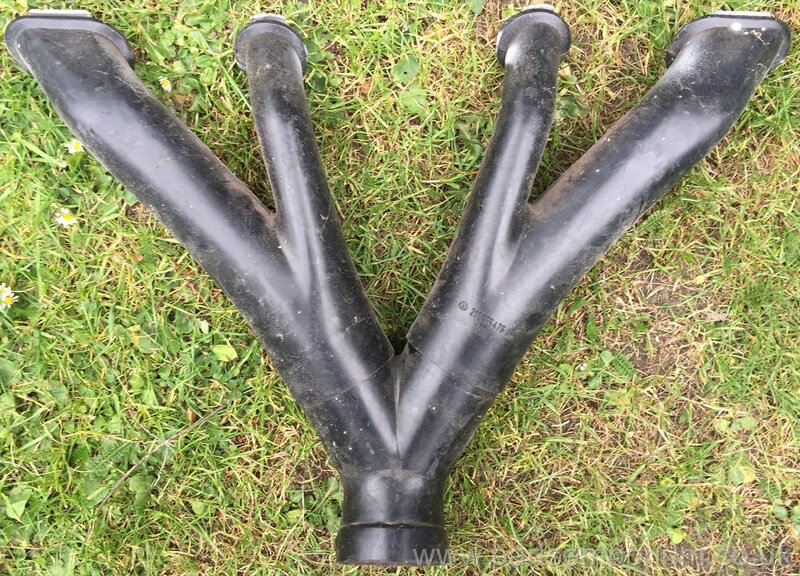 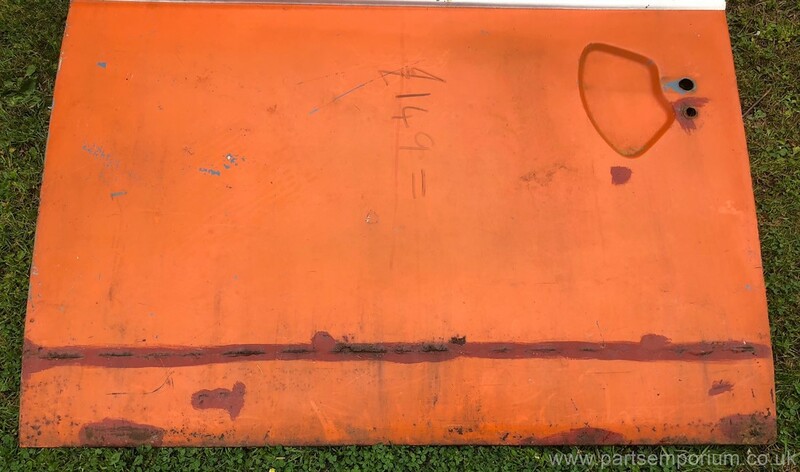 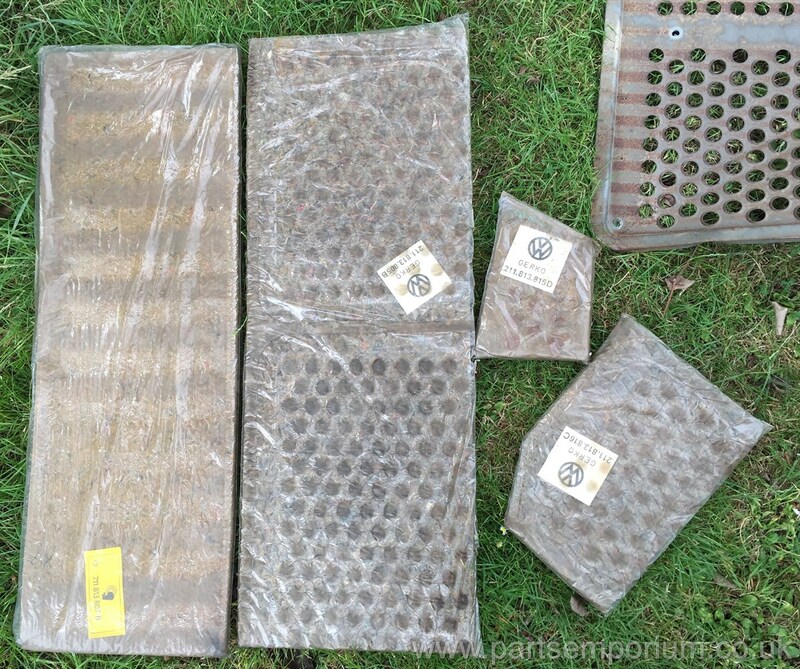 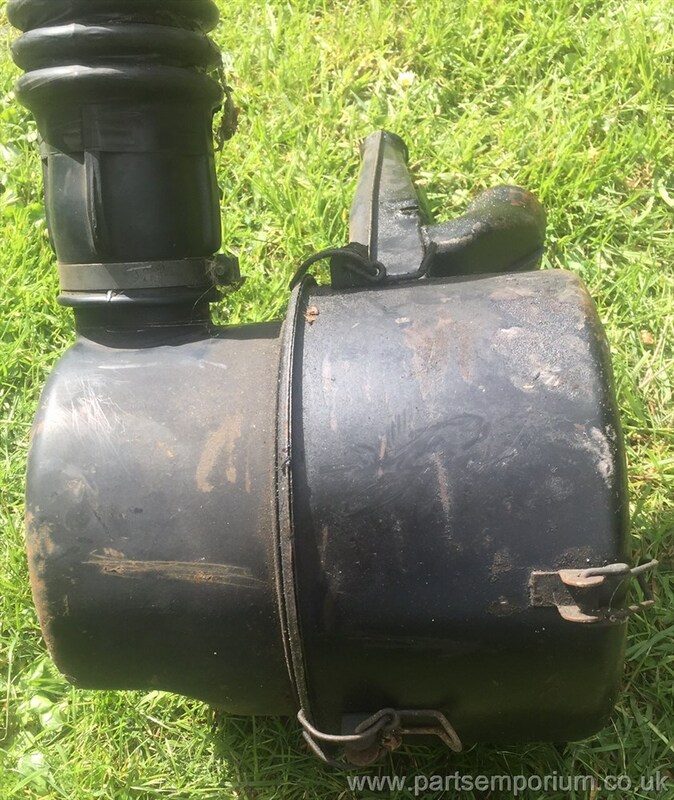 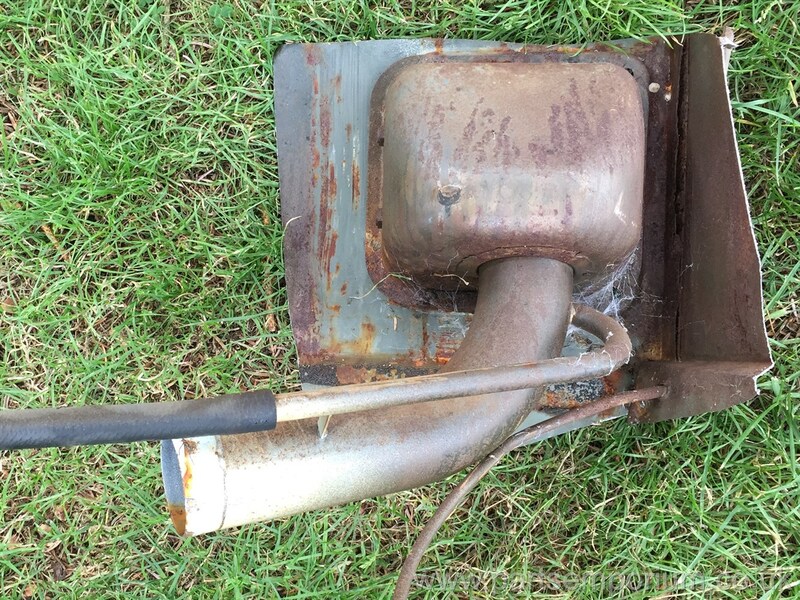 Two Eberspacher BN4 Heaters, One from a VW T2 and One from a 181 VW Trekker, 181261105 and 211261103 - complete unknowns, stored for many years, so sold for spares / repairs. 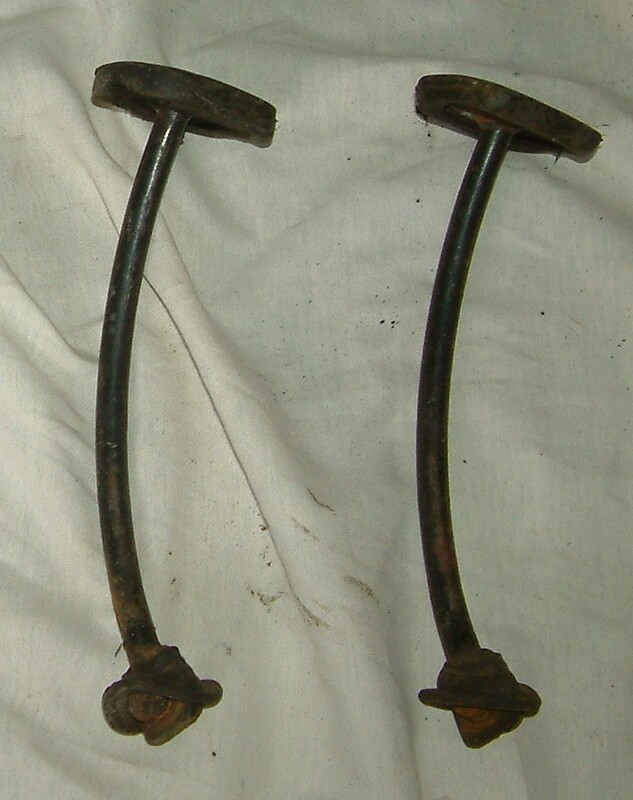 Private sale, collection only - £499 the pair. 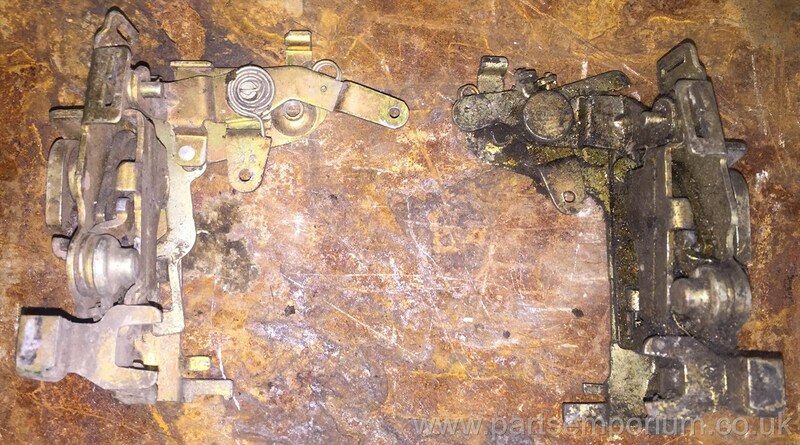 Bay Sliding door internals, locks, catches etc - £75 each - Let me know the part number you require as there are many differences - These are Library pictures - Stock changes all the time but very few in stock at present. 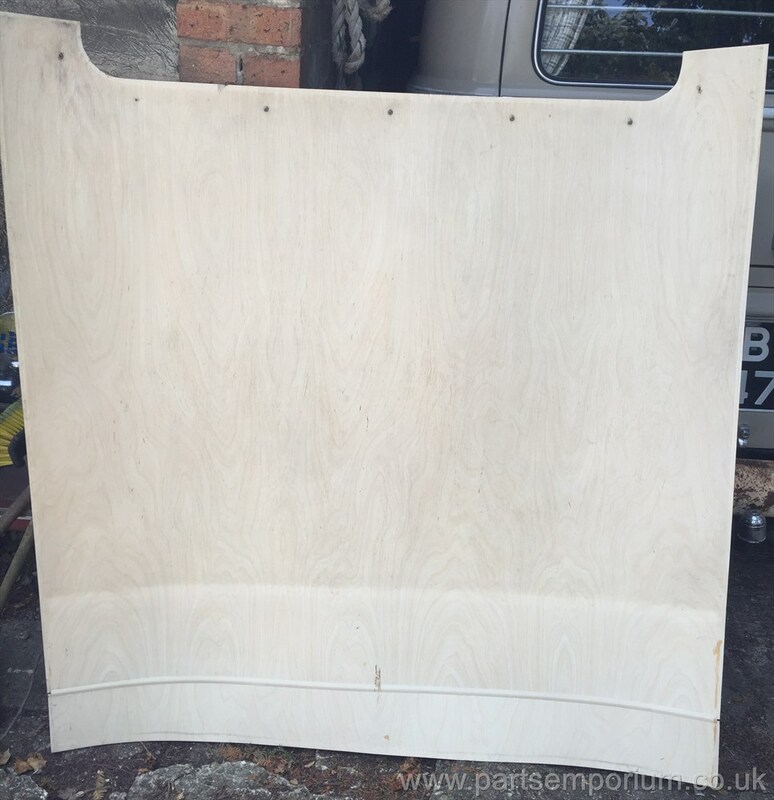 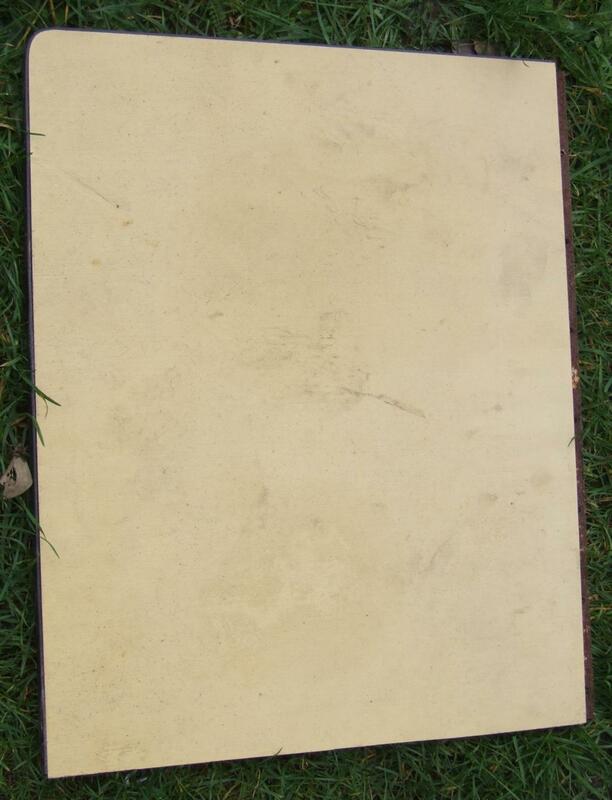 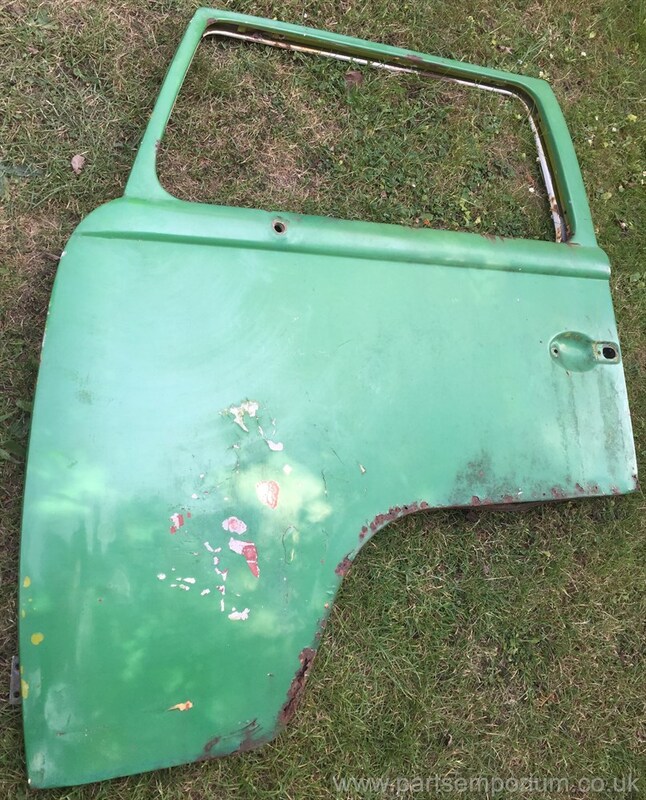 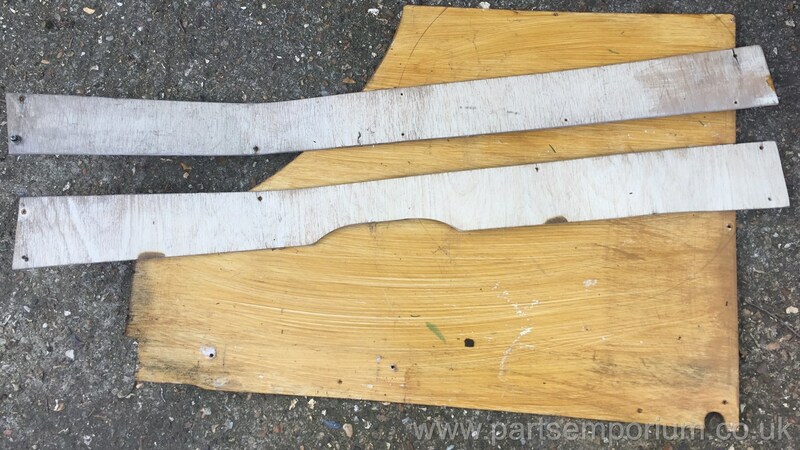 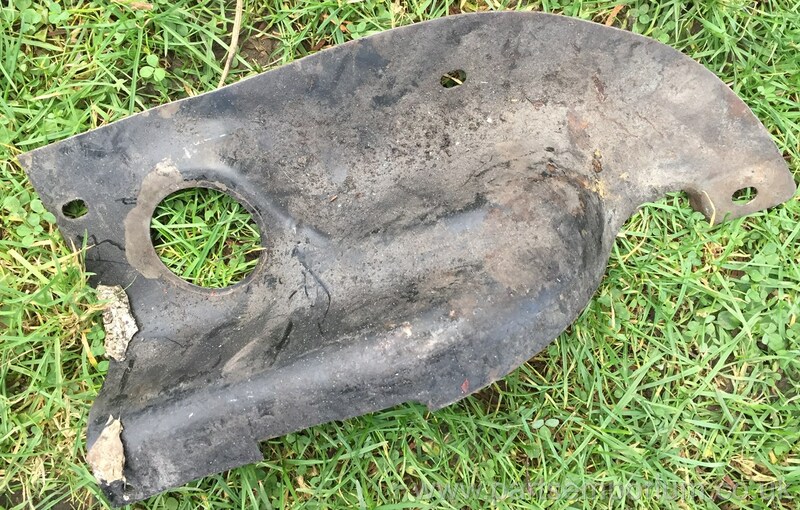 Huge Body Cut from late bay - I have cut this out for the rear shelf area - £199 the lot. 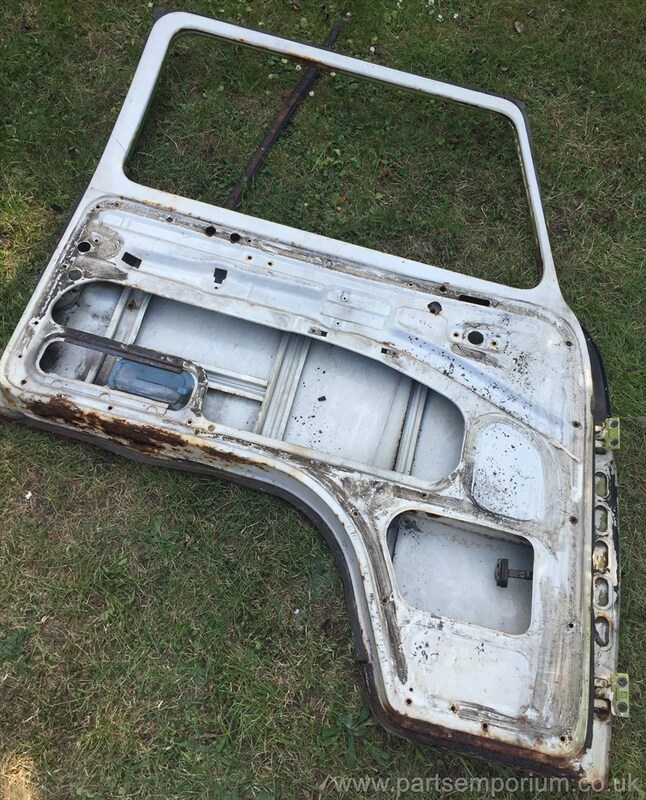 Bay window Dashboard Padded top edge / grab handle - Has been "Flocked" which is damaged - £40 Collection only. 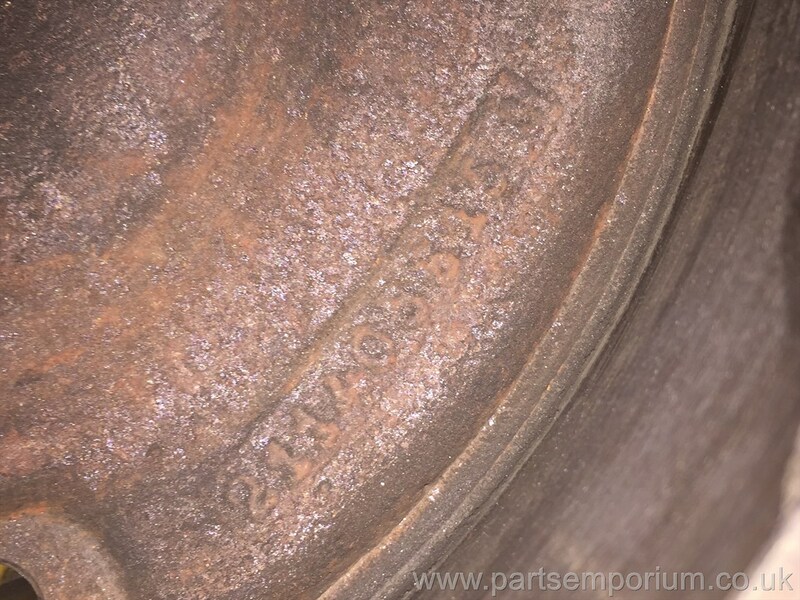 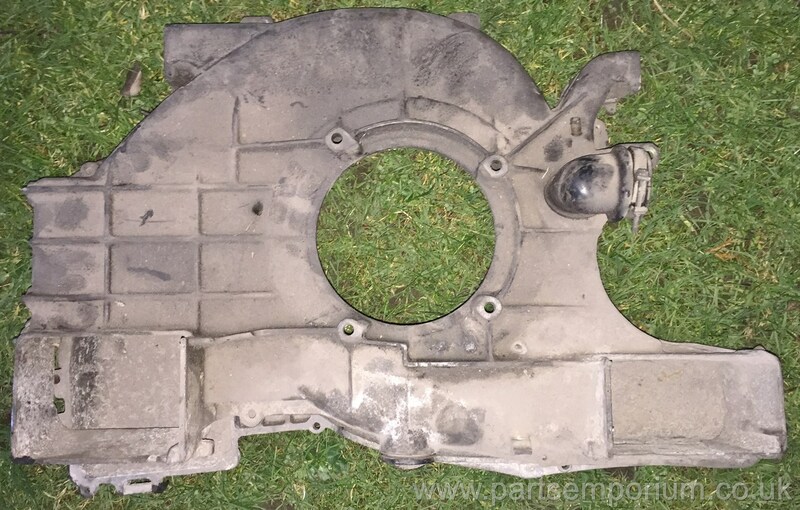 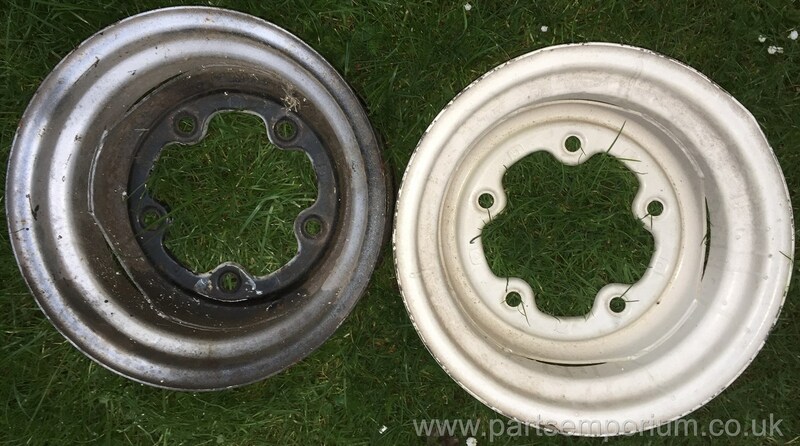 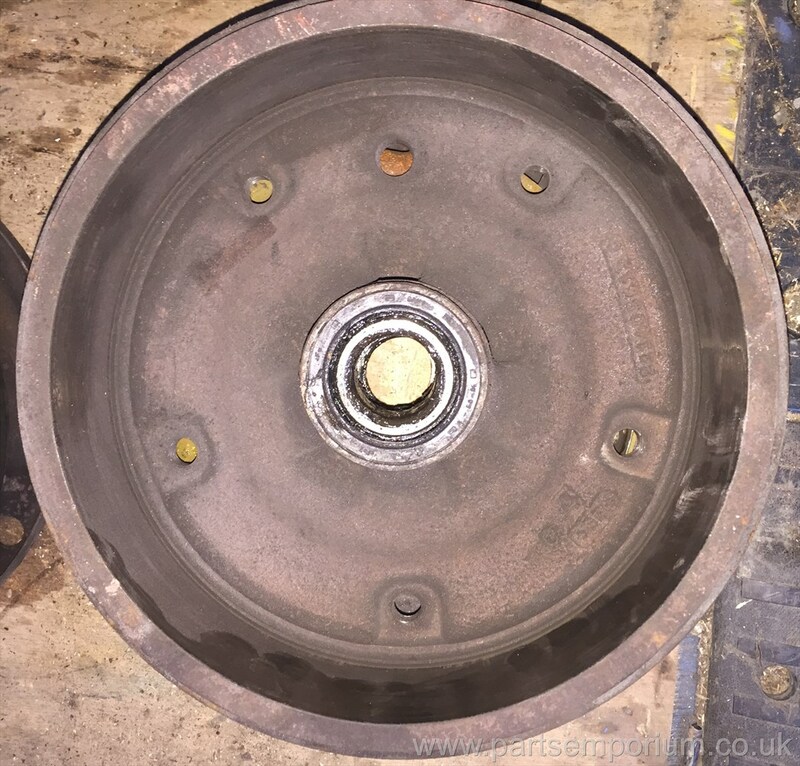 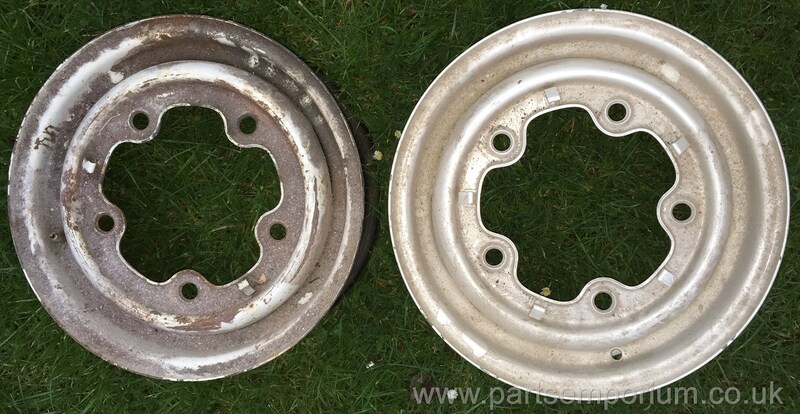 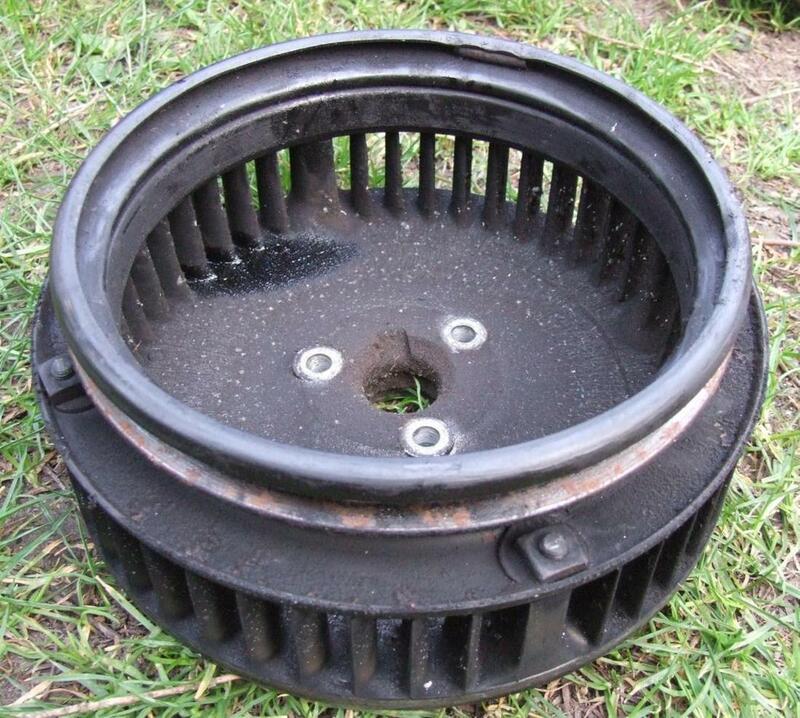 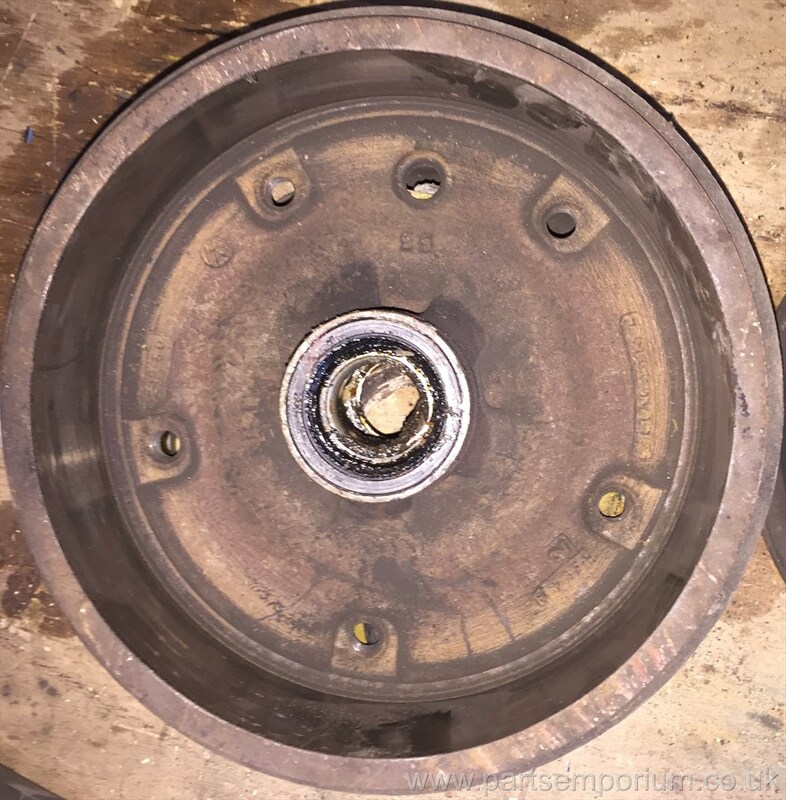 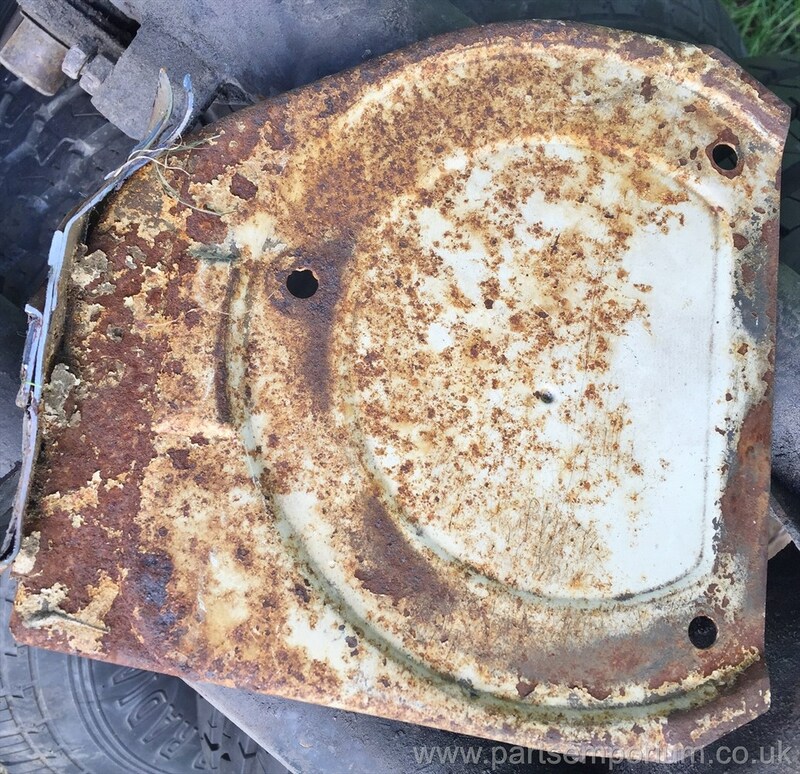 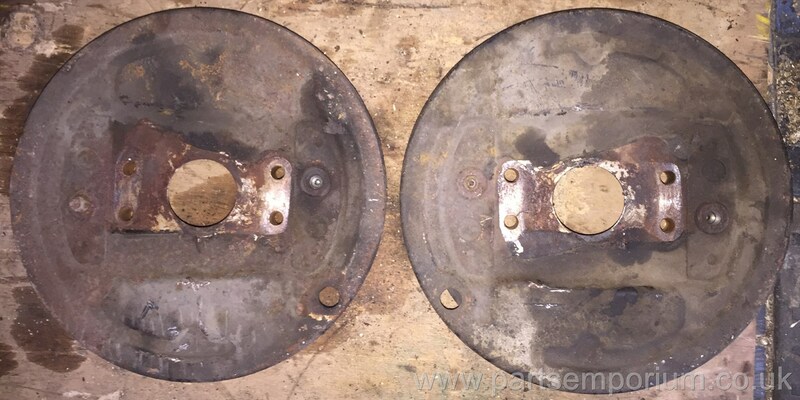 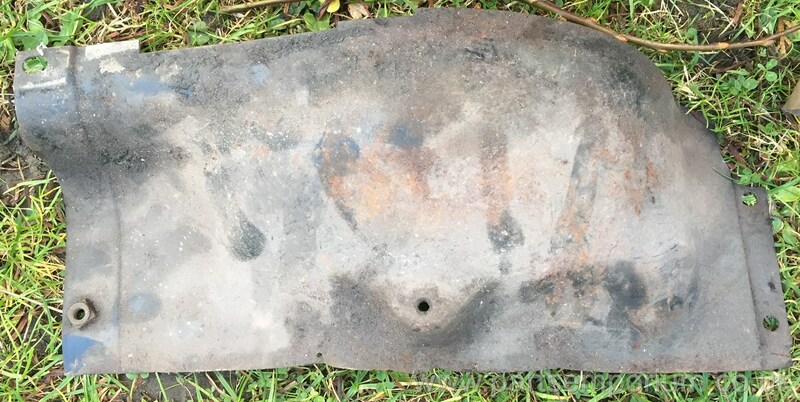 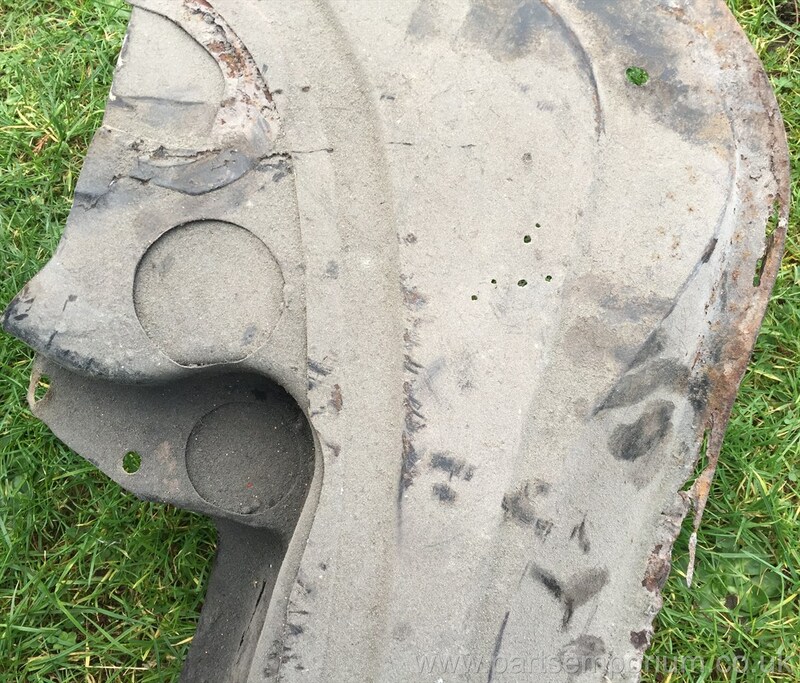 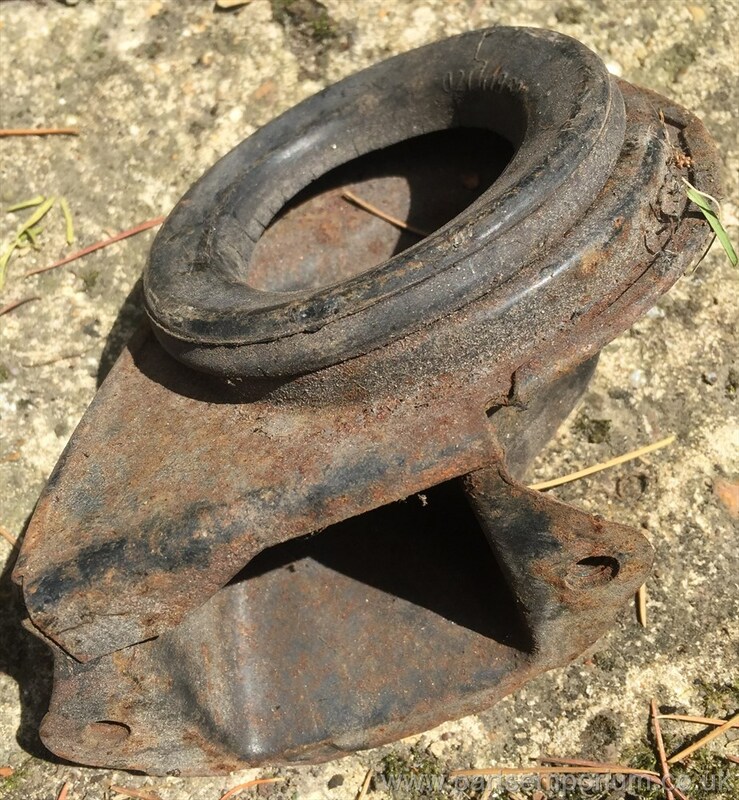 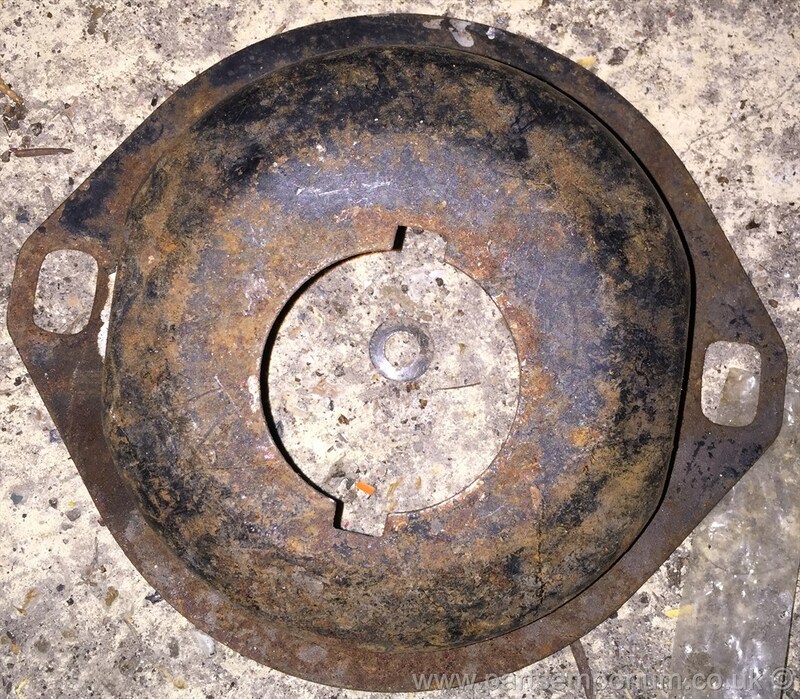 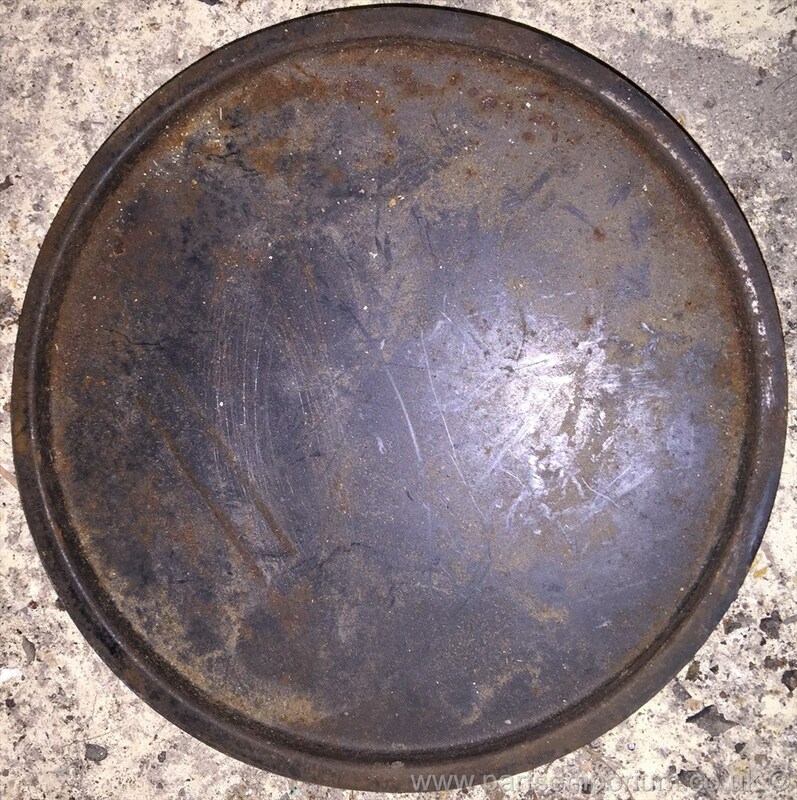 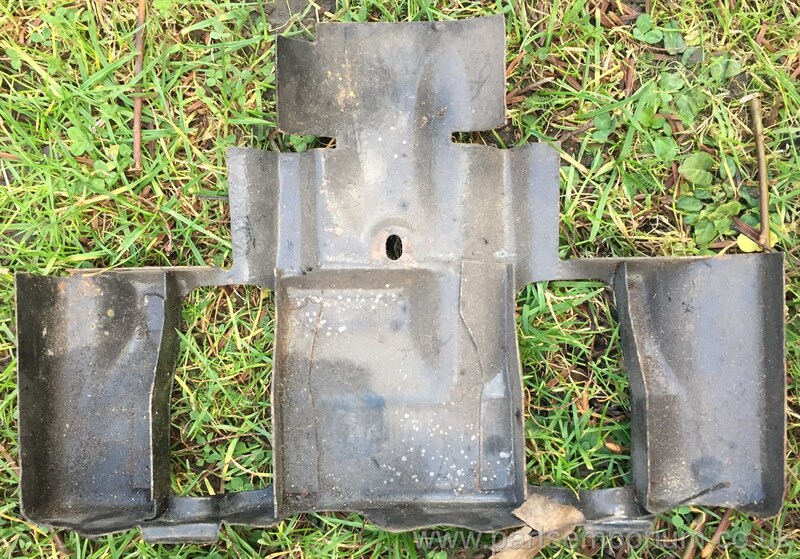 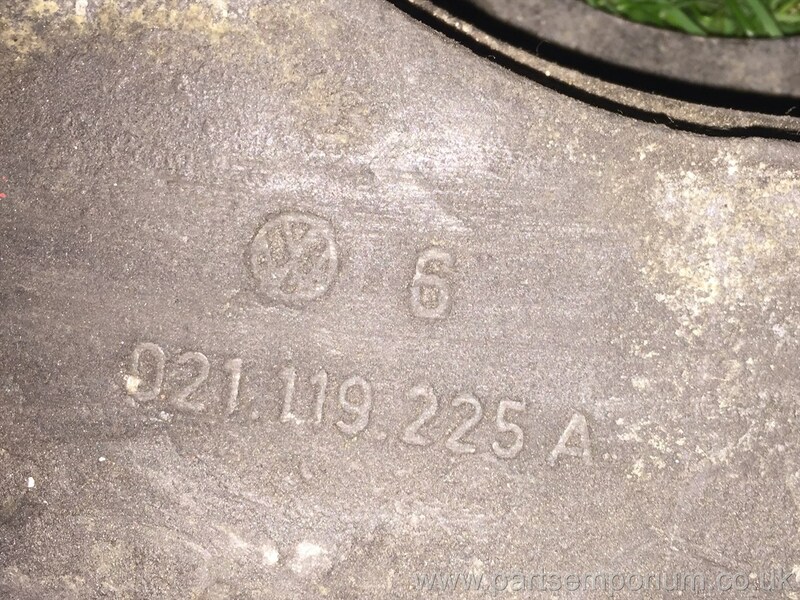 Brake Drums Pair, Front T2 Bay window 68-70 211405615C with backing plates - Brake Cylinder / shoe parts will be removed for safety reasons - £80 pair. 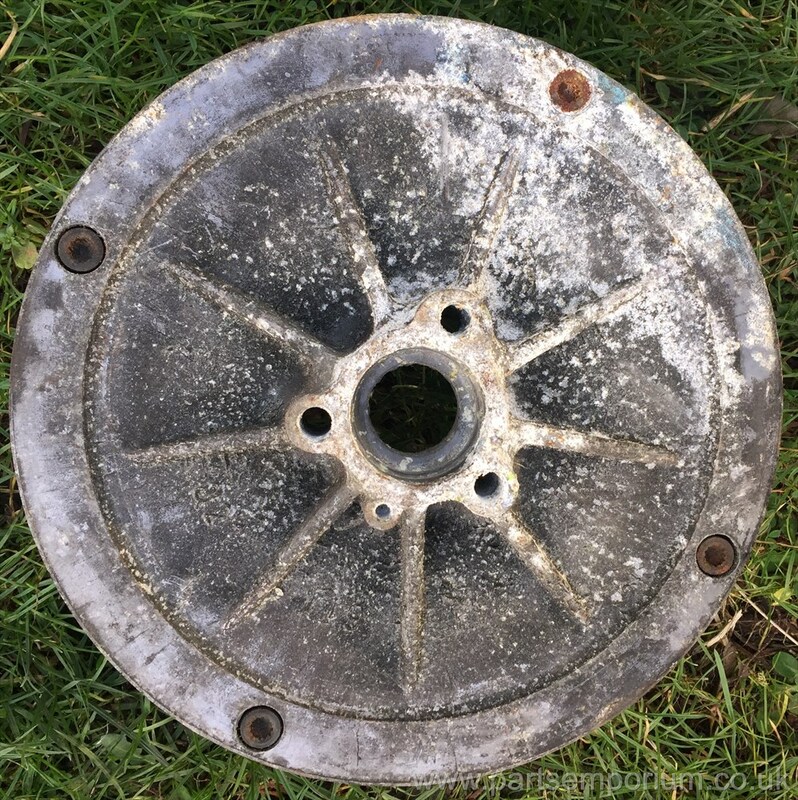 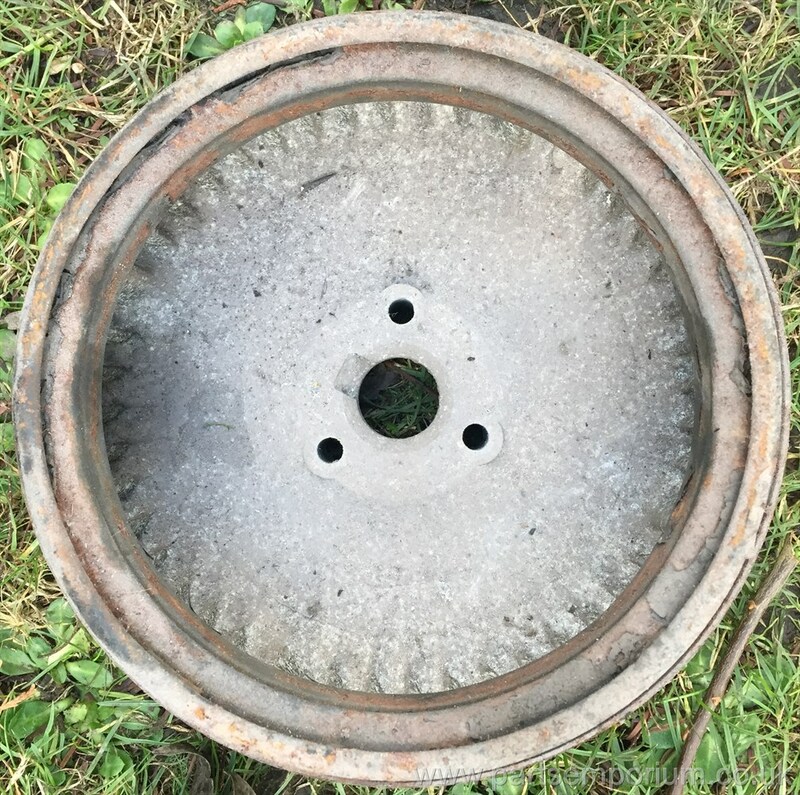 Bare Bay window Wheels - Small 5 Stud -£20 each. 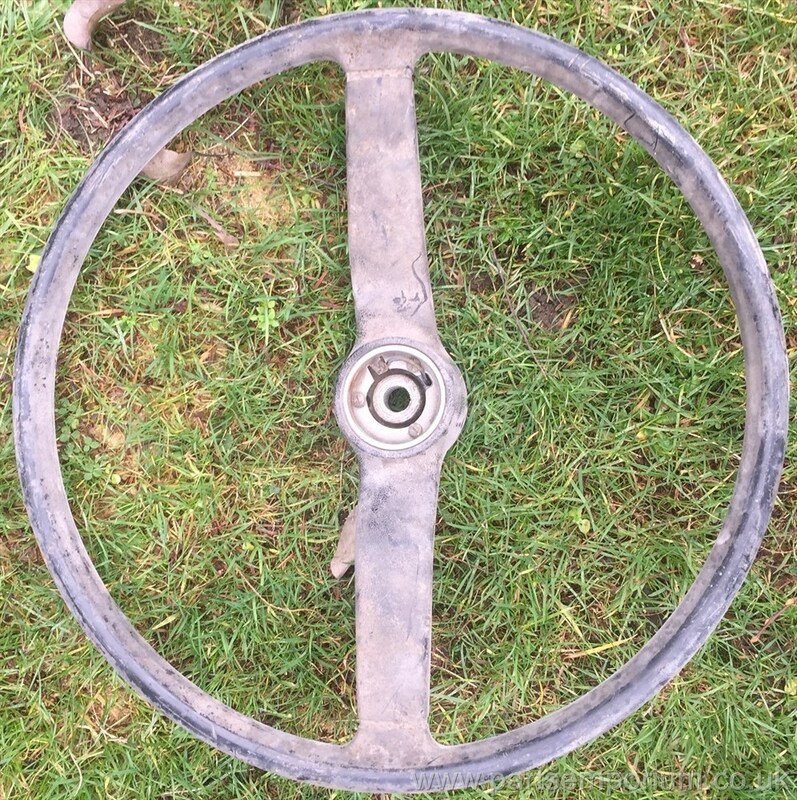 All in need of refurb - Some 1971 only wheels too. 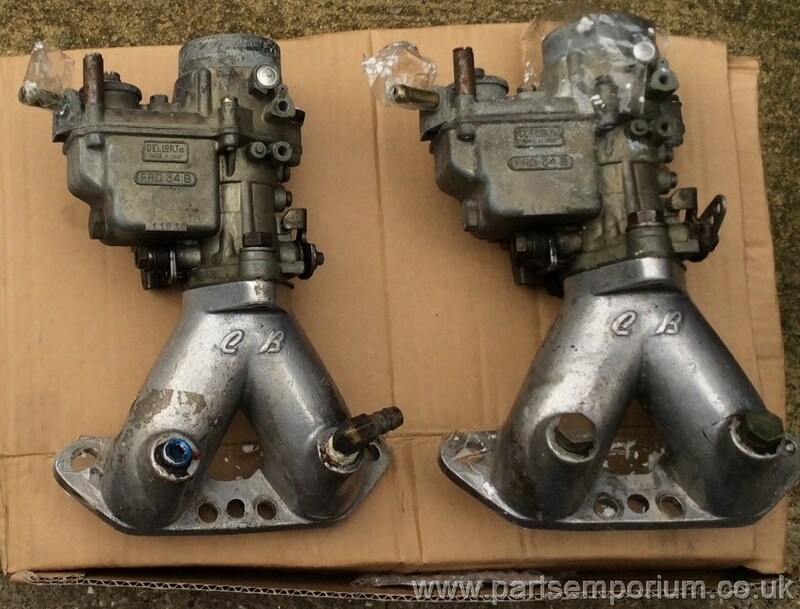 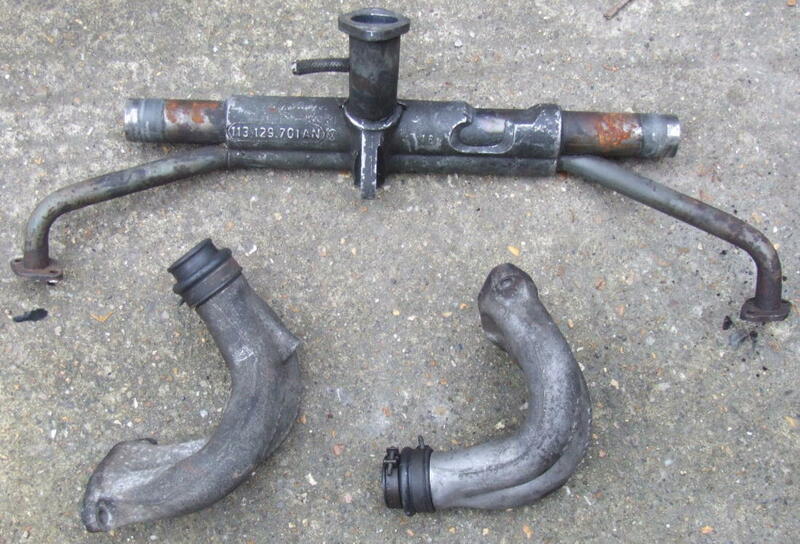 Pair Delorto FRD 34B Carbs, Baby Delorto with Type 4 CB manifolds - £139 - These belong to a friend from Hitchin. 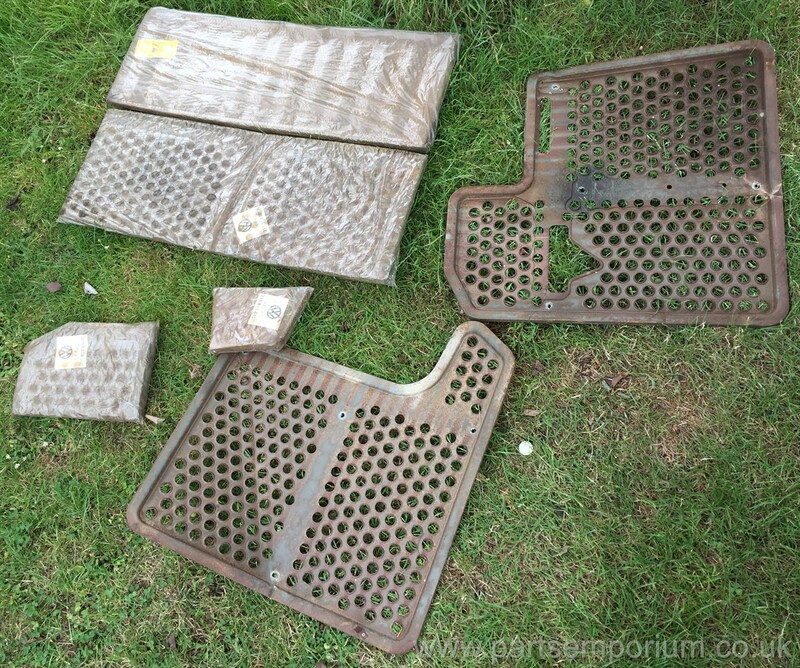 He purchased them but never used them - need refurb etc. 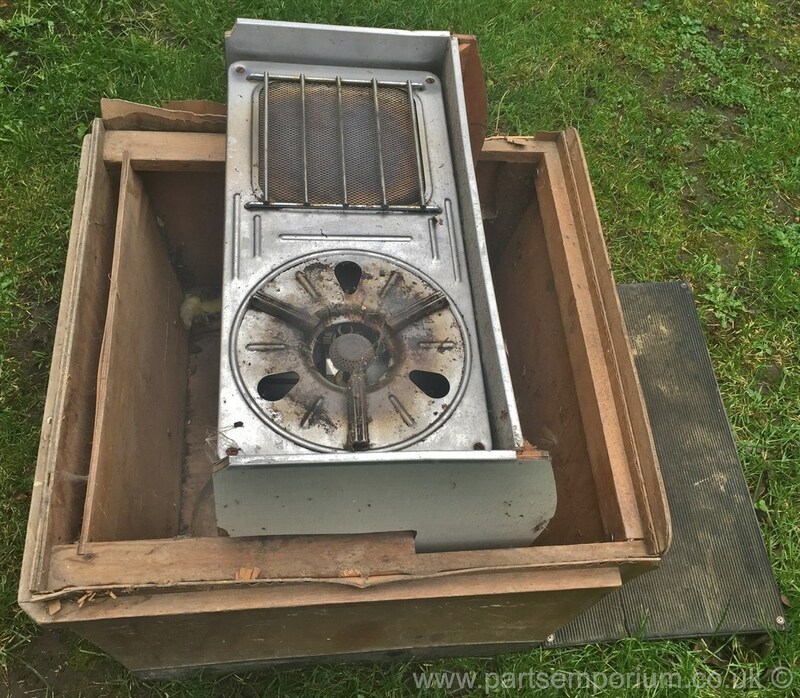 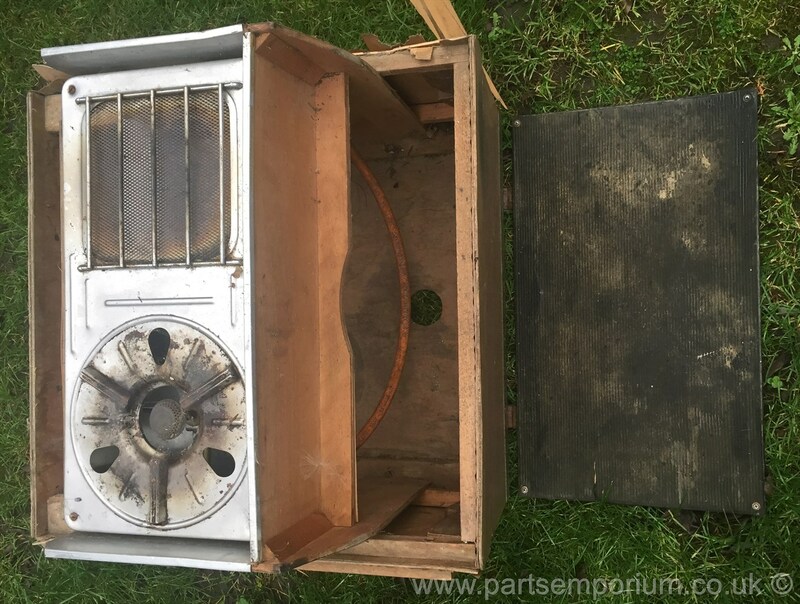 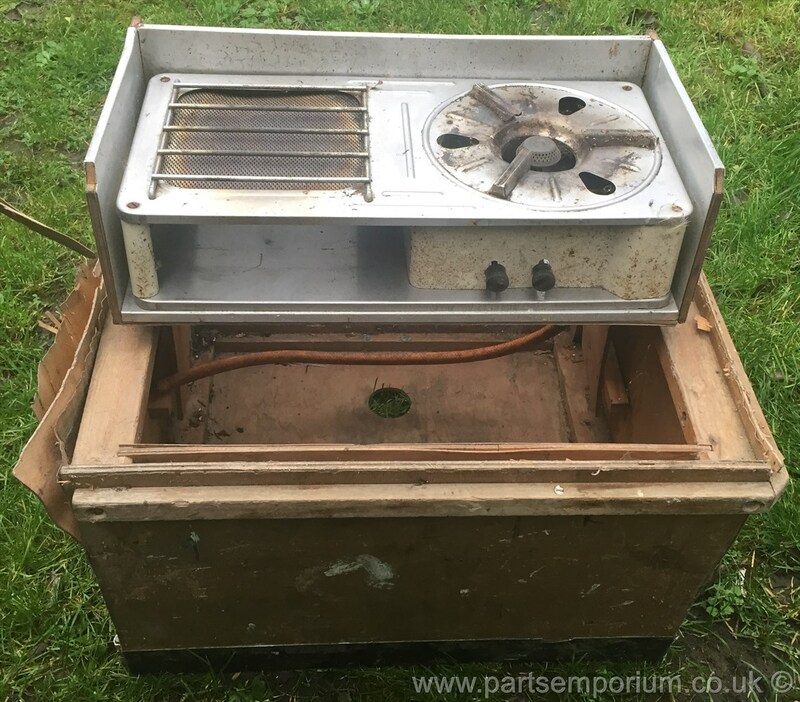 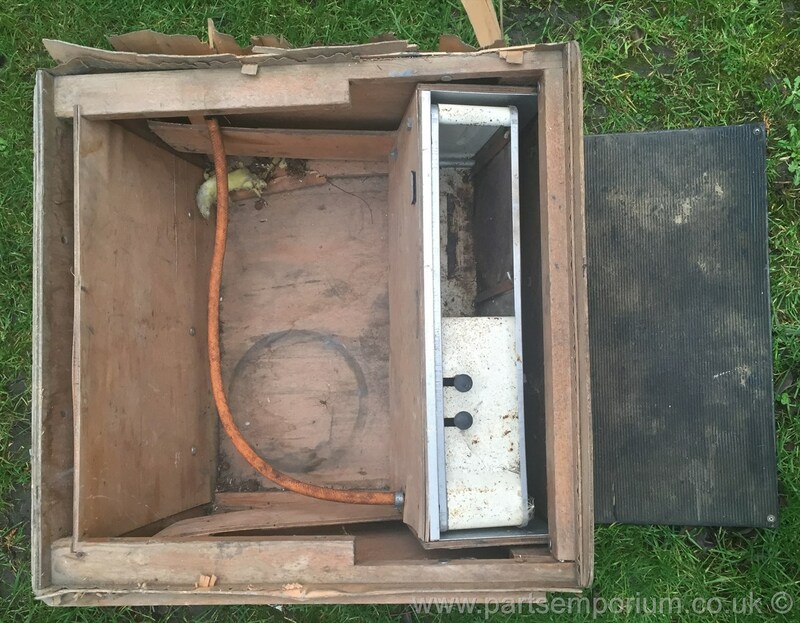 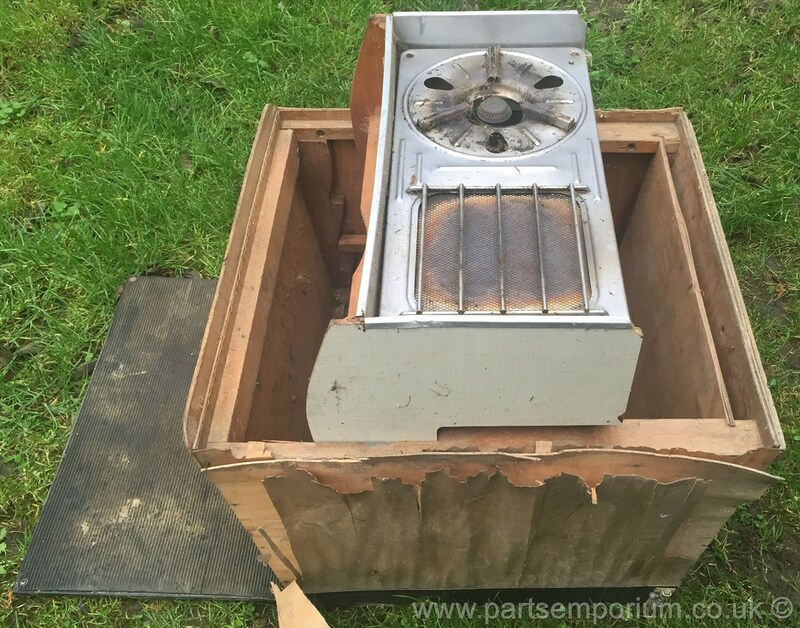 Danbury Cooker unit early bay - for restoration - £49 - Collection only. 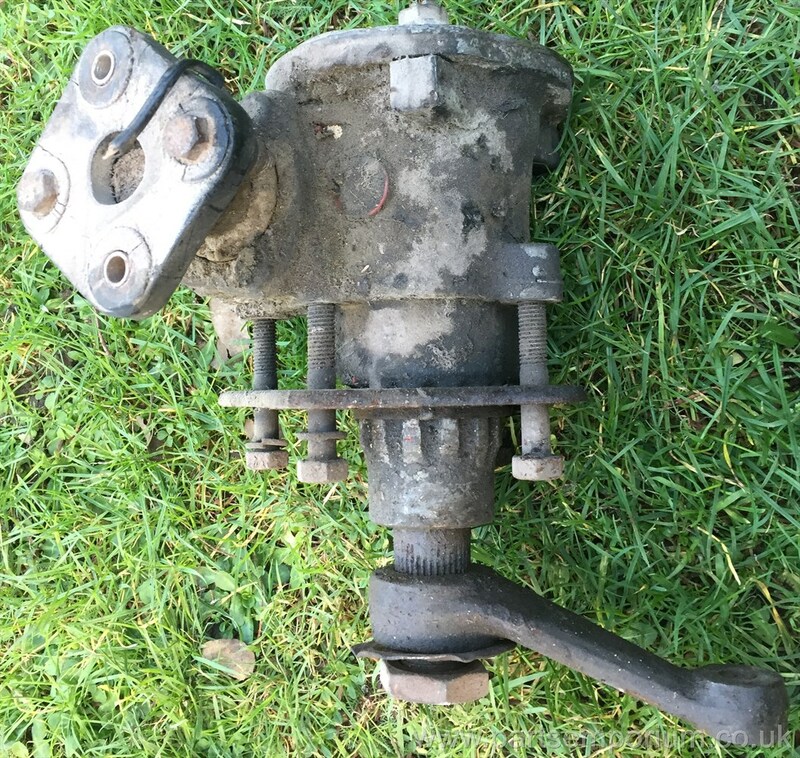 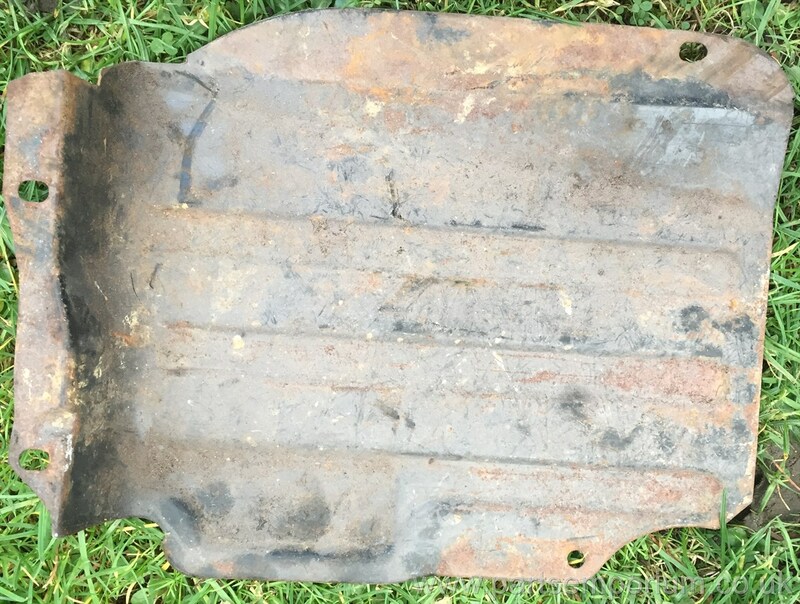 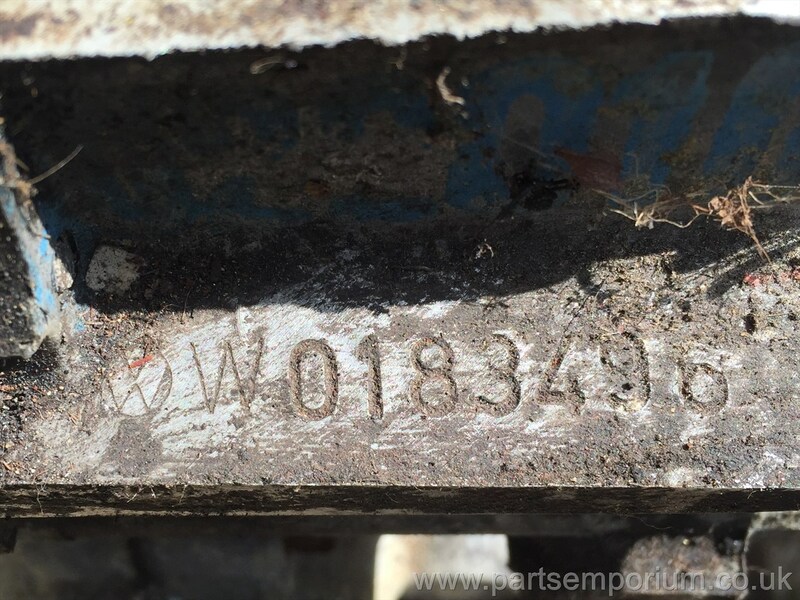 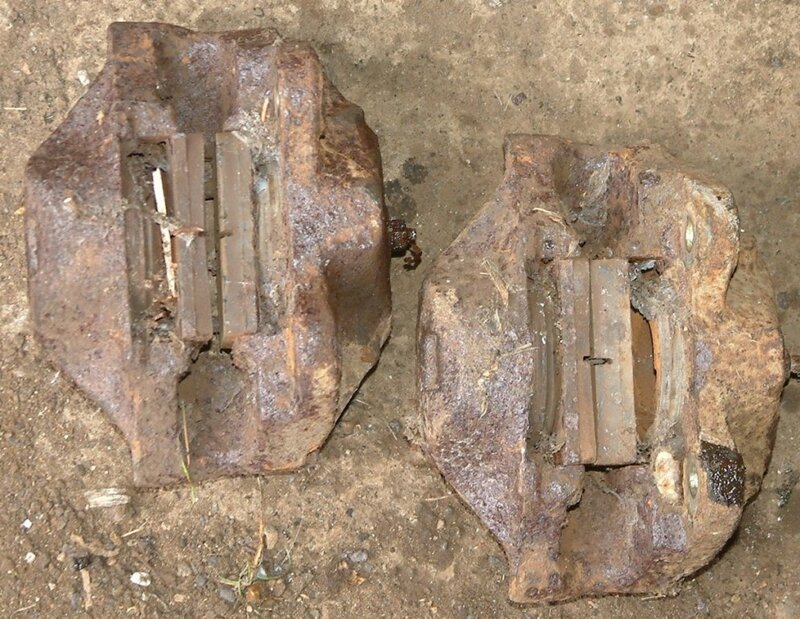 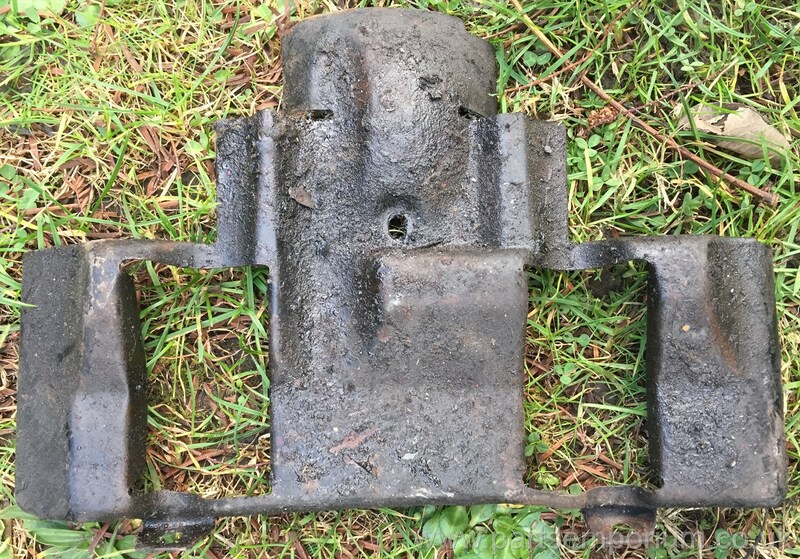 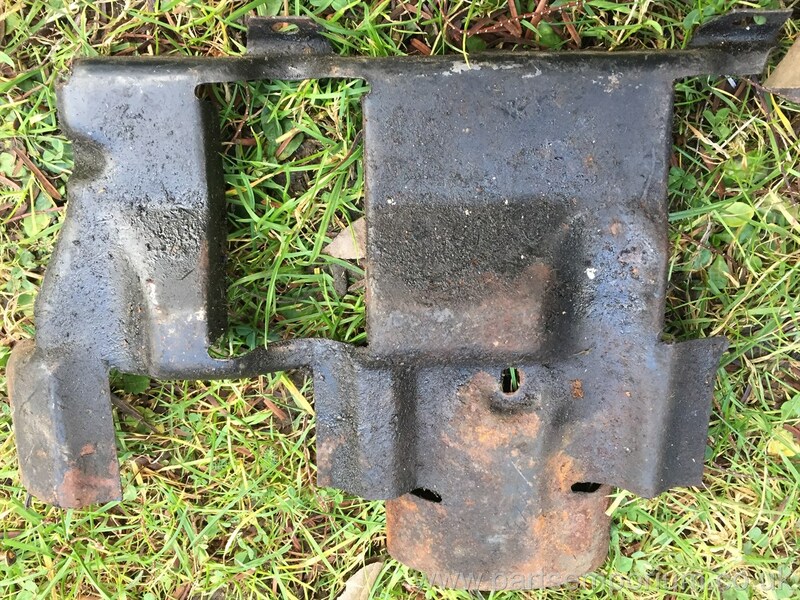 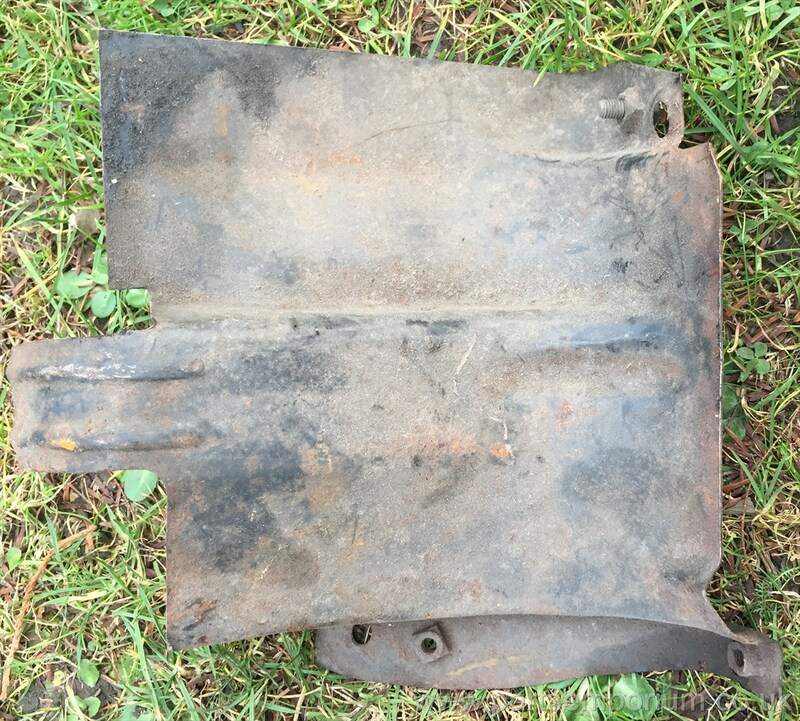 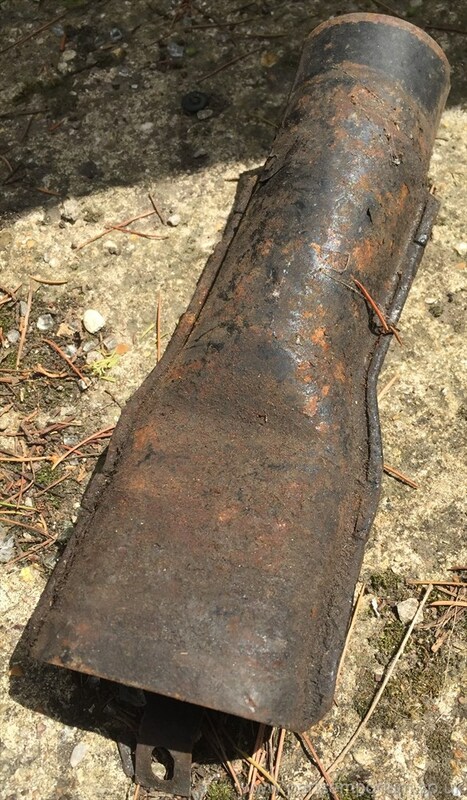 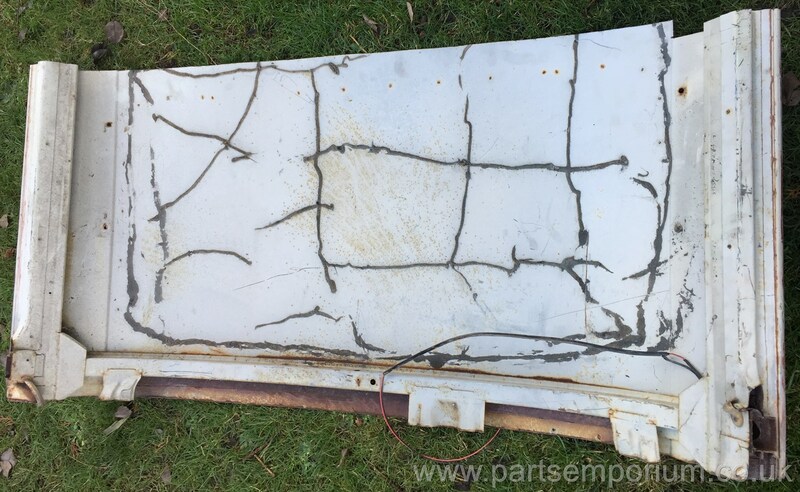 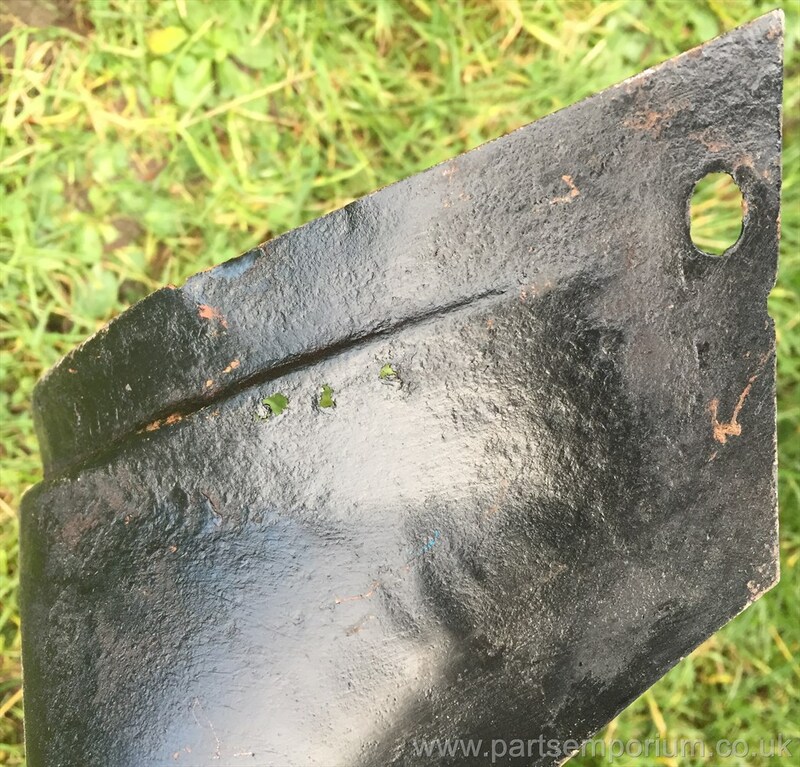 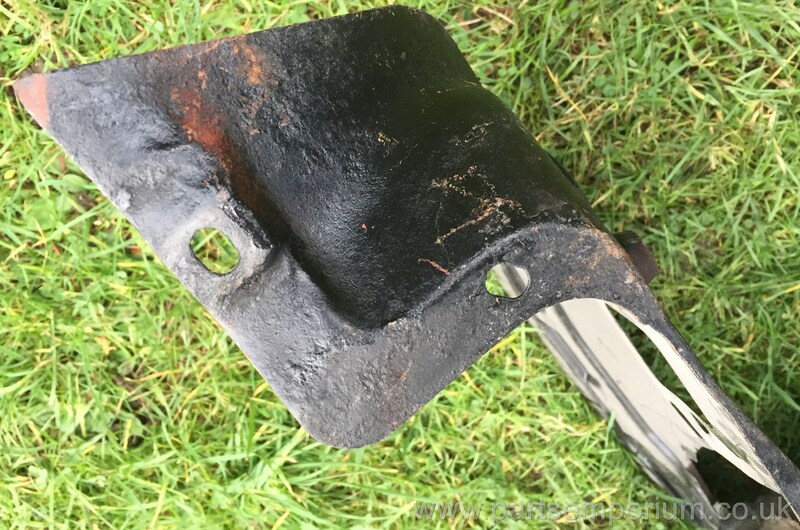 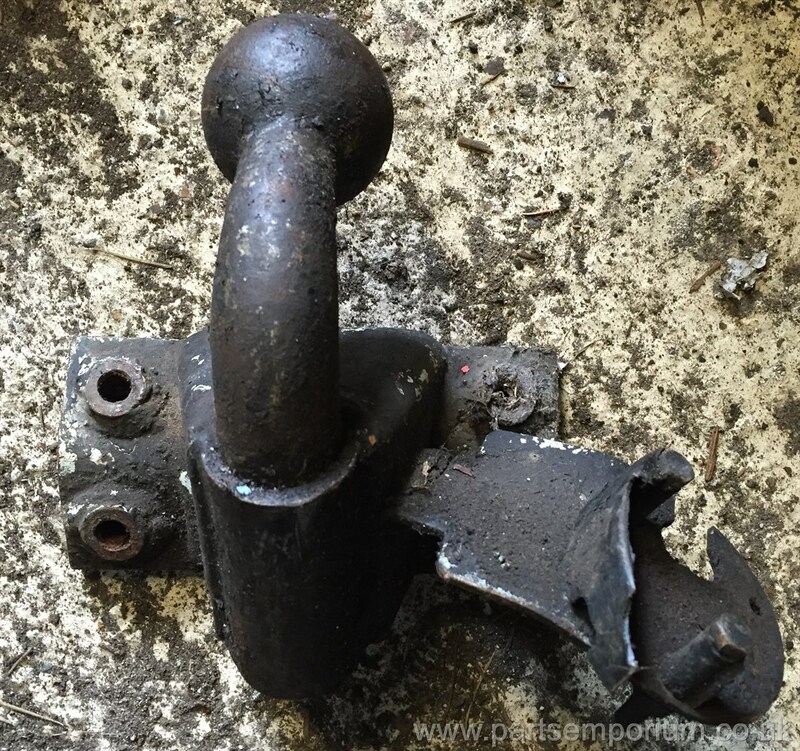 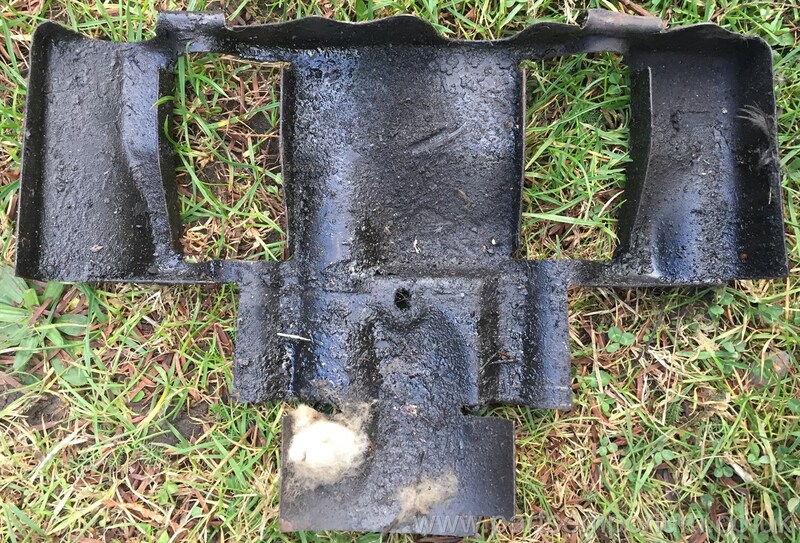 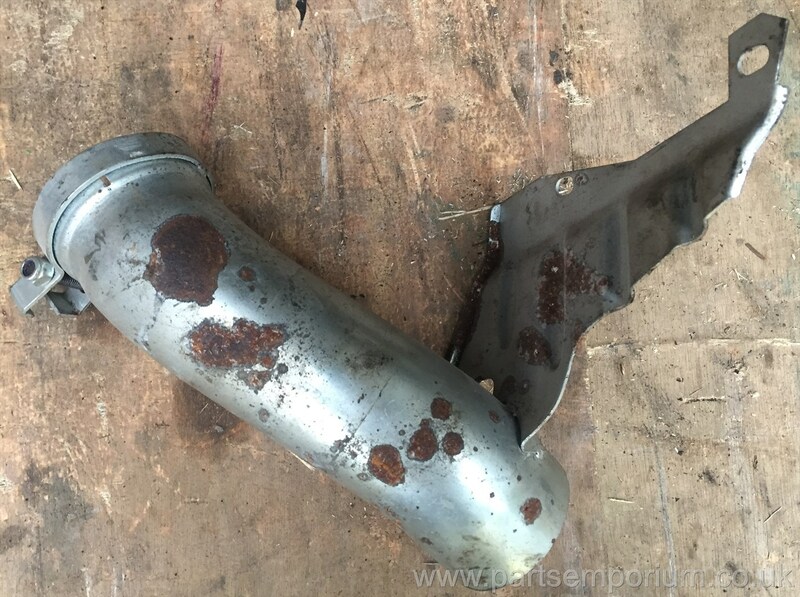 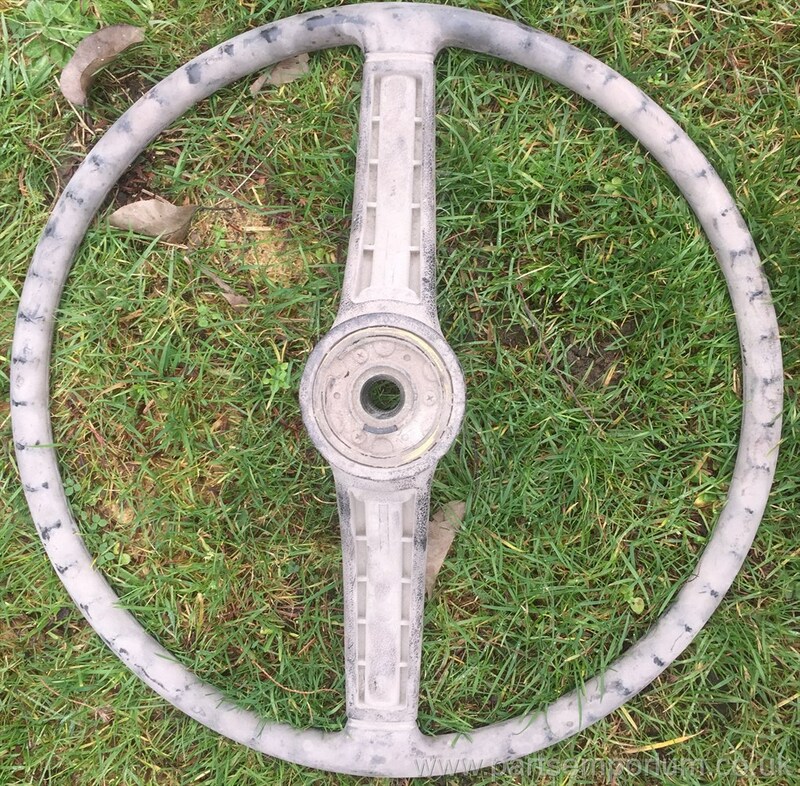 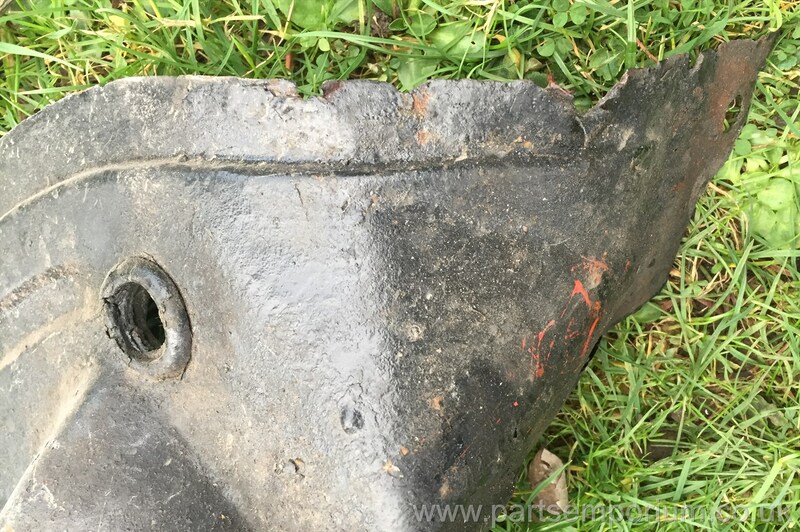 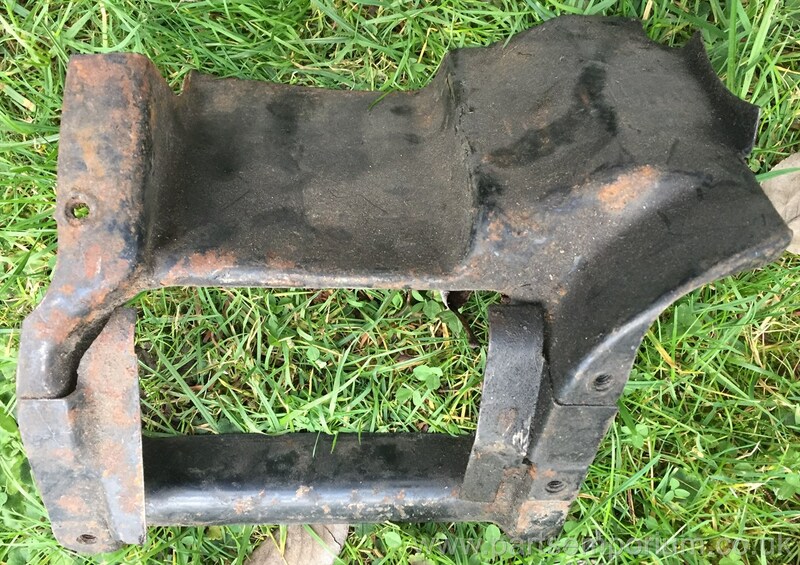 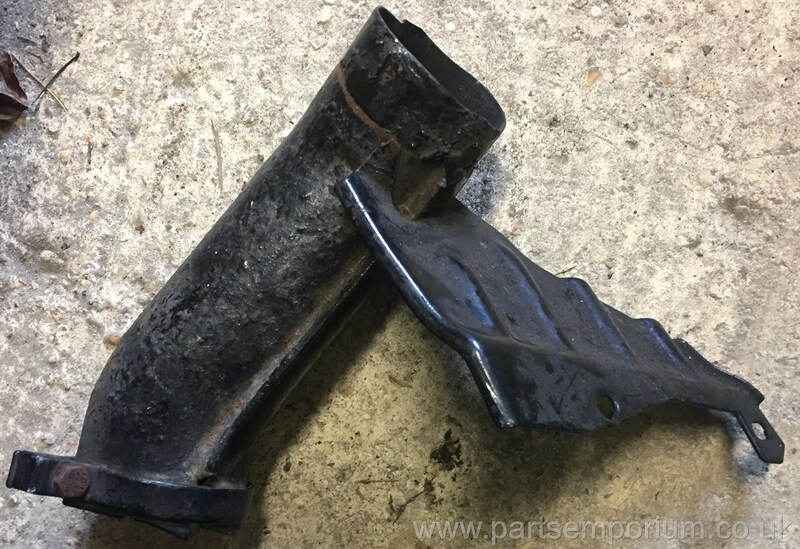 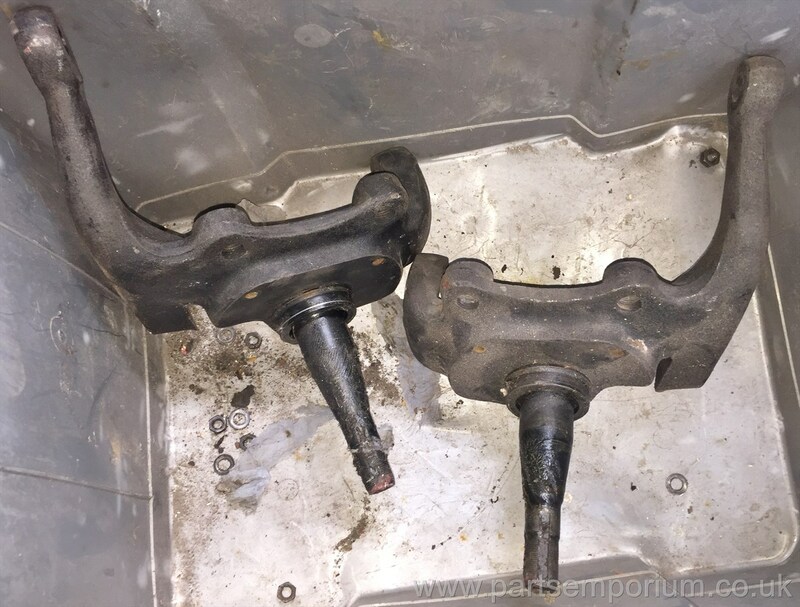 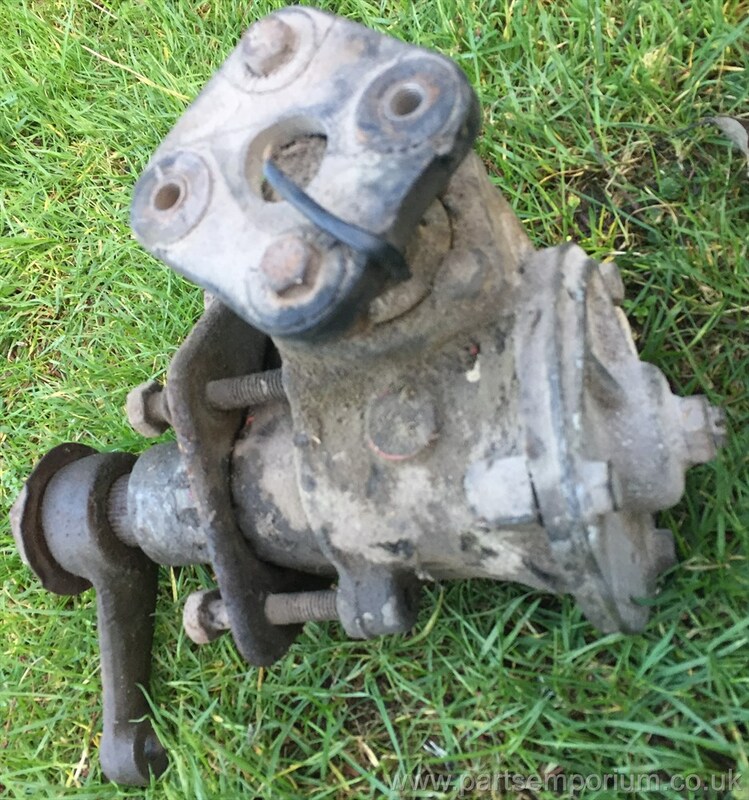 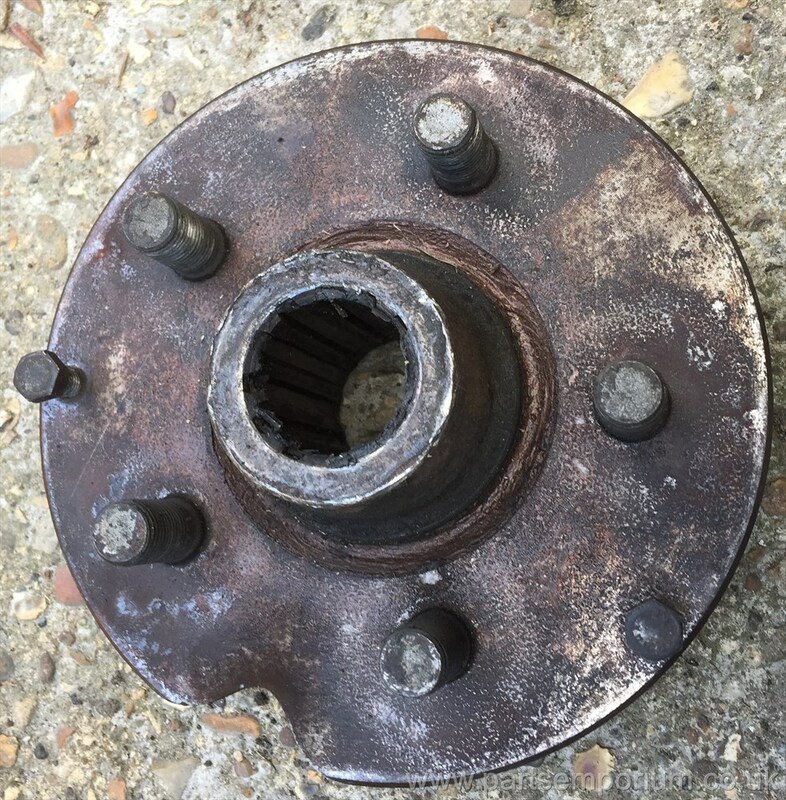 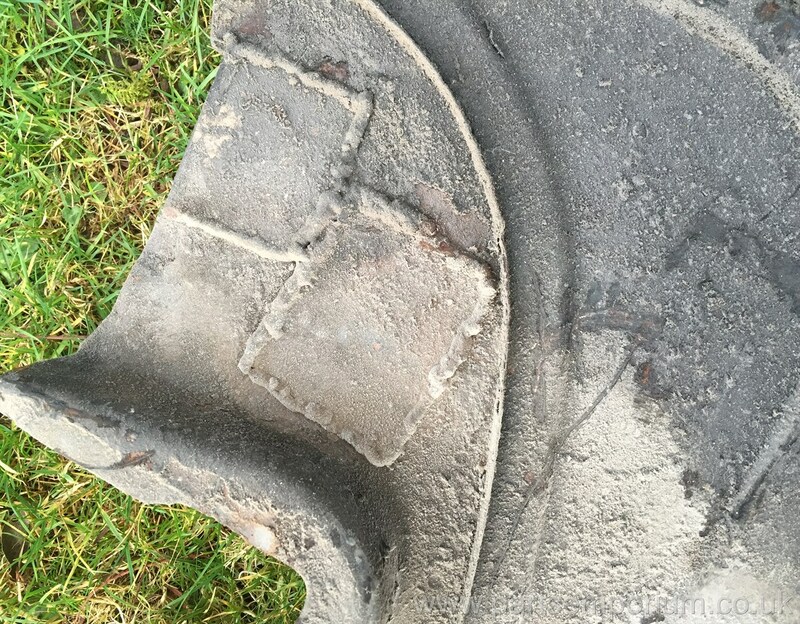 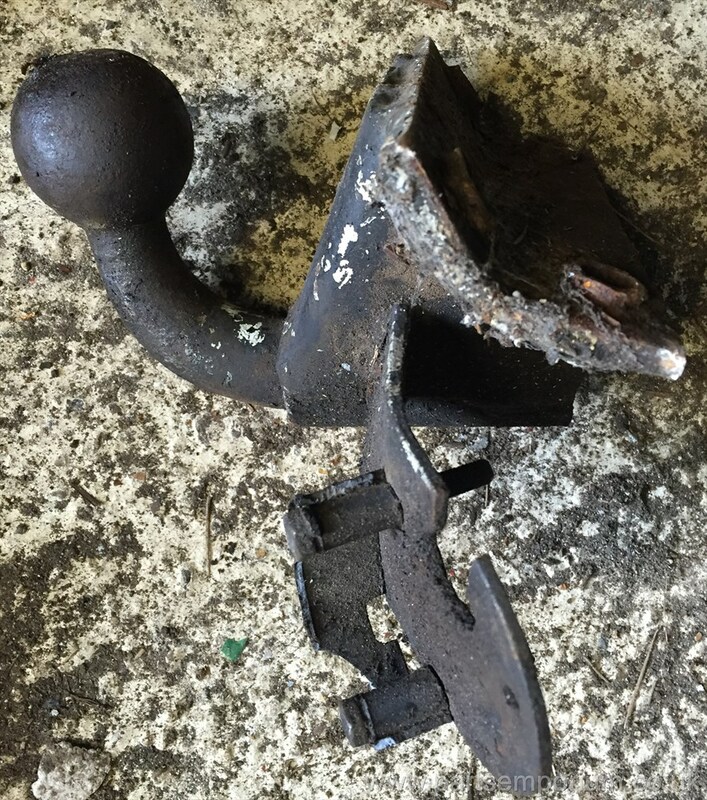 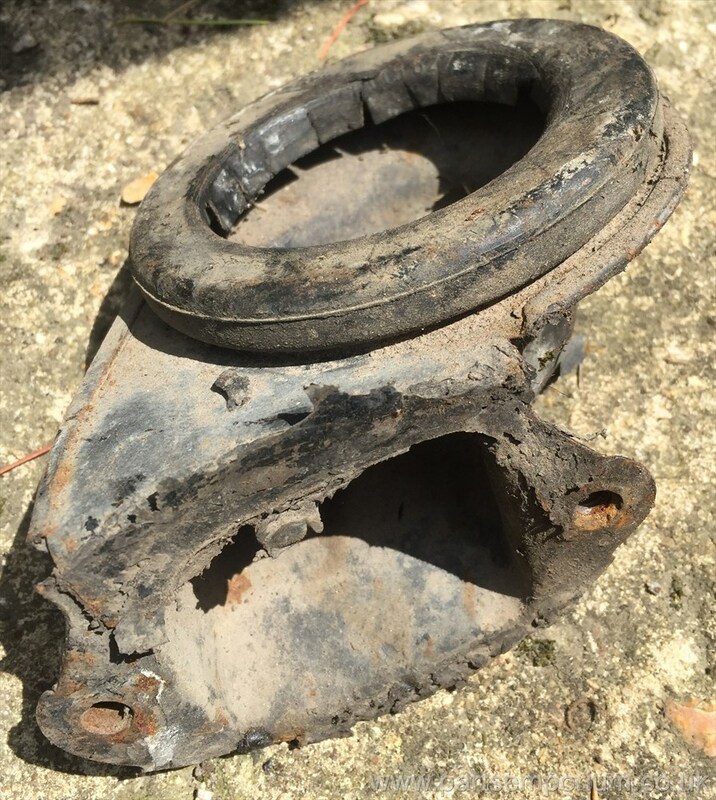 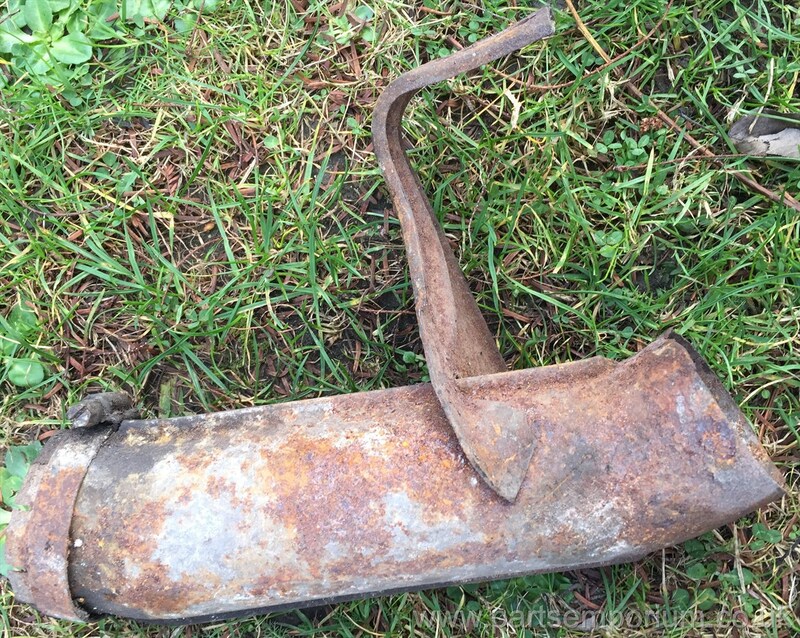 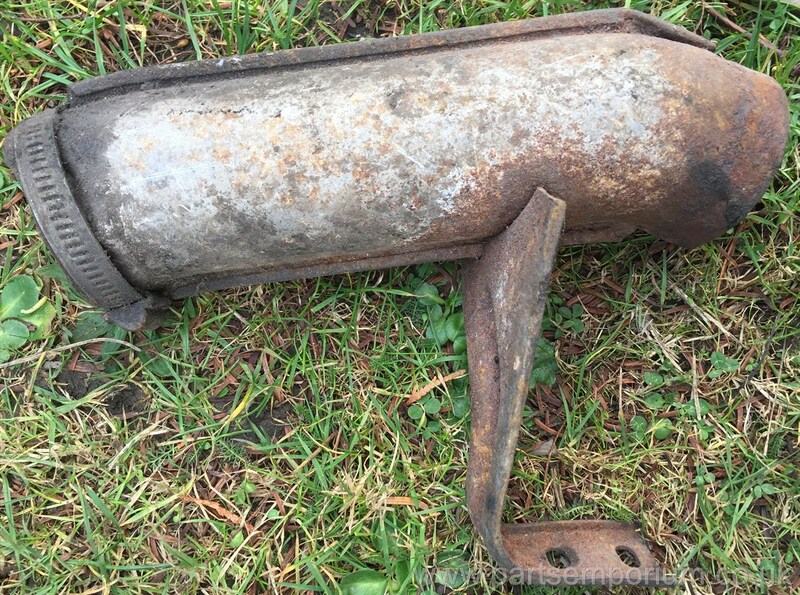 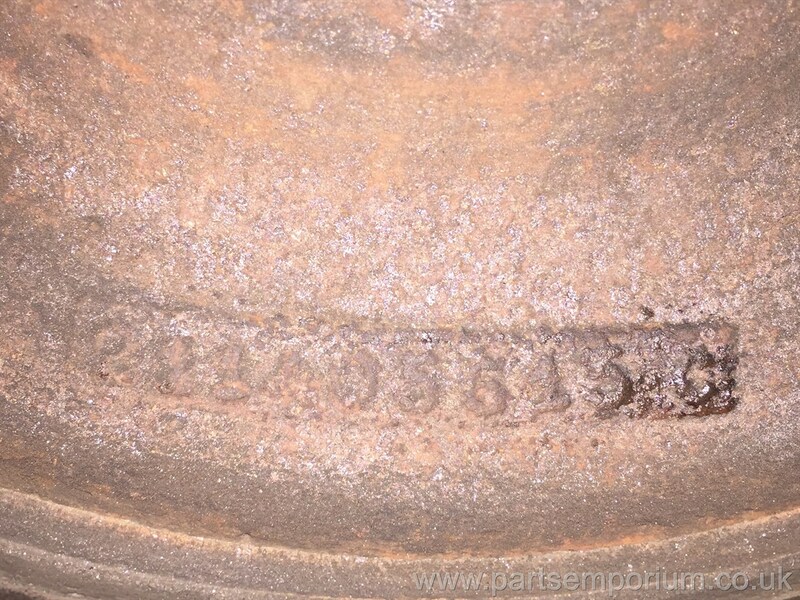 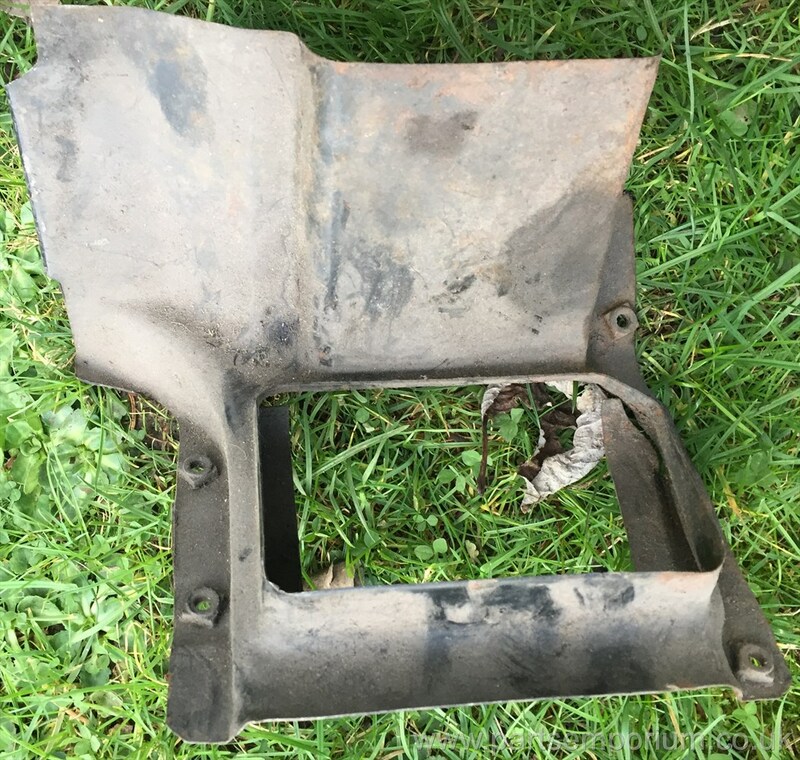 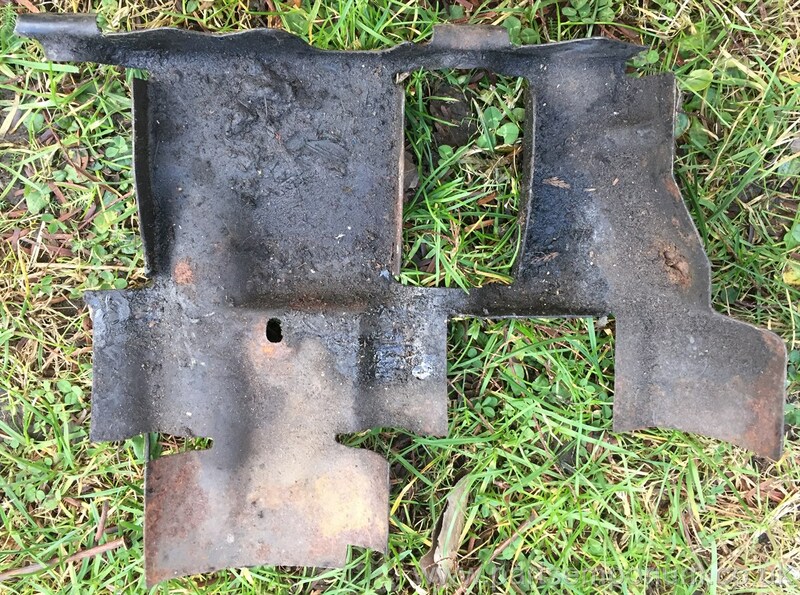 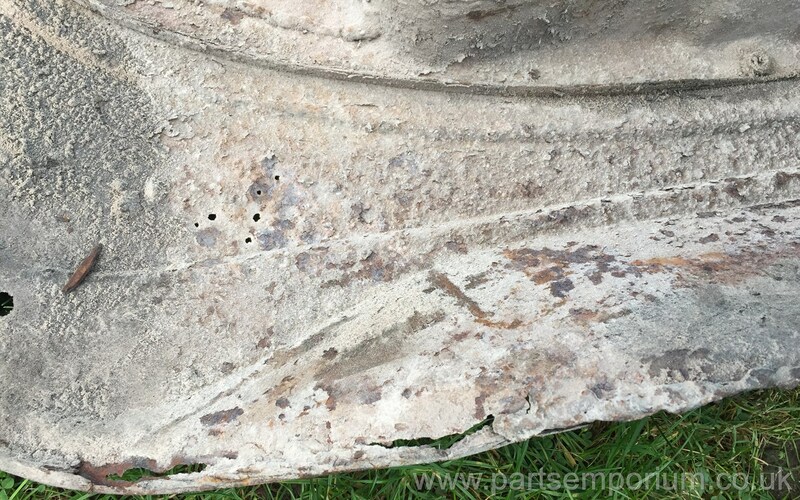 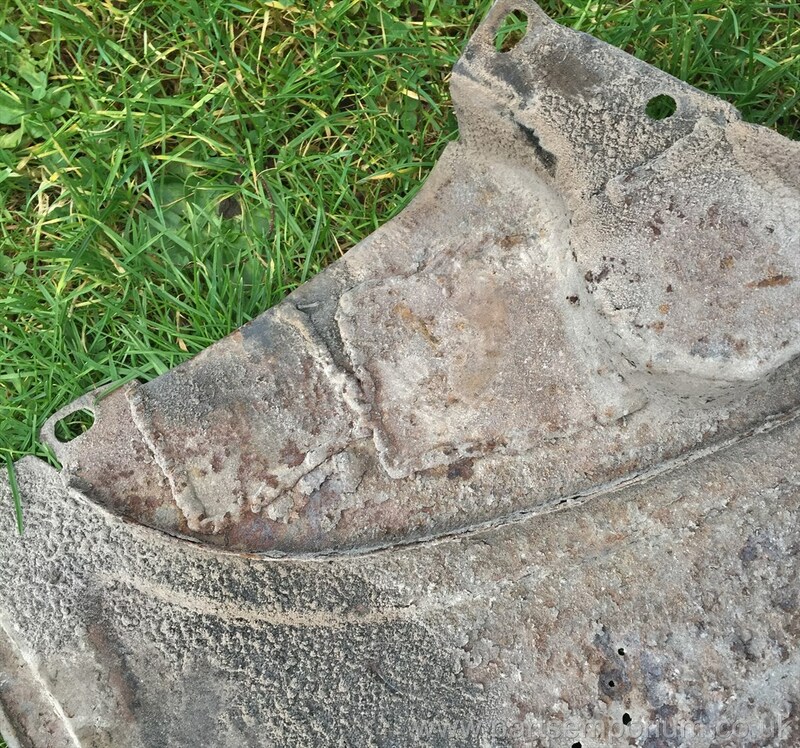 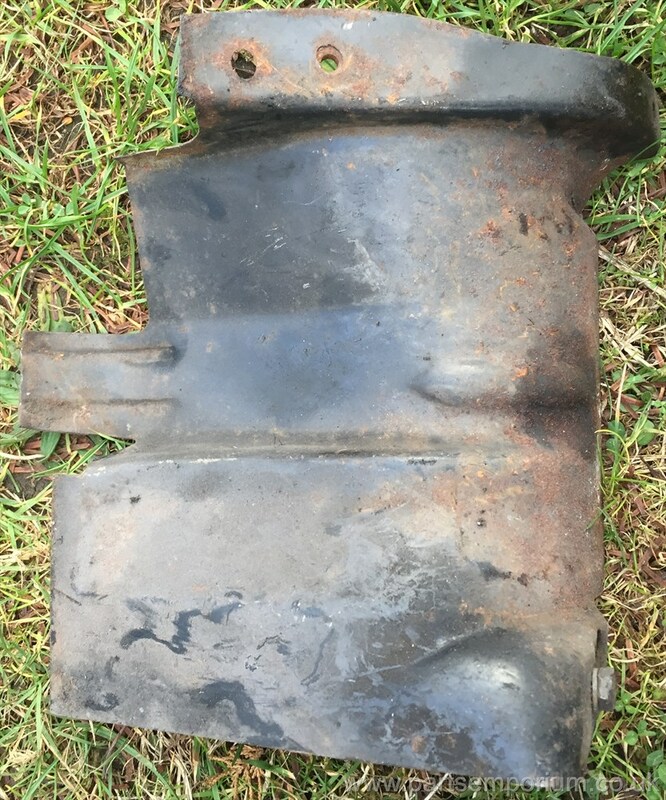 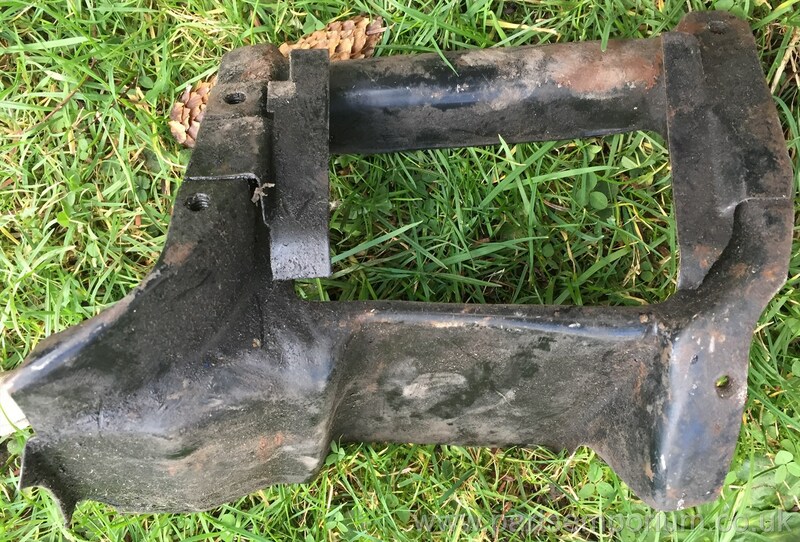 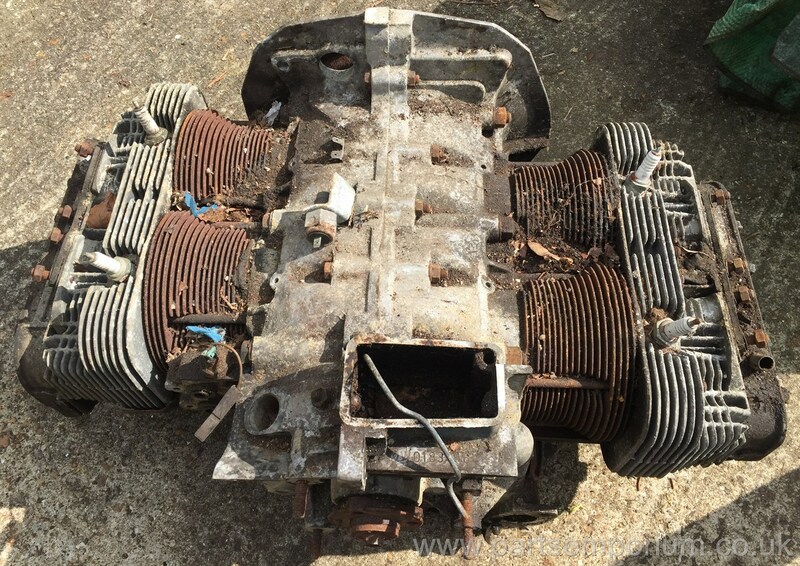 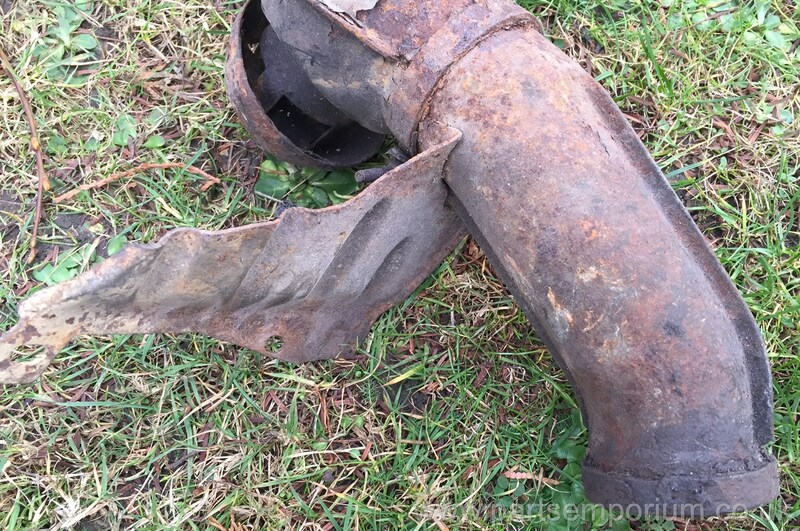 Pair Late bay Stub axles - Late Bay Bus camper van front disc stub axles - BARE - No brake parts - 1972 onwards type - £149 the pair - Will not come with any brake parts - they have been stripped bare. 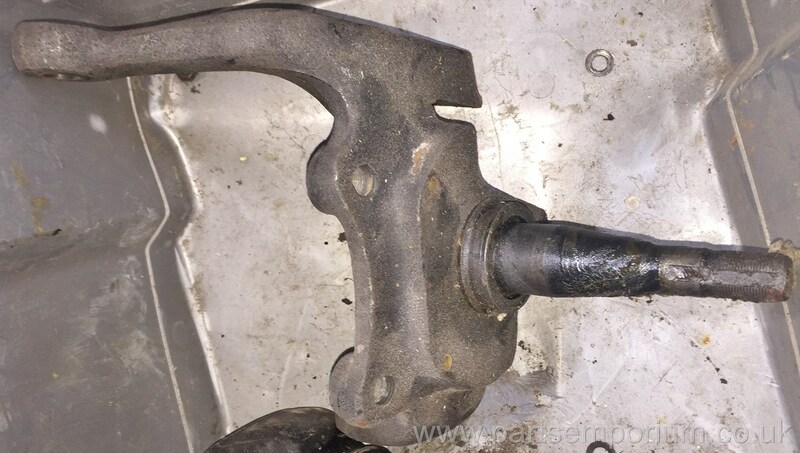 The Thread on the Near side is a little tight - Thread looks OK, no swarf and the nut runs up and down ok with a spanner. 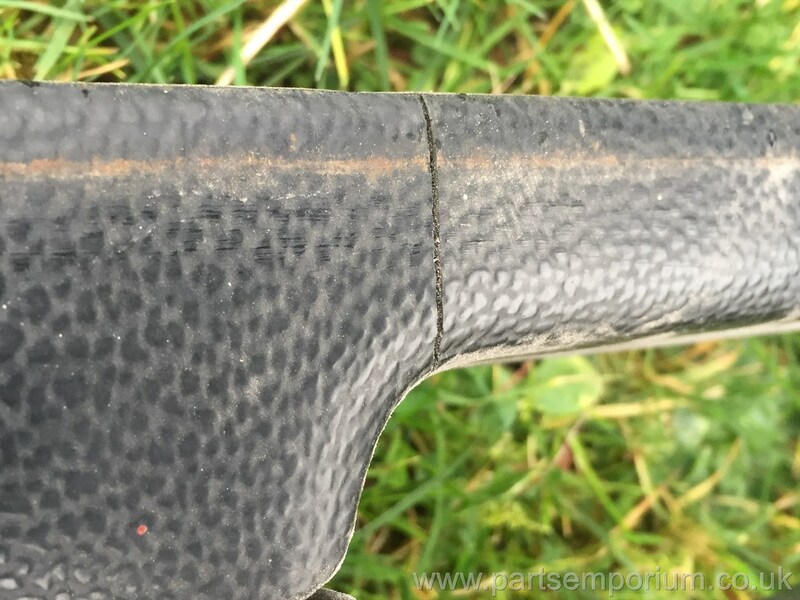 But it is not finger tight like the other side - Come take a look and see what you think. 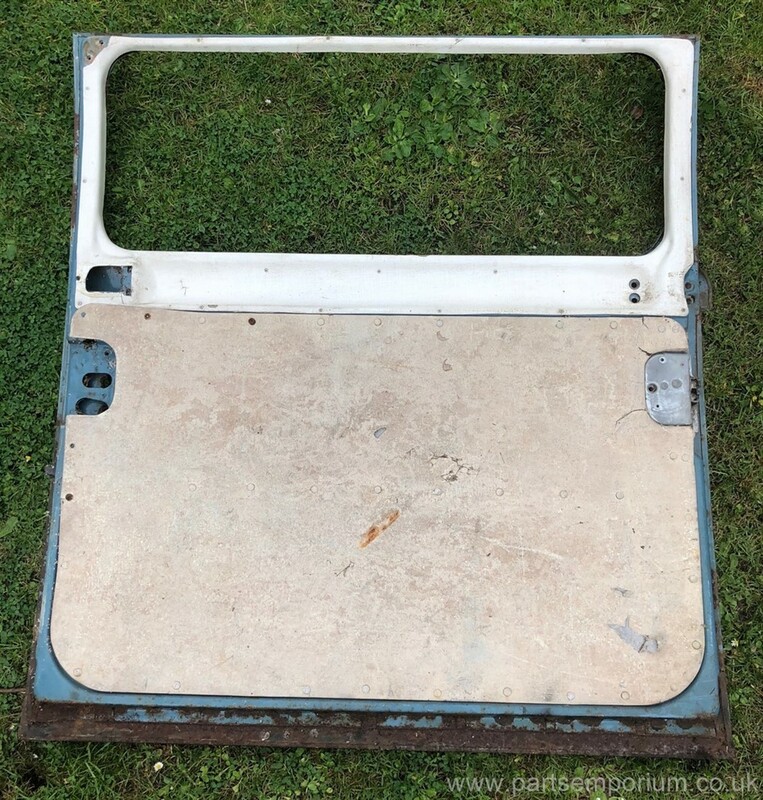 Bay Window Early RHD Siding Door (Key in Handle) it is solid having been repaired previously - it is not a nice repair and there is lots of filler - but it will fill a hole - £299 - door is in Oxfordshire - also some filler in window reveal - Advertised for a Customer. 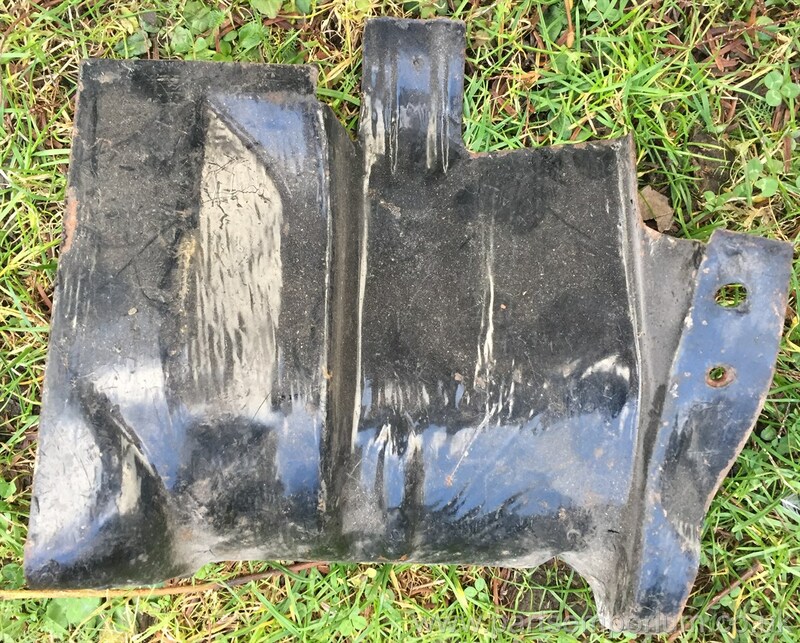 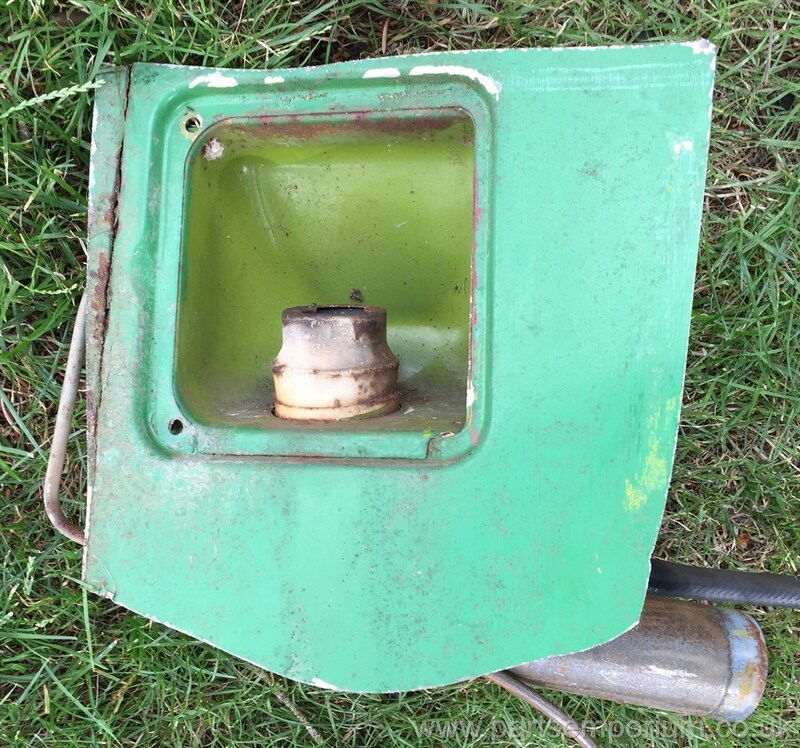 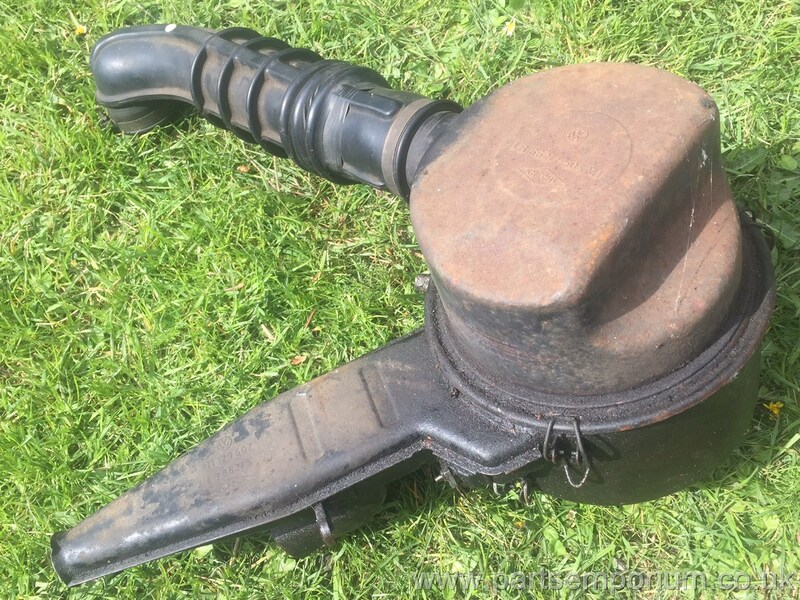 Bay Fuel Tank - Early Style sender - £139 - Had fuel in it when it arrived and wasn't leaking! 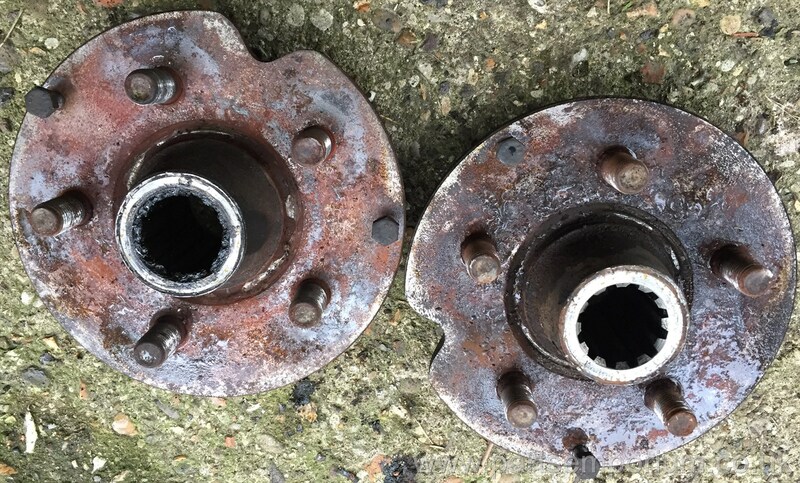 Seized - Late bay Brake Calliper Cores for professional Rebuild / Exchange against your new ones - £30 a pair. 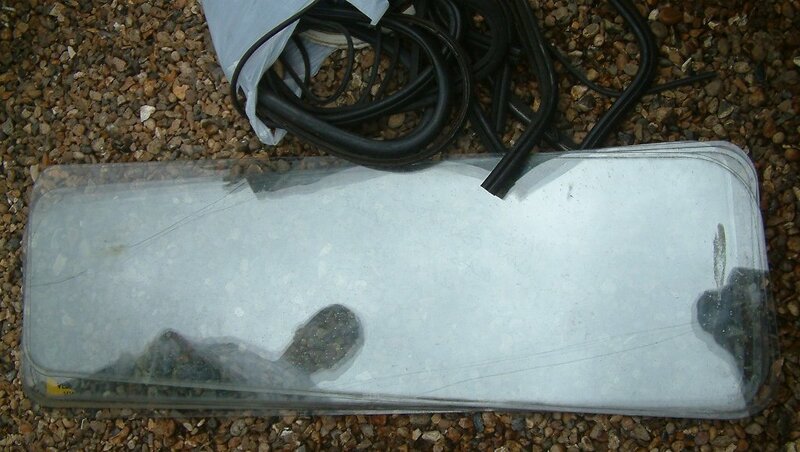 RHD Headlight lense for upright headlights - Convert from LHD - £15 each or £25 pair. 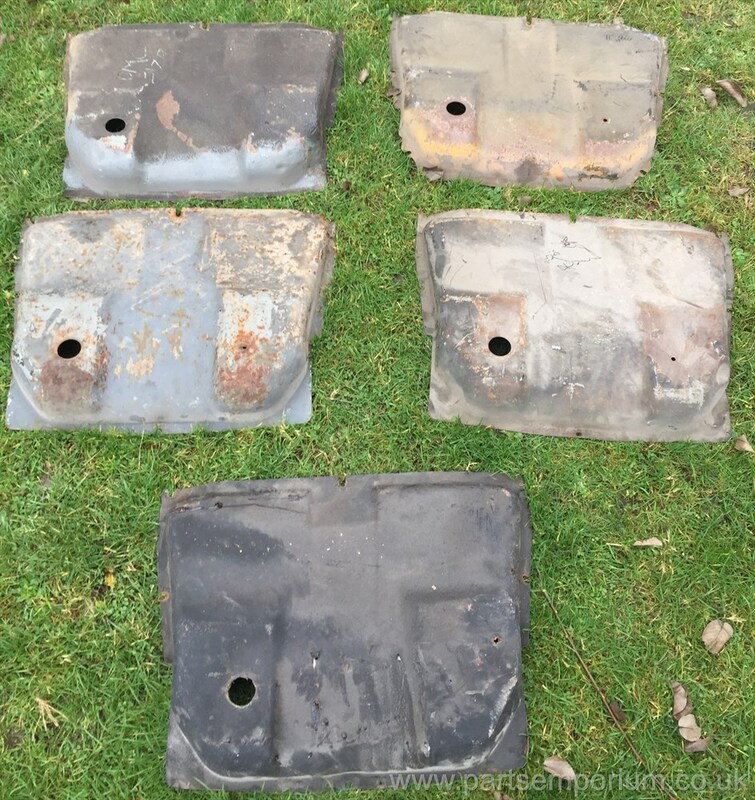 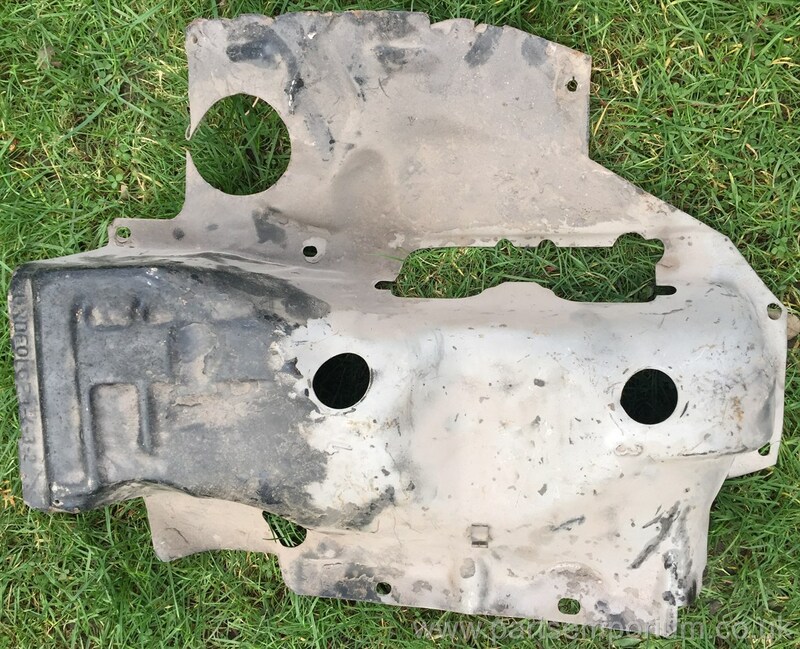 Also complete Headlights for £25 to £35 each -Come have a rummage in the box as they are all different qualities due to age and use..
Bay panel van conversion glass - Slight curved profile.. - I have 1 rear side corner from Tripplex and a few other random bits.. Its £40 a piece. 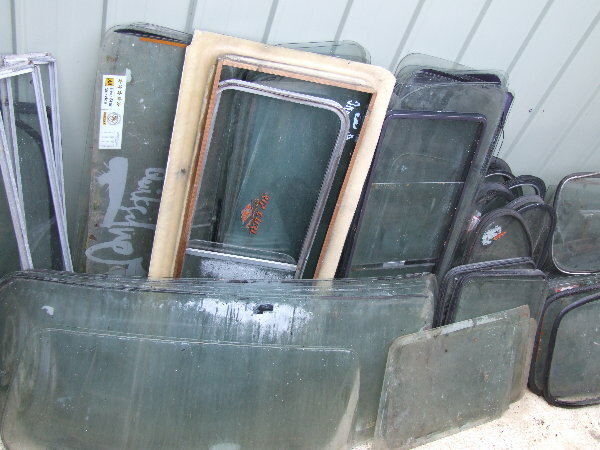 I will need to know the make and the sizes of your glass. 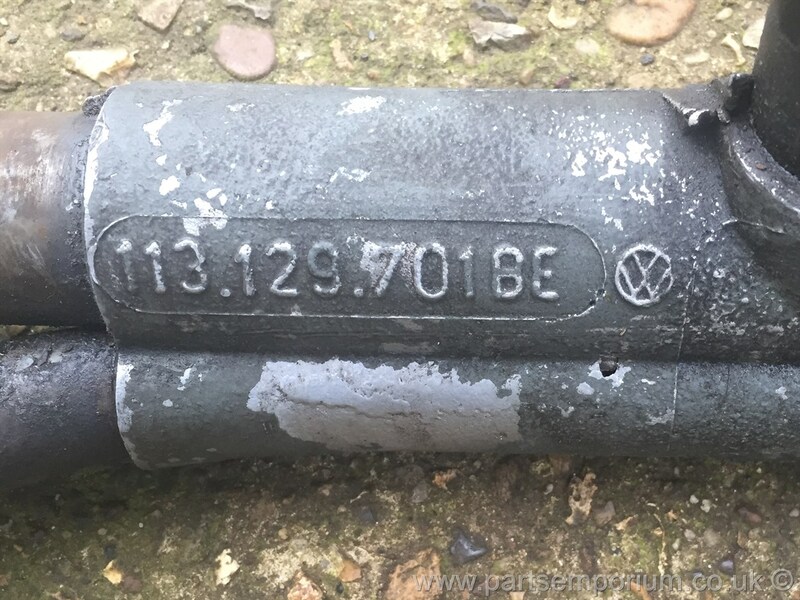 Heating Air pipes - £10 each - lots of different ones - what are your measurements? 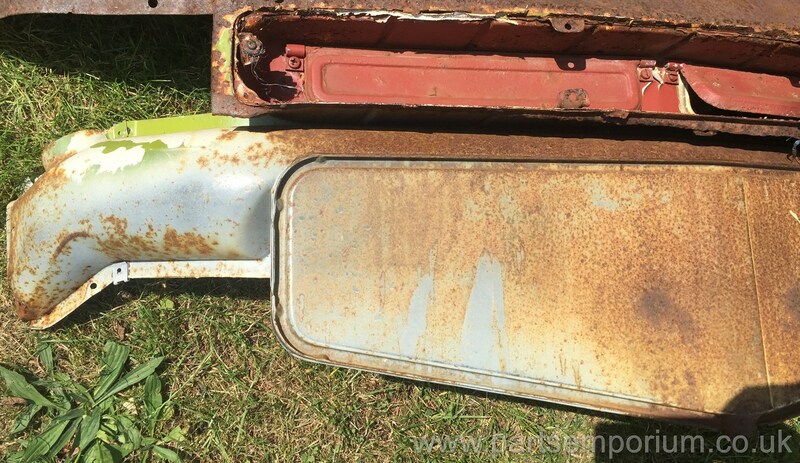 - come have a rummage!